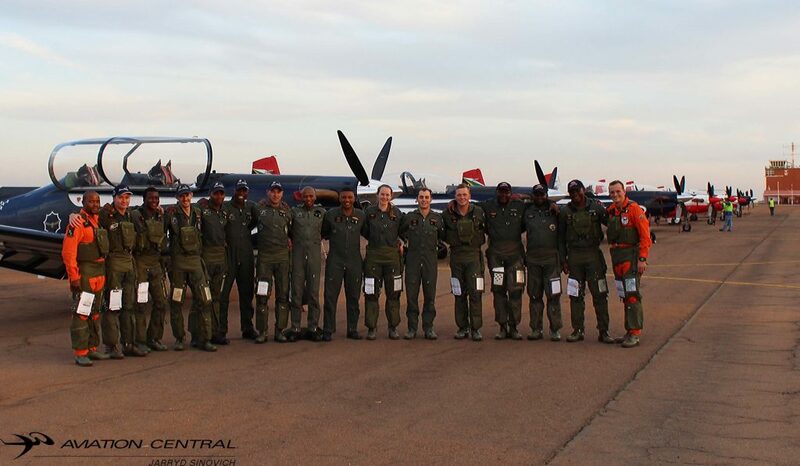 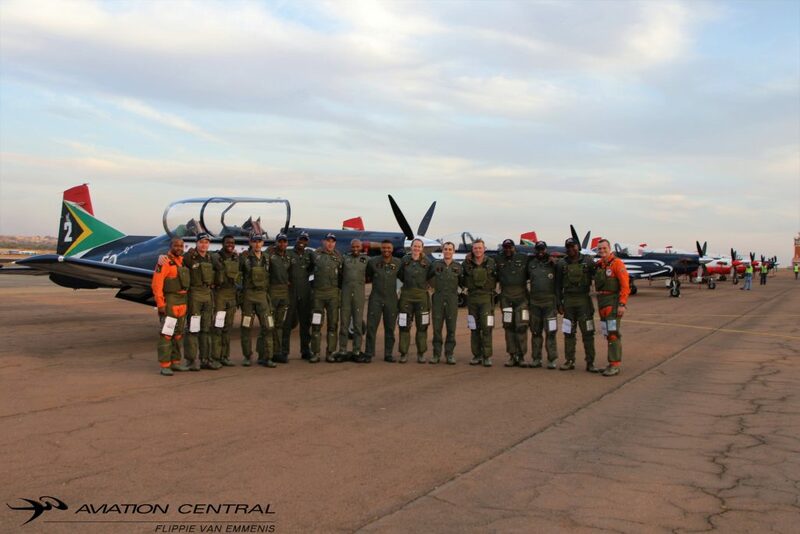 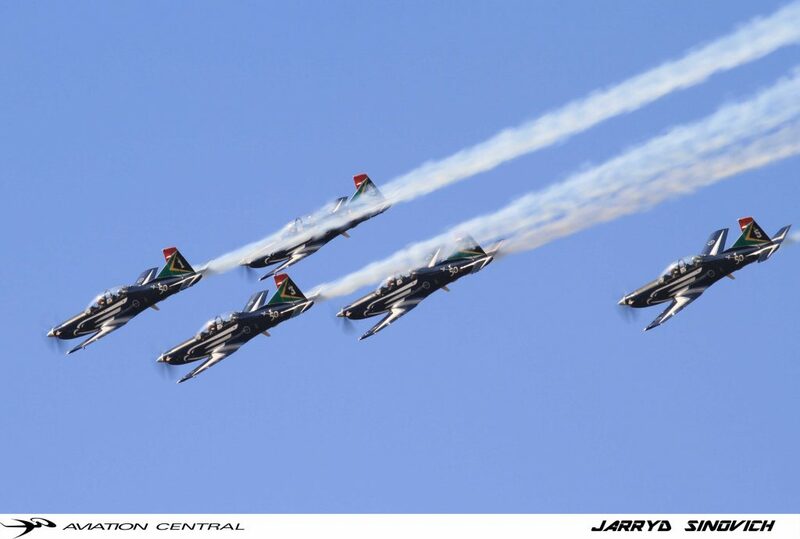 The Silver Falcons are the South African Air force official display team. 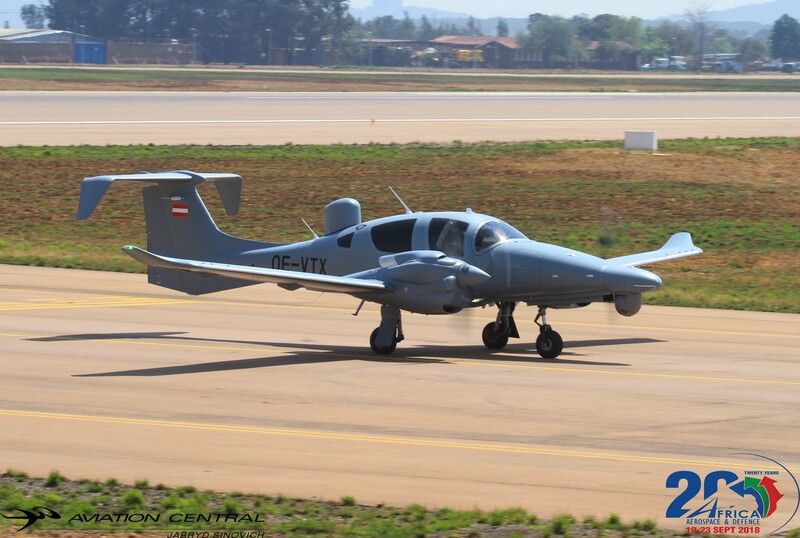 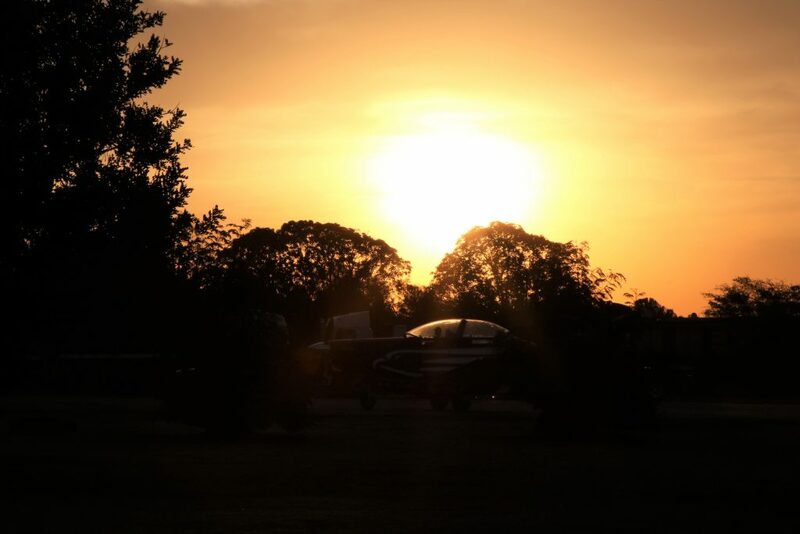 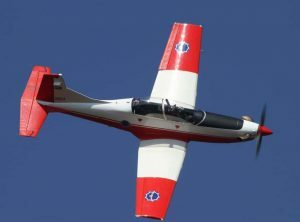 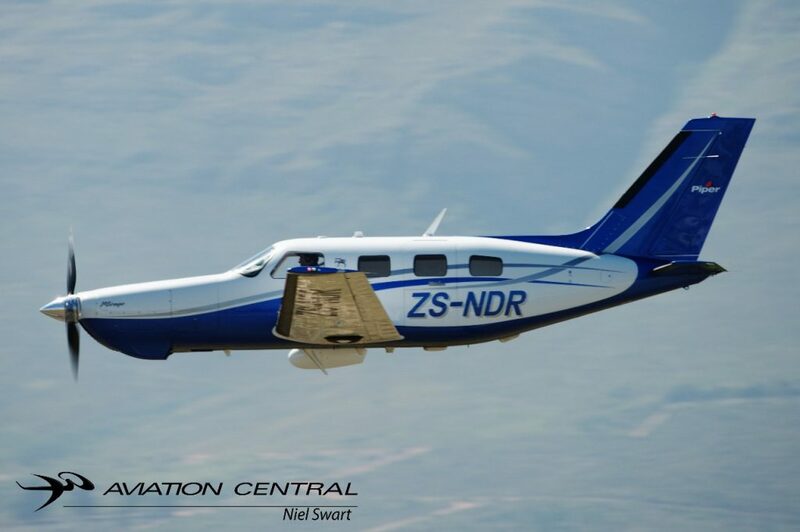 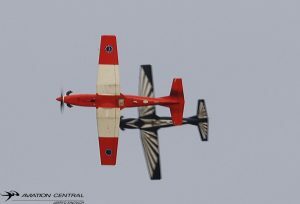 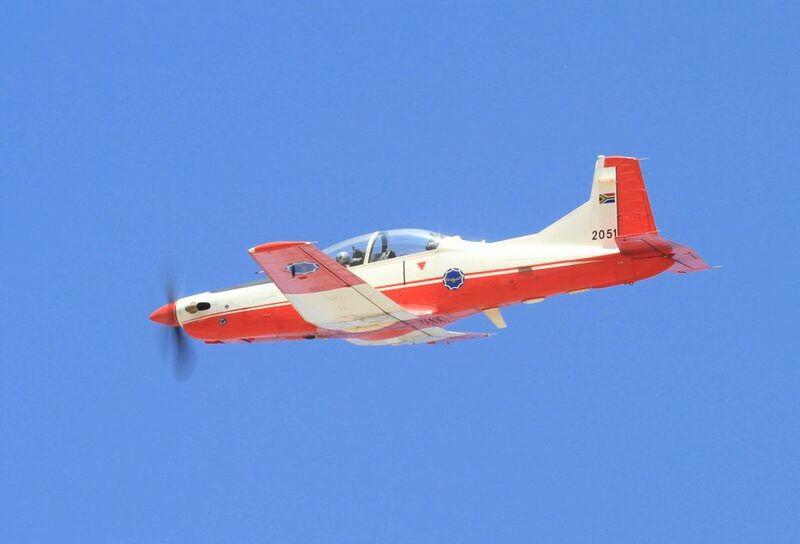 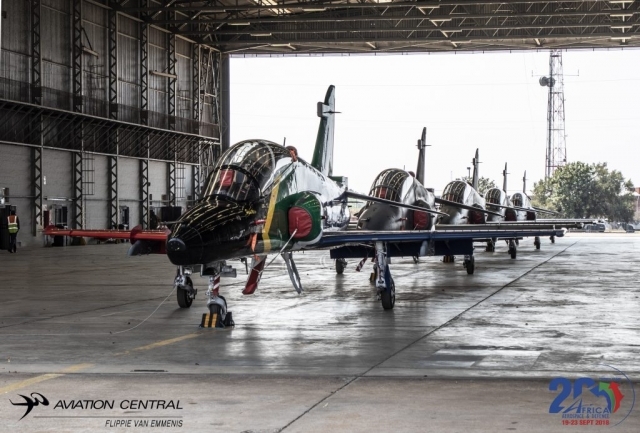 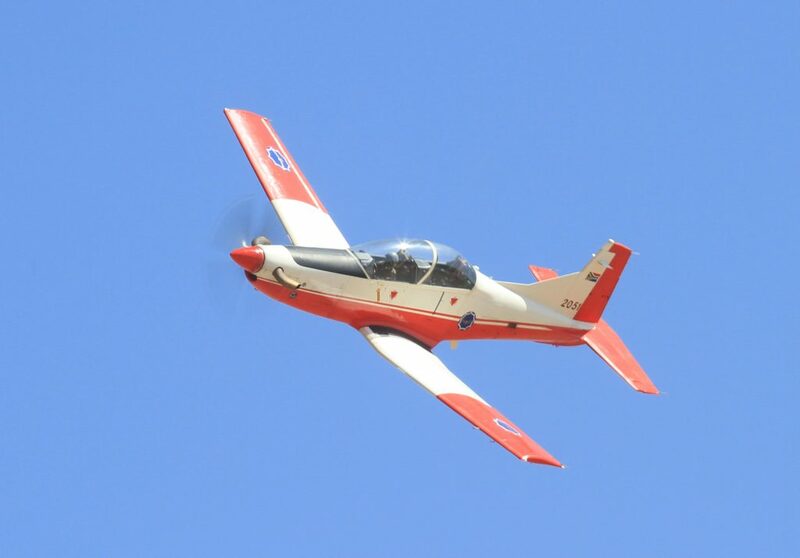 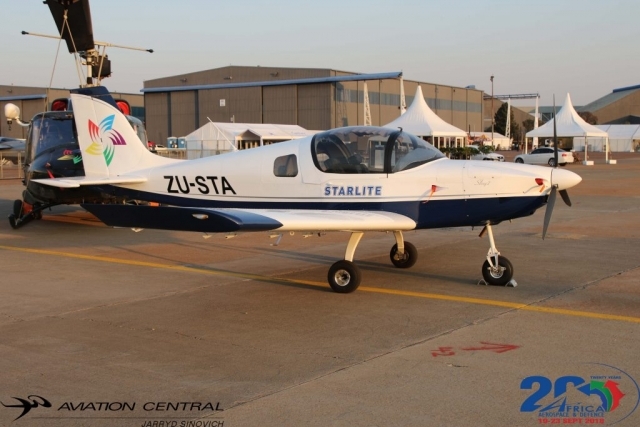 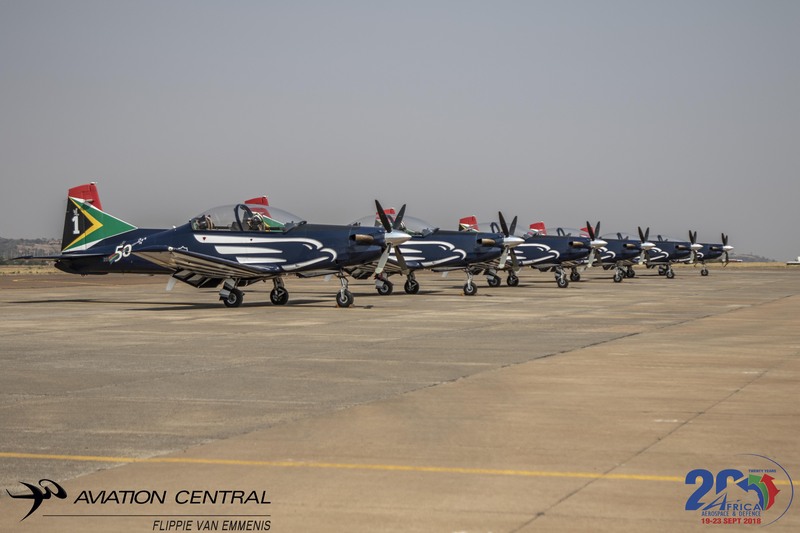 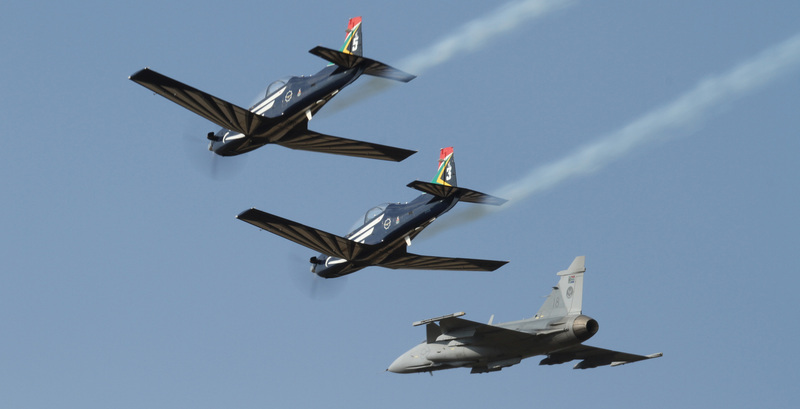 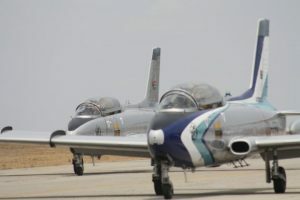 The team of five Pilatus Pc7mkii plus 3 additional spare aircraft are based at the Central Flying School,Air force Base Langebannweg in the Western Cape South Africa. 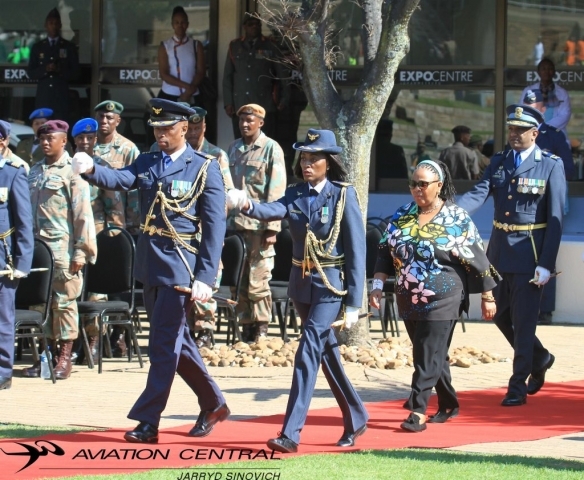 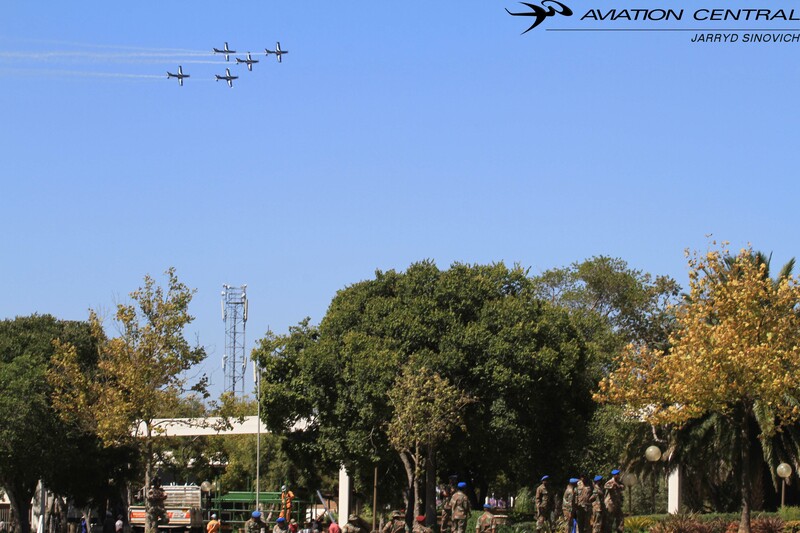 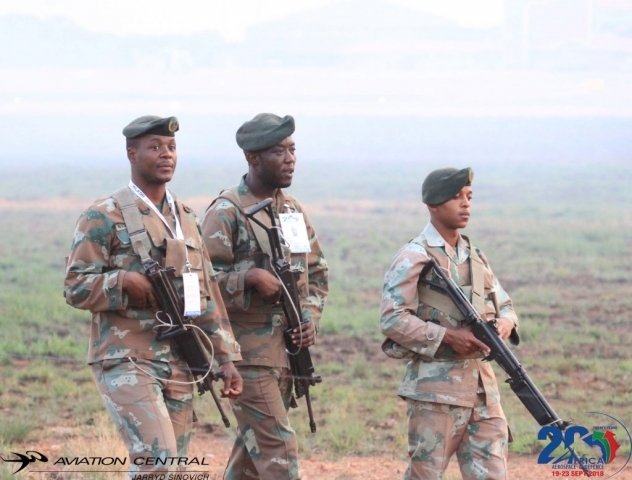 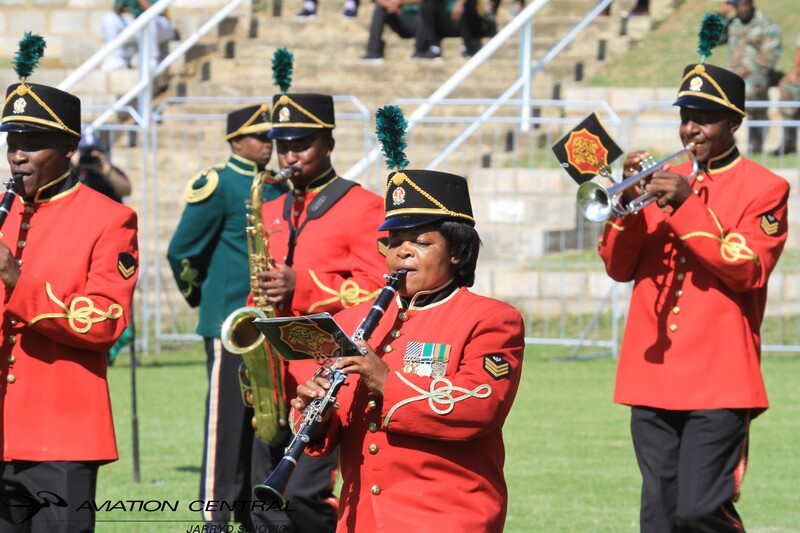 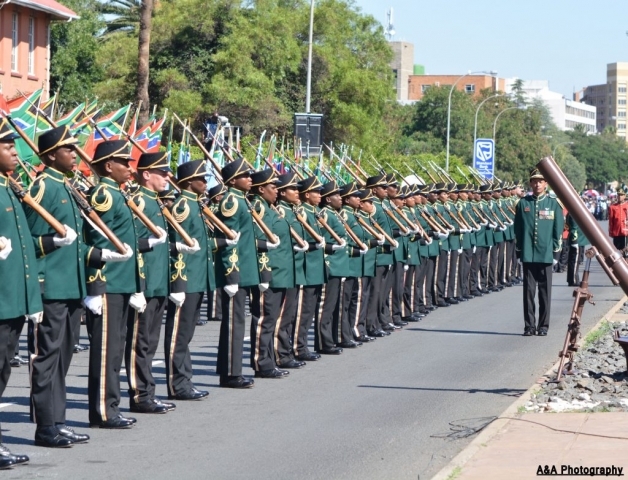 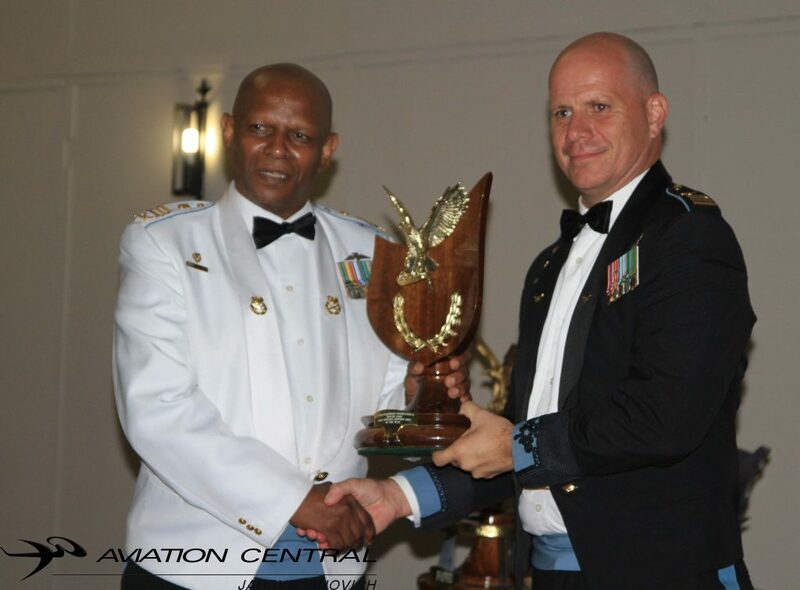 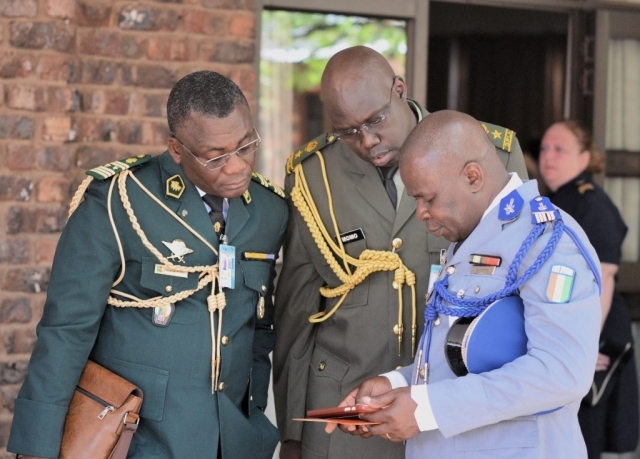 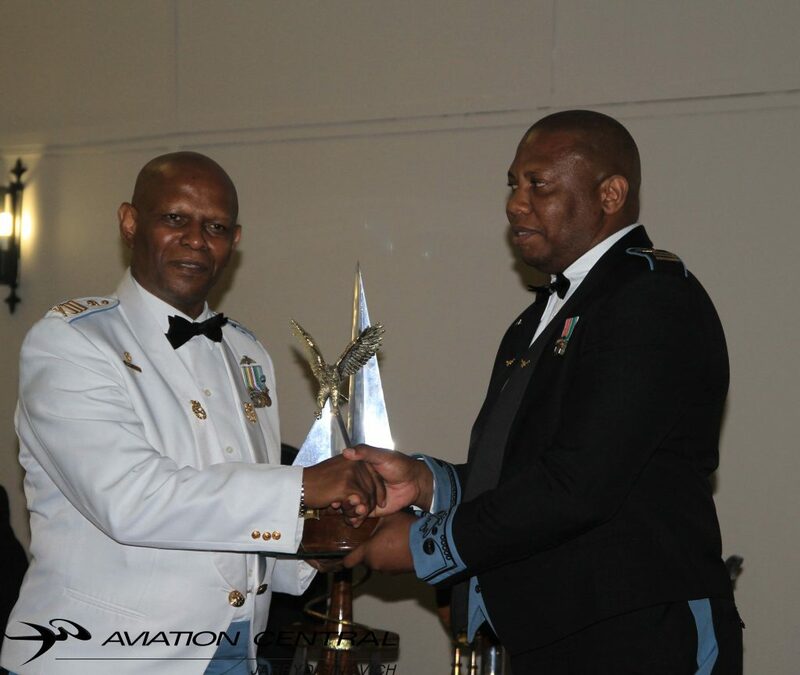 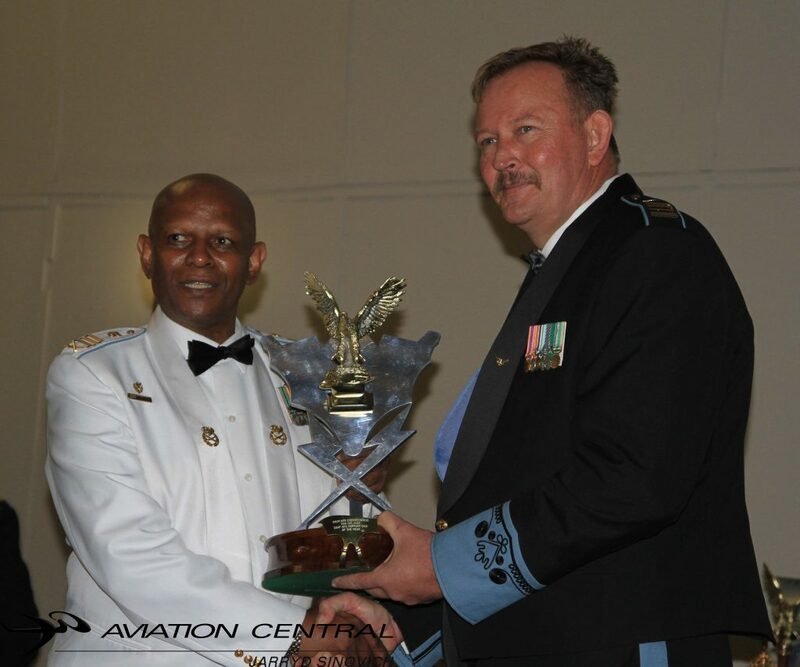 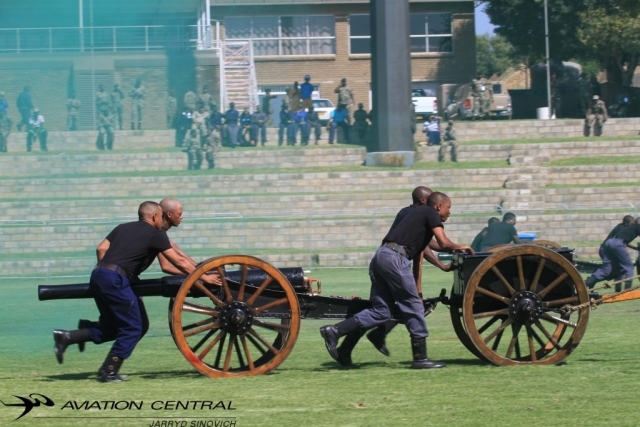 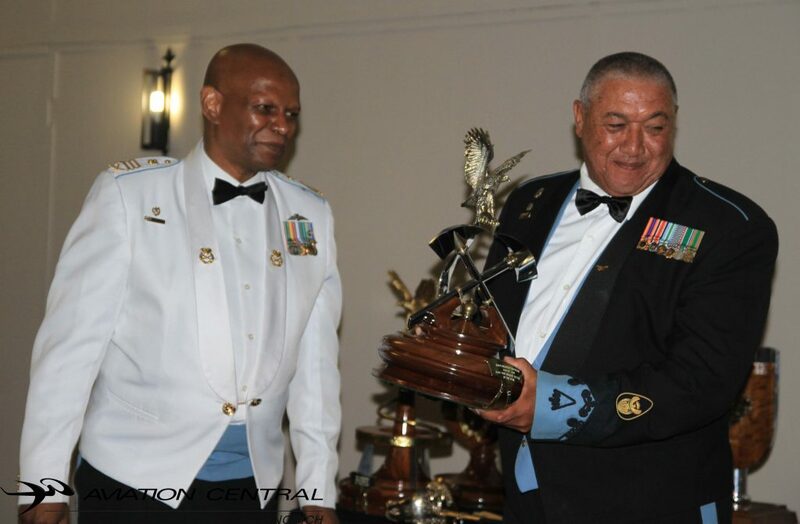 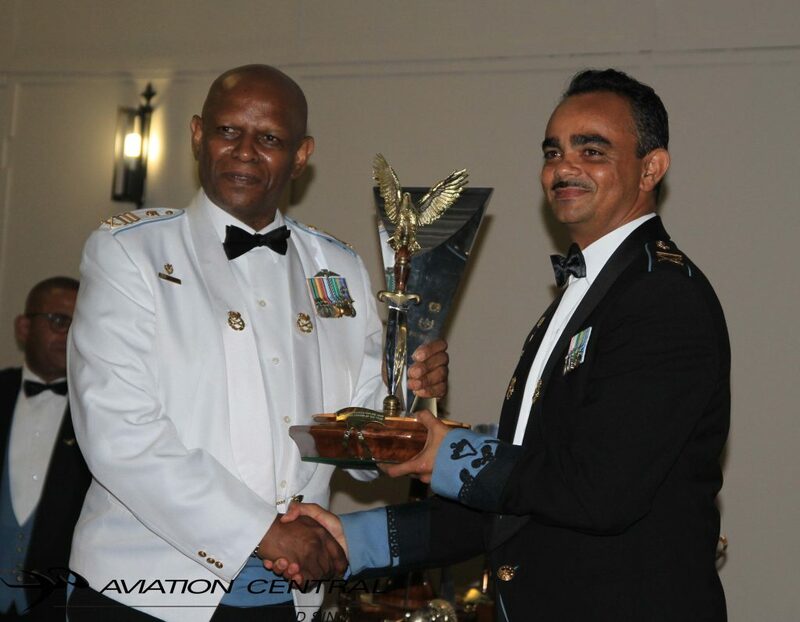 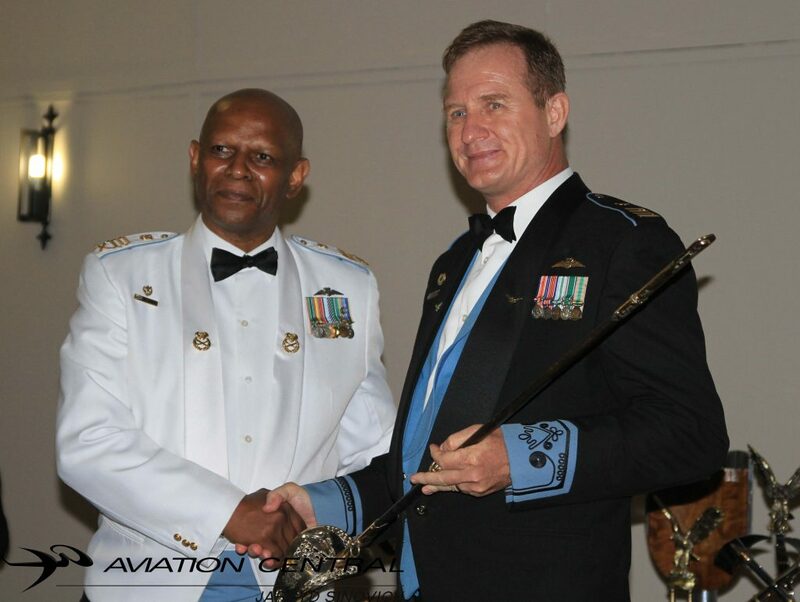 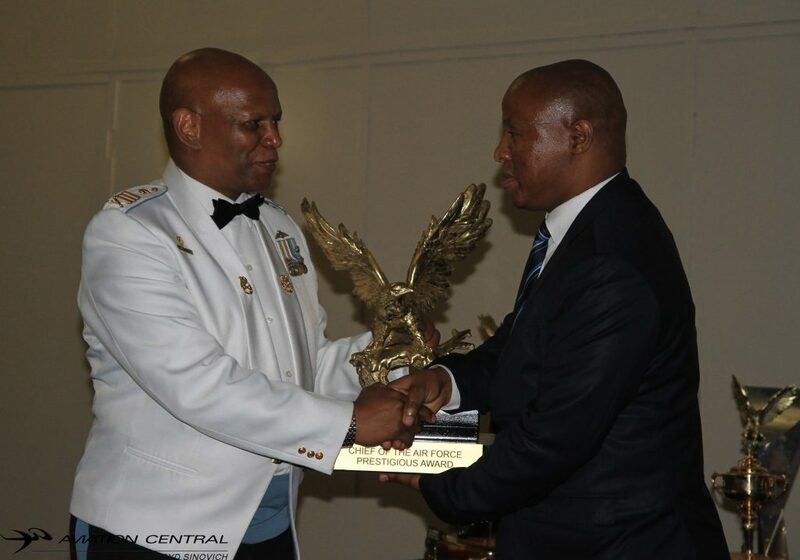 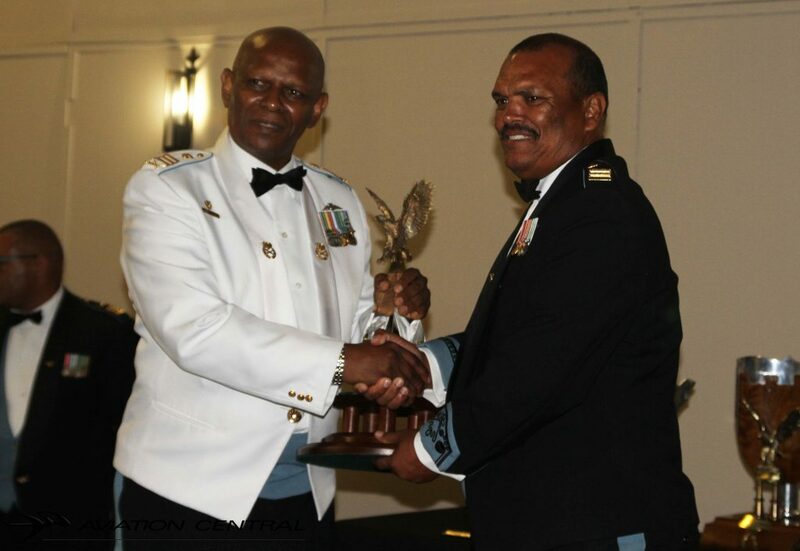 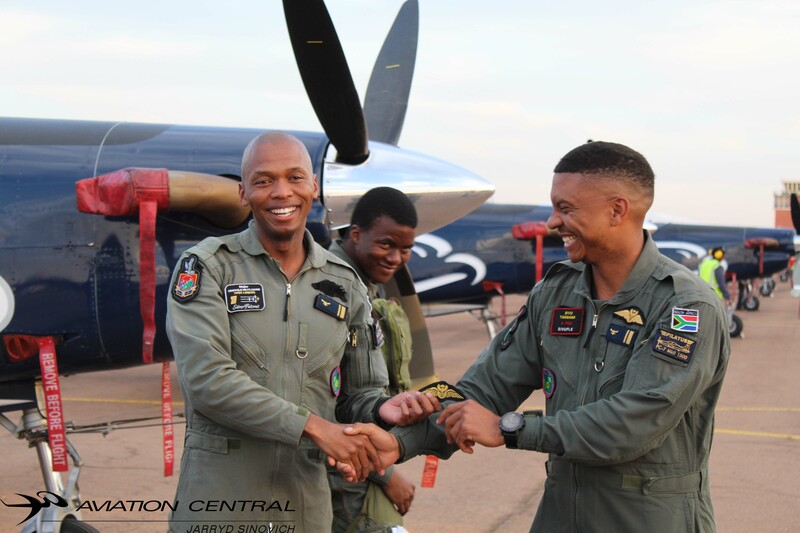 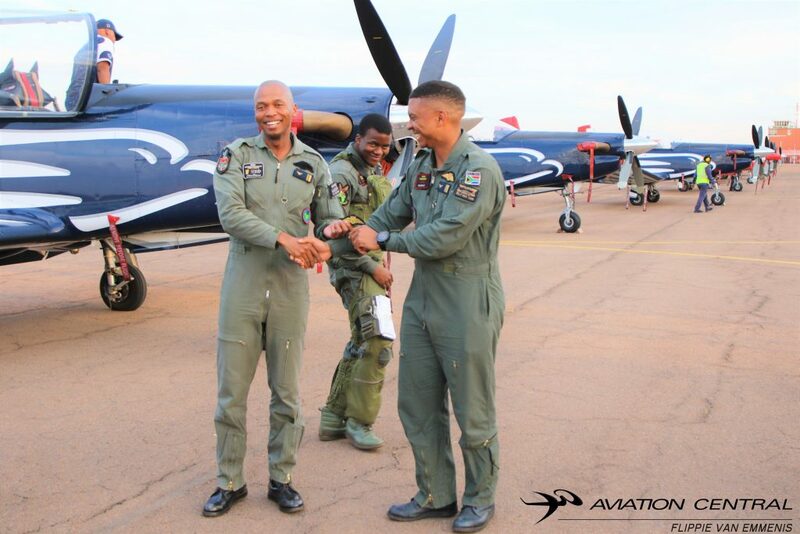 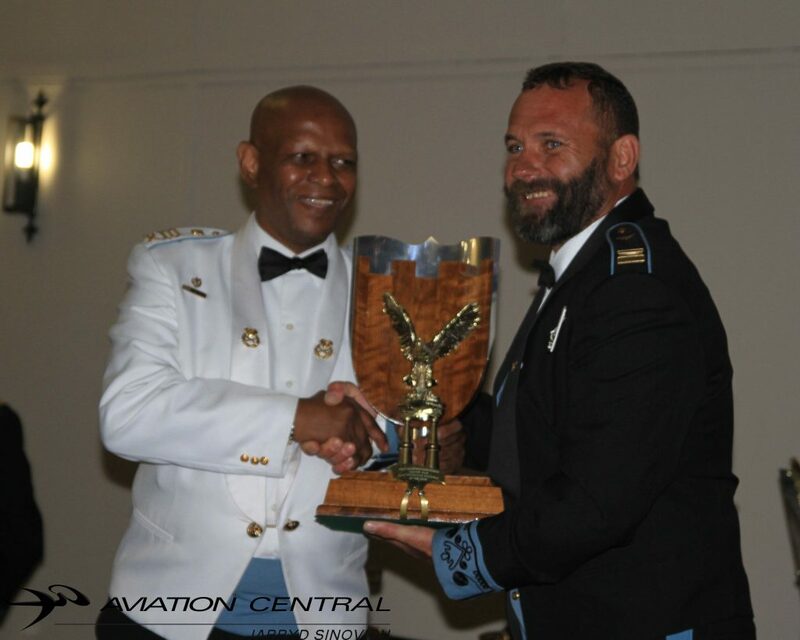 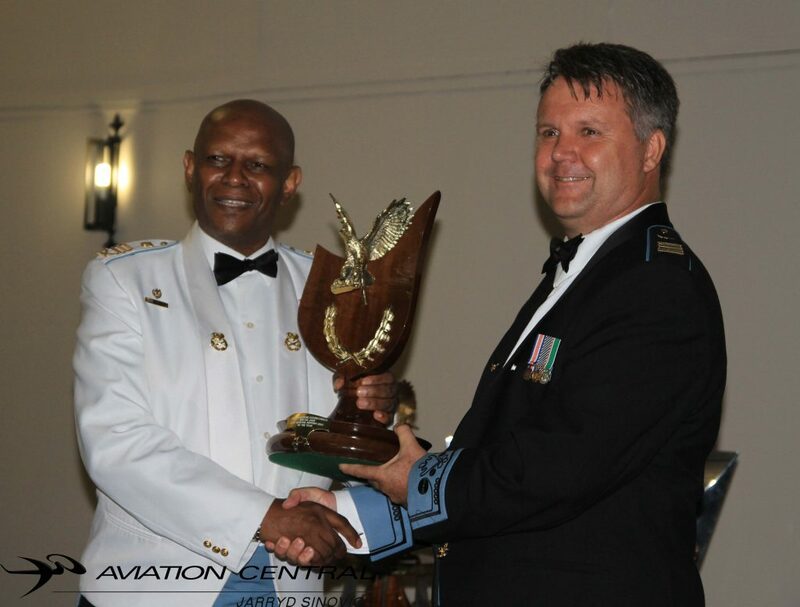 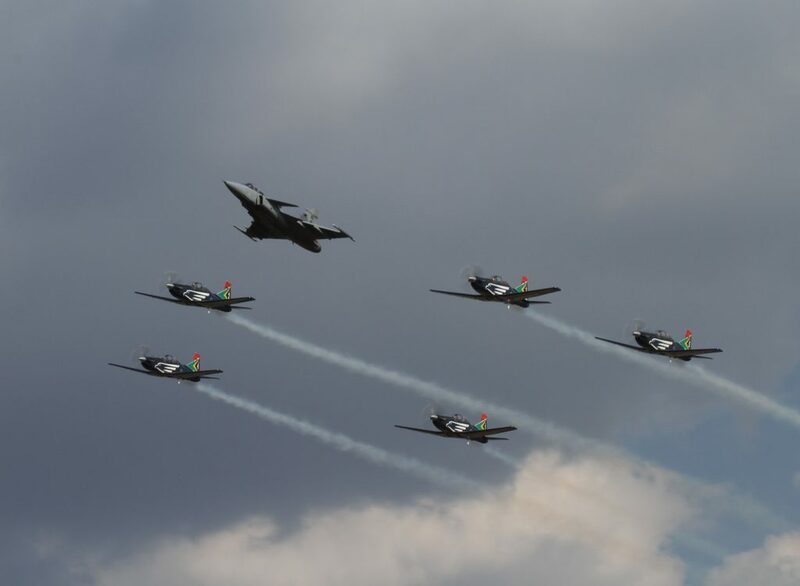 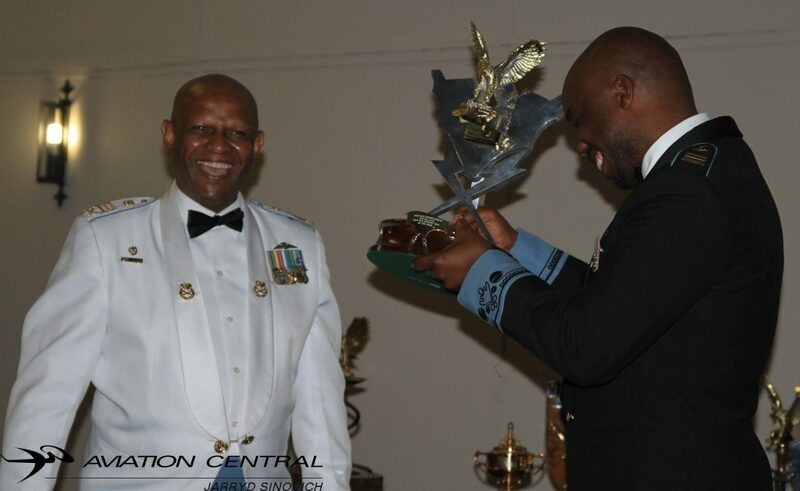 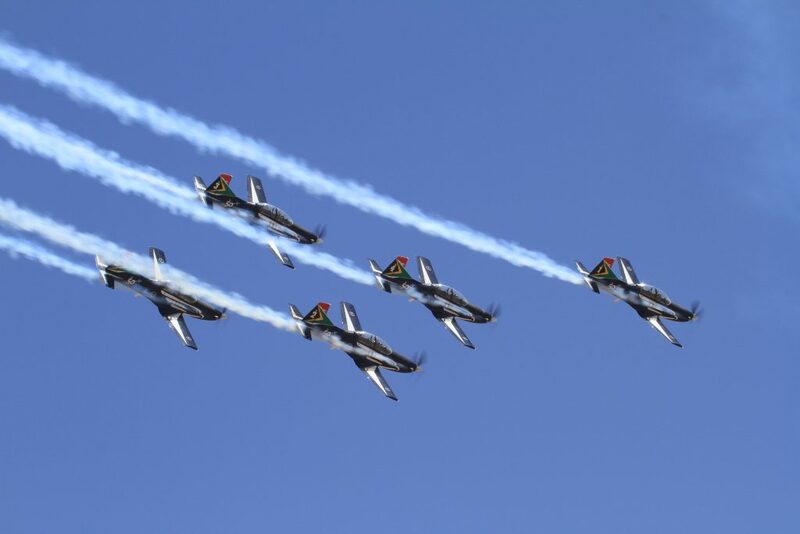 The main purpose of the Silver Falcons is to enhance the image of the South African Airforce, encourage recruitment and restore national pride. 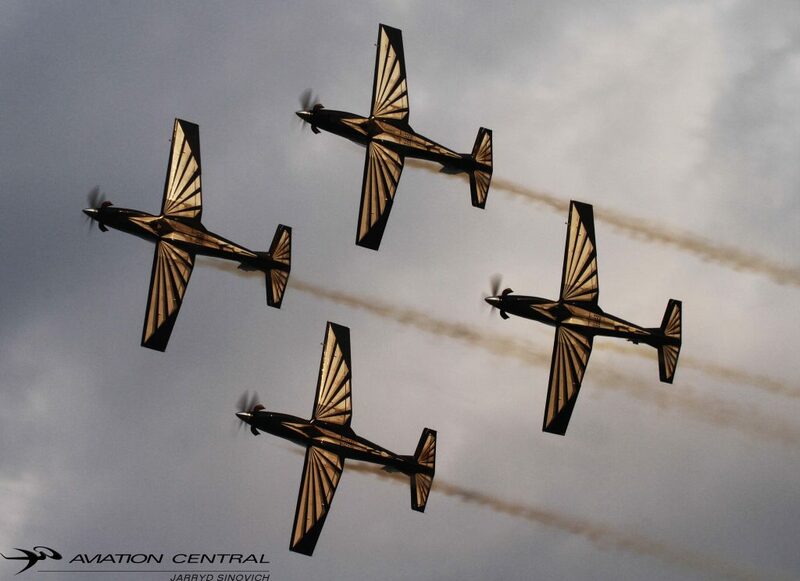 The team was originally formed in 1946 as the Bumbling Bees display team. 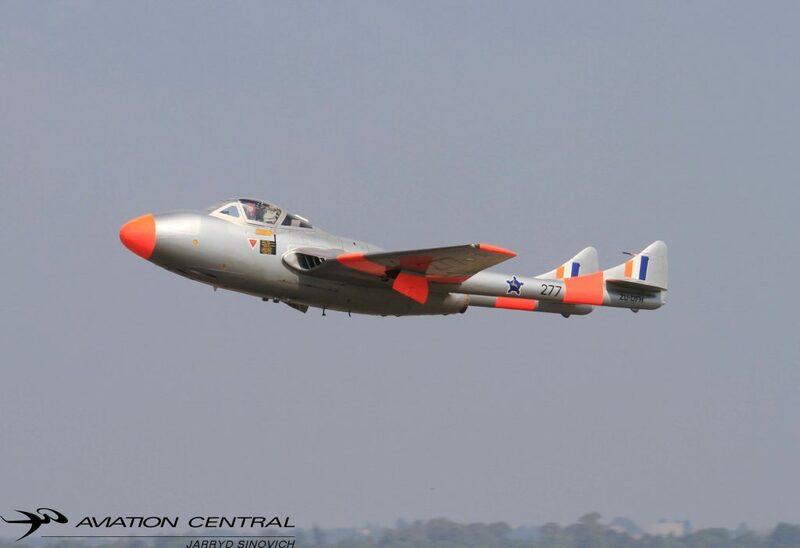 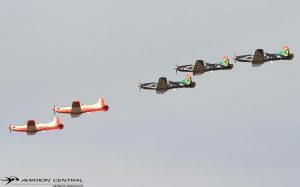 The team flew a 4ship formation flying the de Havilland Vampire. 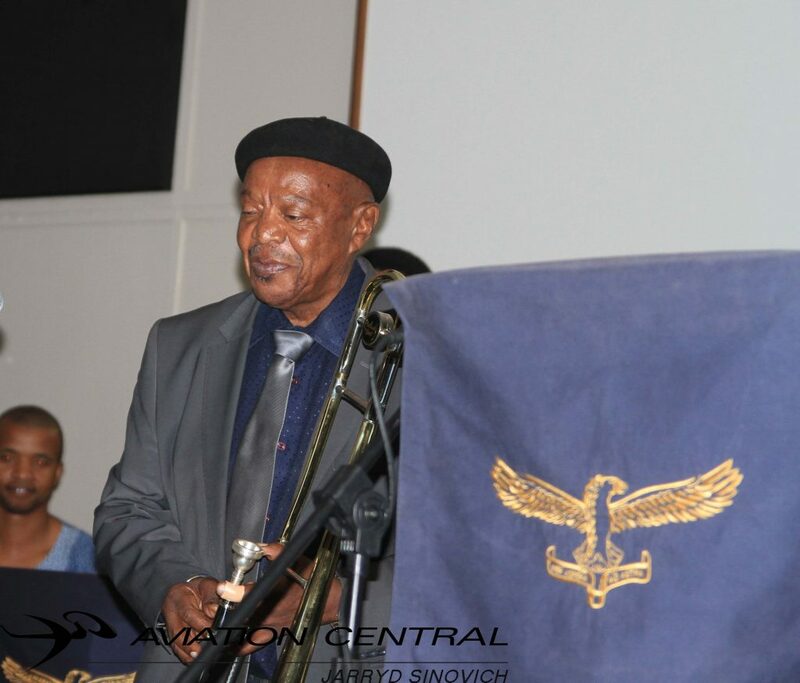 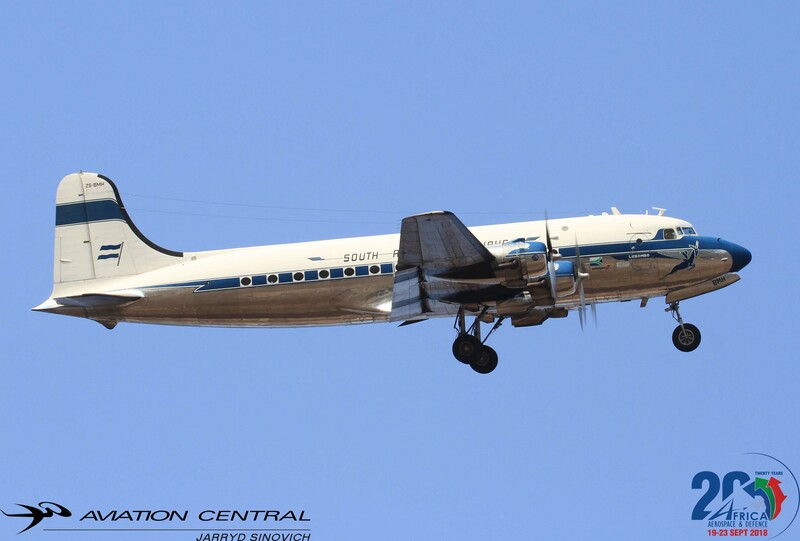 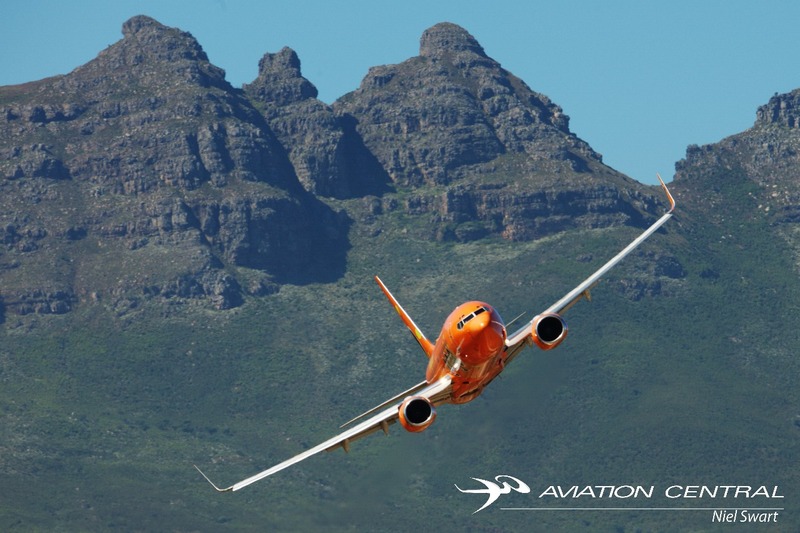 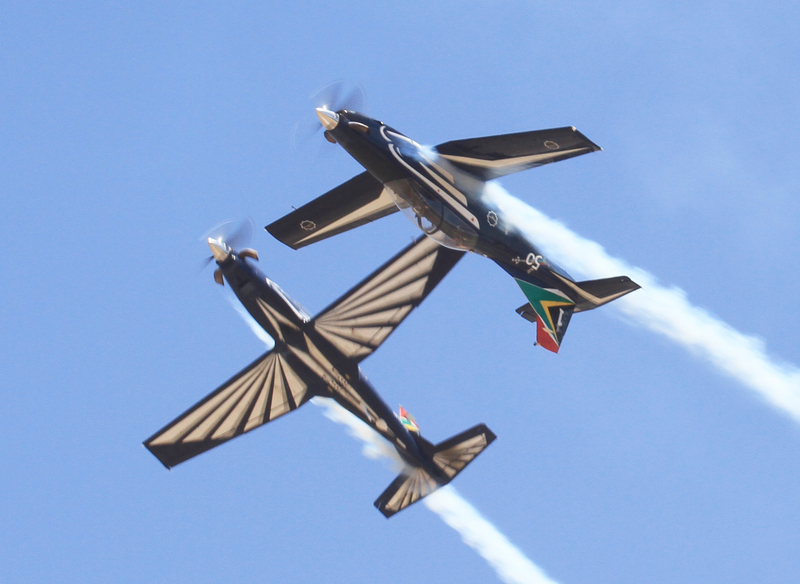 By the 1950s the team disbanded and left a major gap in South African Aviation. 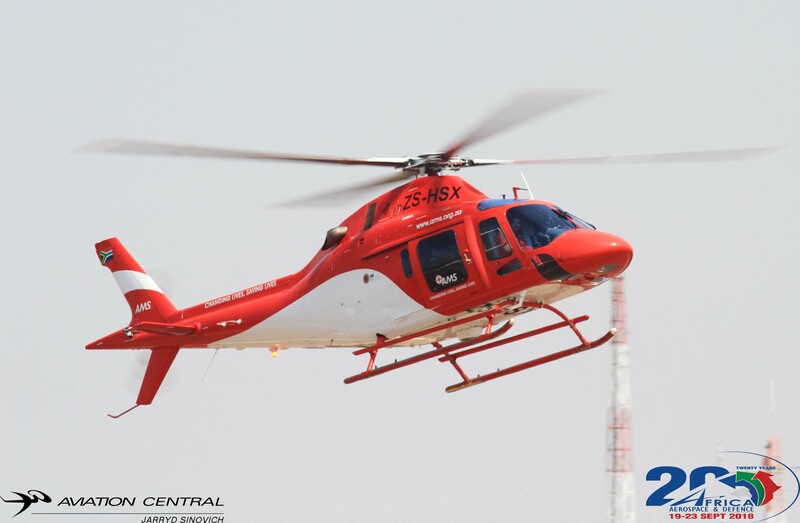 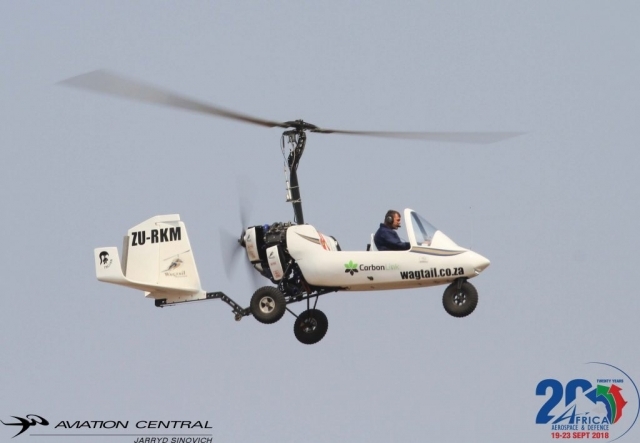 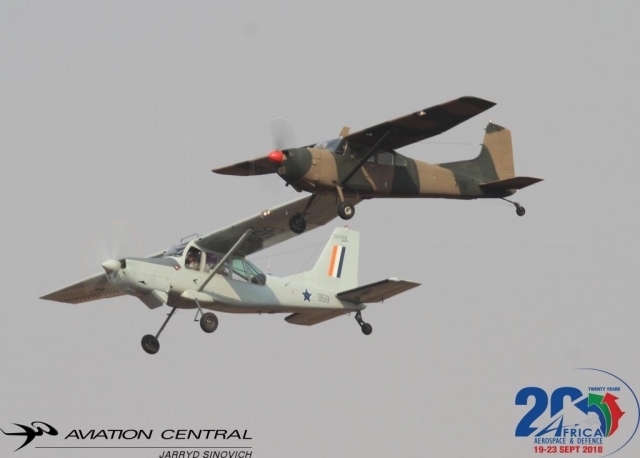 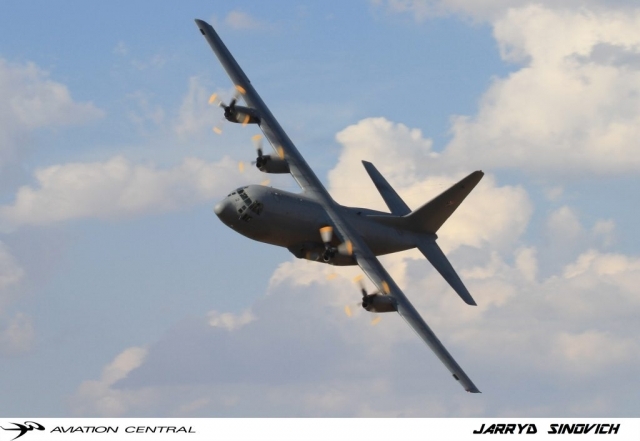 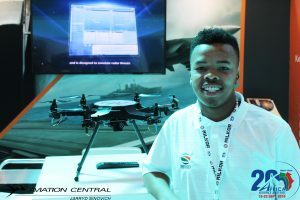 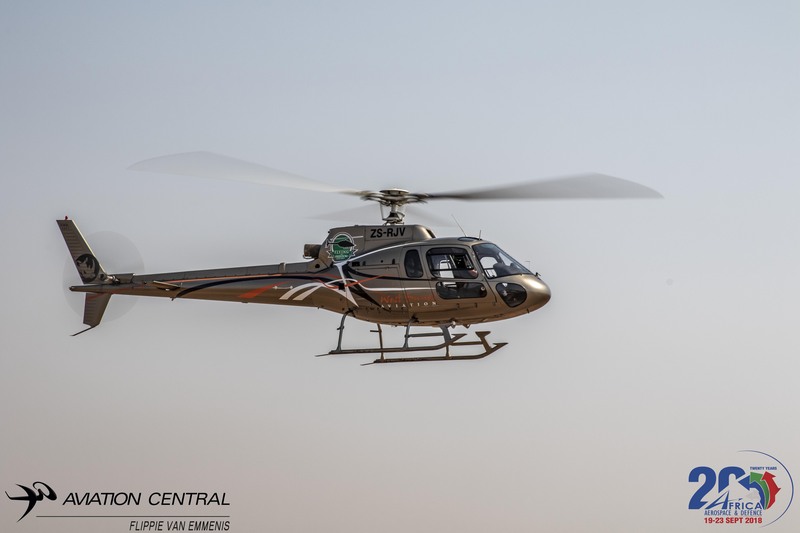 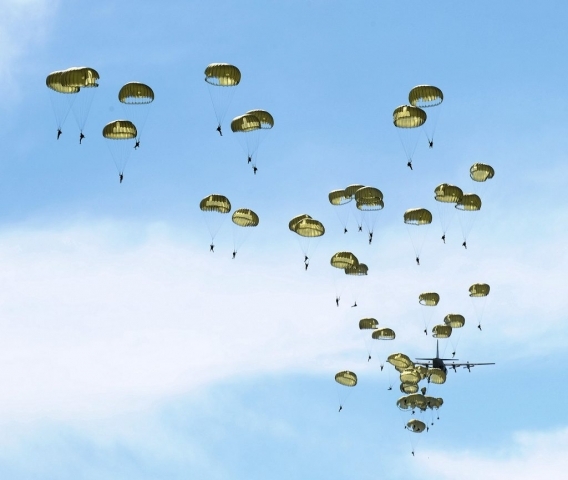 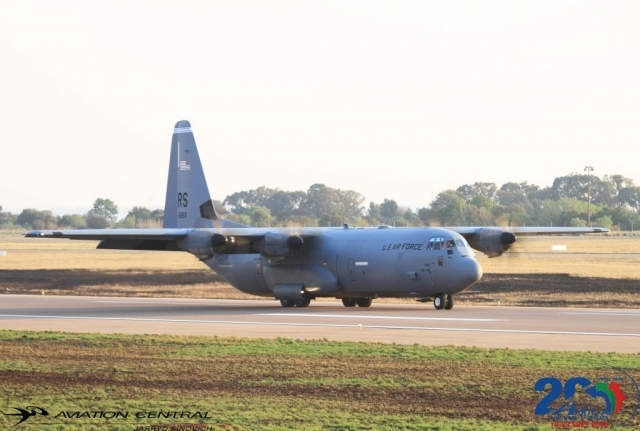 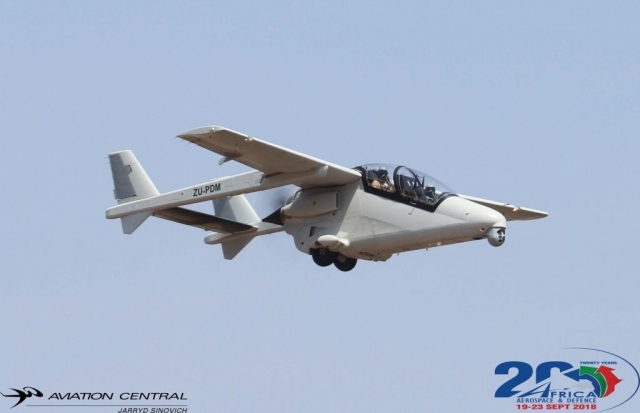 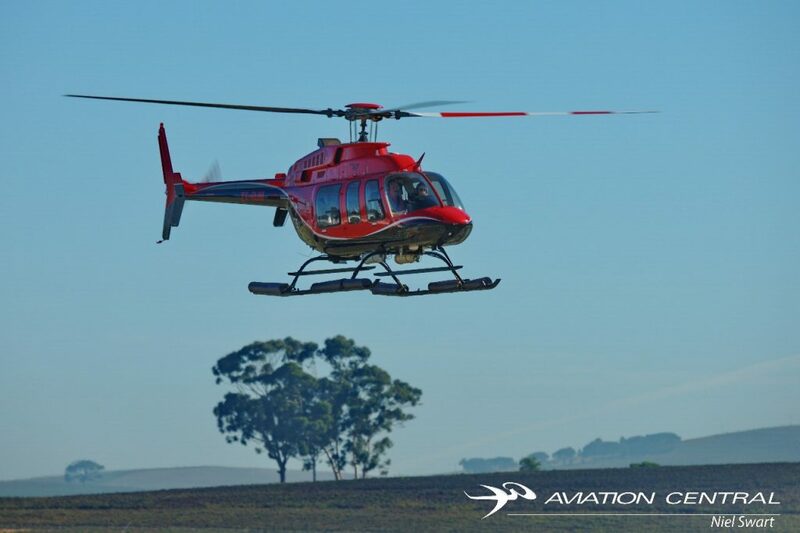 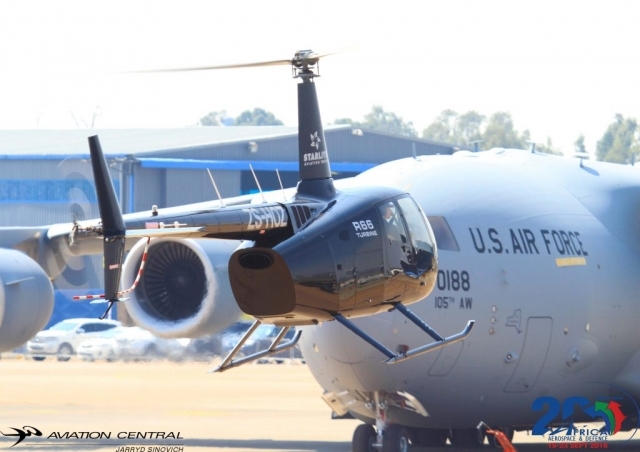 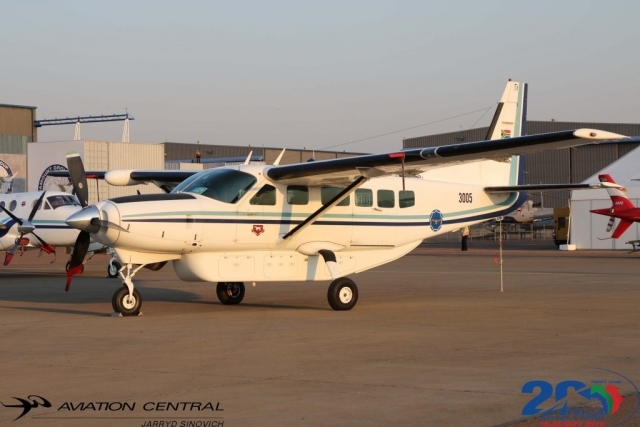 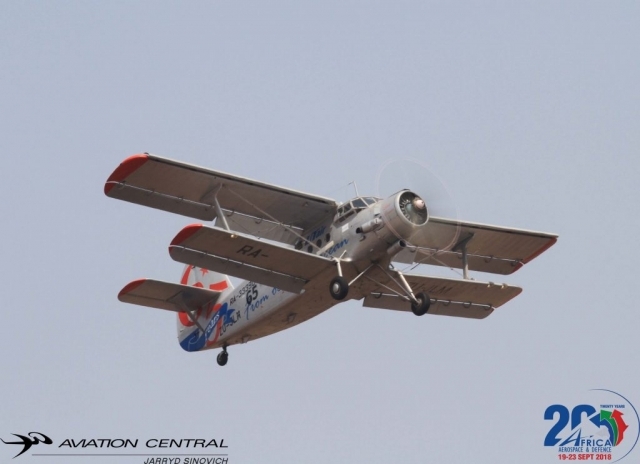 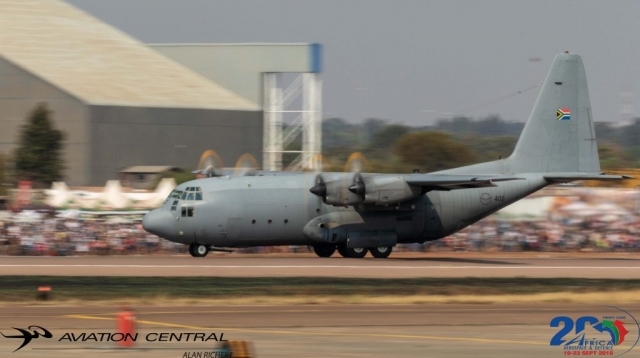 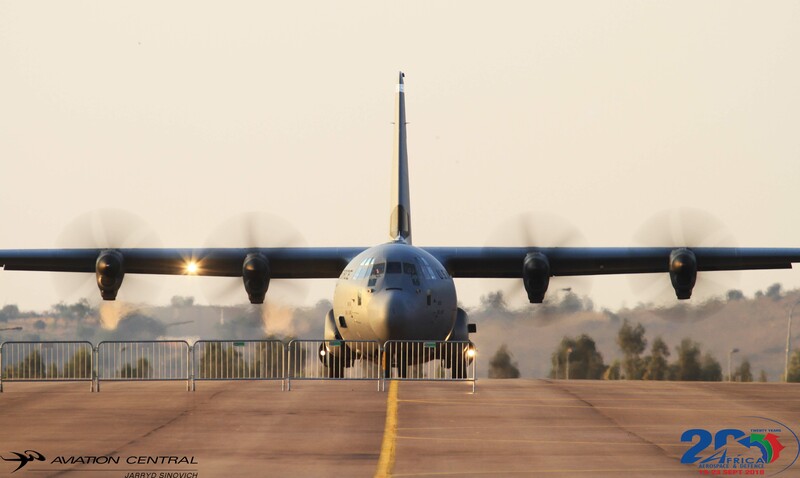 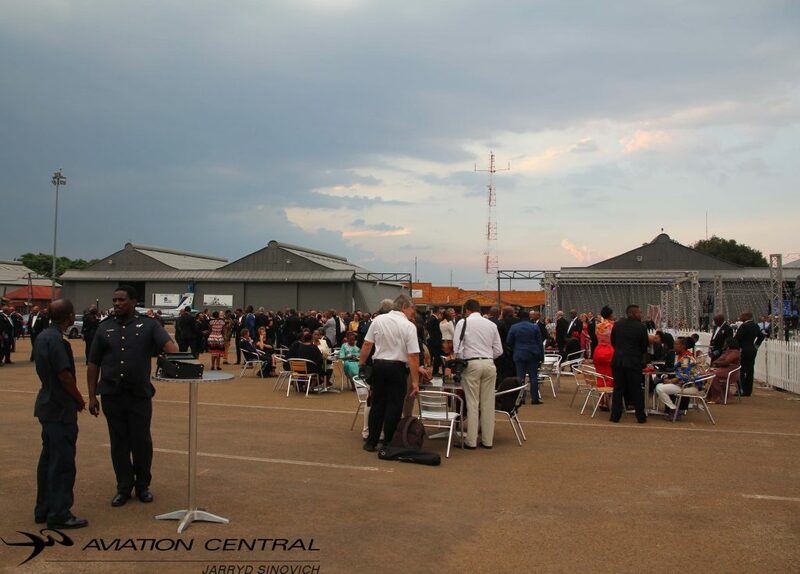 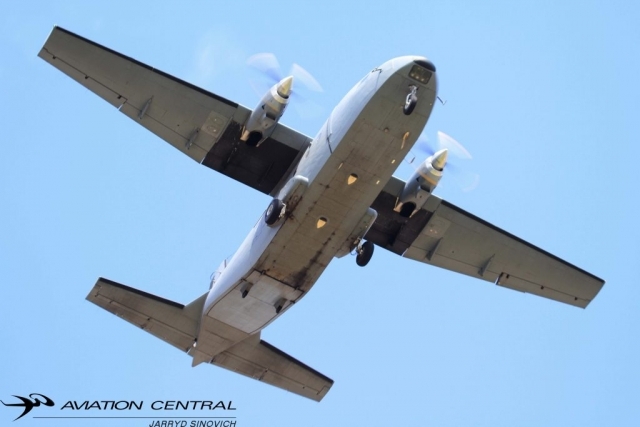 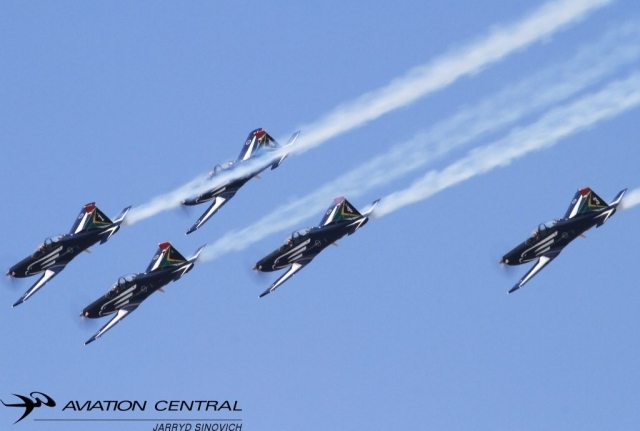 In 1967 at the opening of the Atlas Aircraft Corporation known today as Denel Aviation, there was an idea to change the name of the team to something a bit more bold. The Silver Falcons team which was chosen as they gave their first display at the event in November 1967,under the leadership of Col Chris Prins. 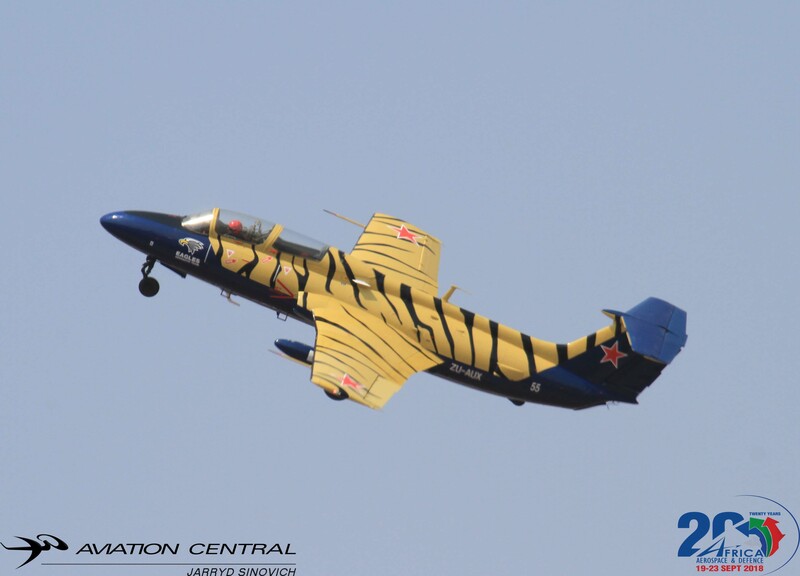 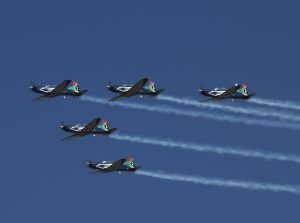 In 1986 the team was expanded to a five ship to bring more exciting displays and to include a solo display, at this team the aircraft were painted up in old South African flag display colors. 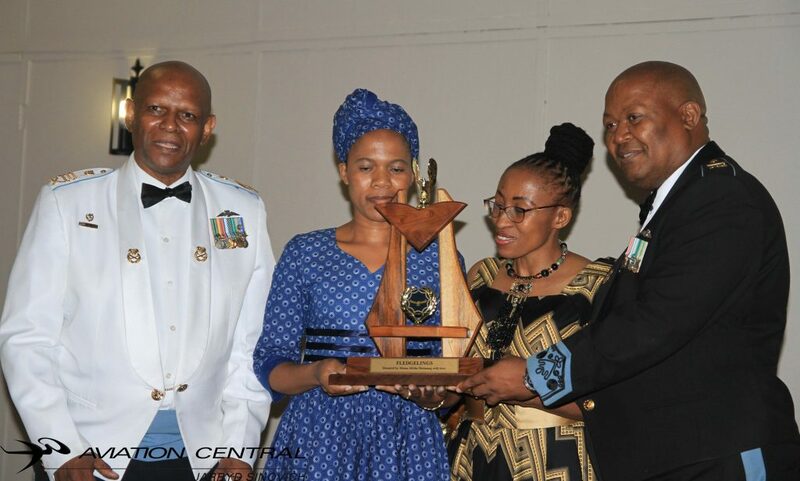 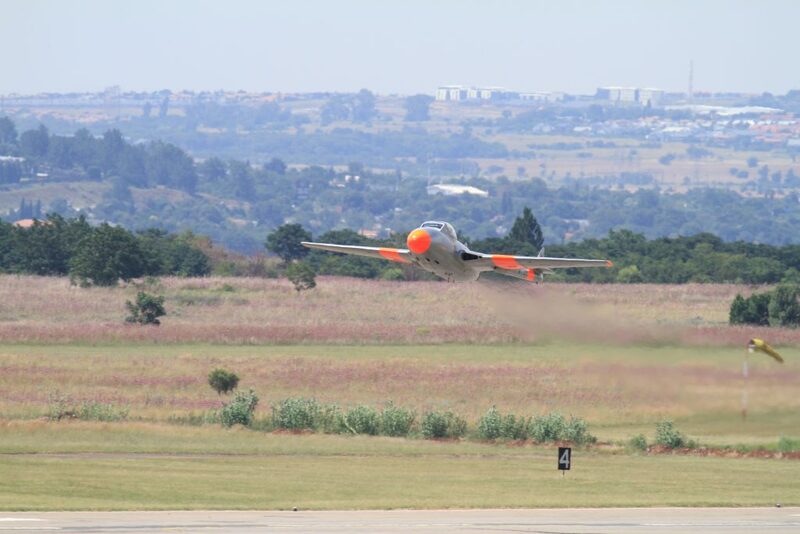 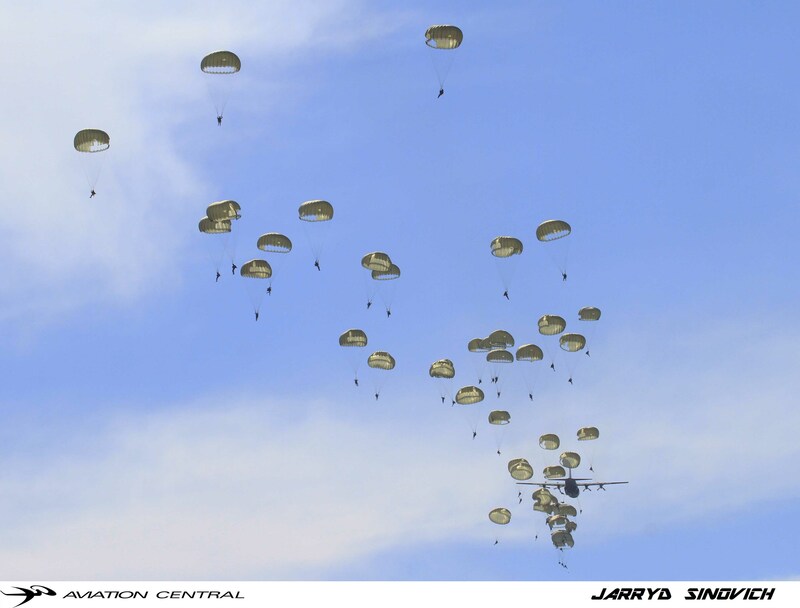 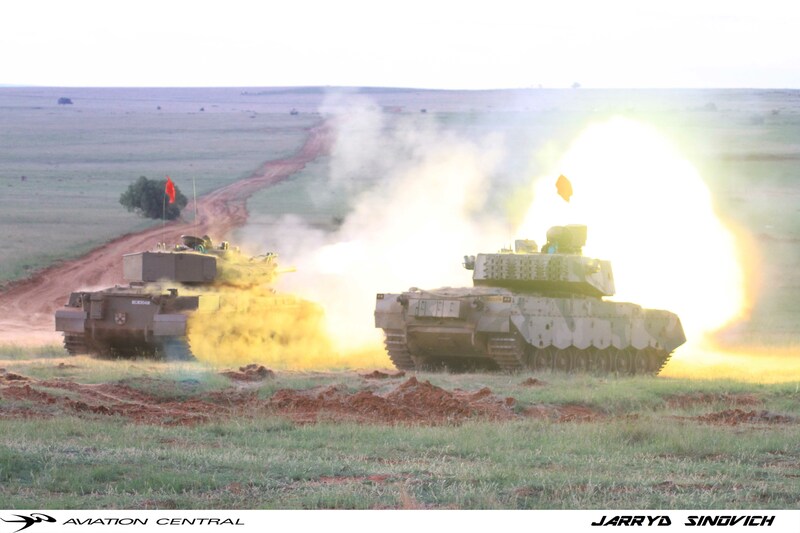 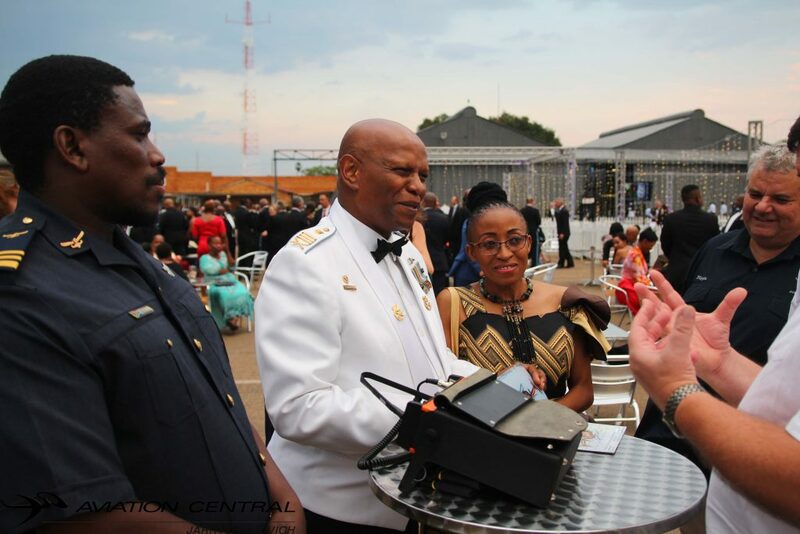 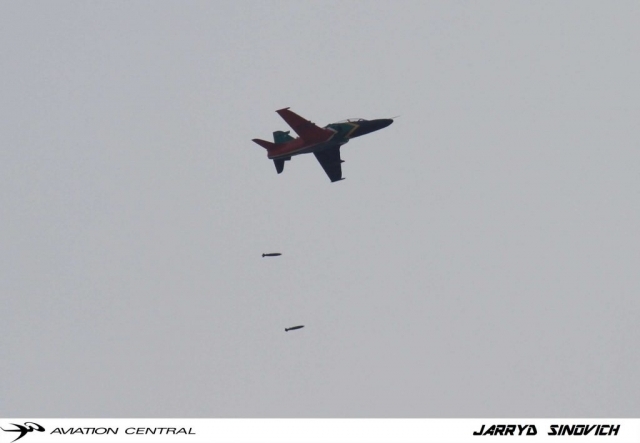 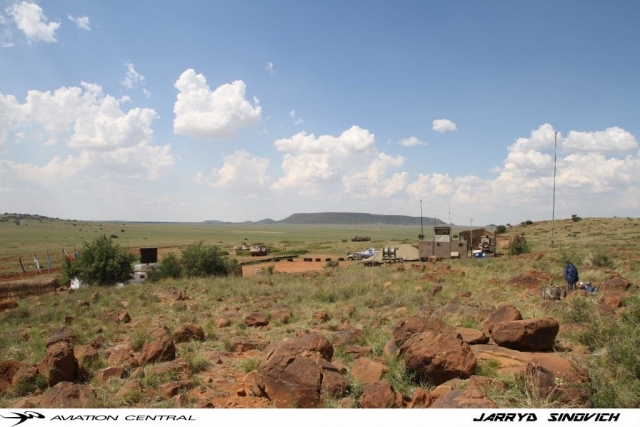 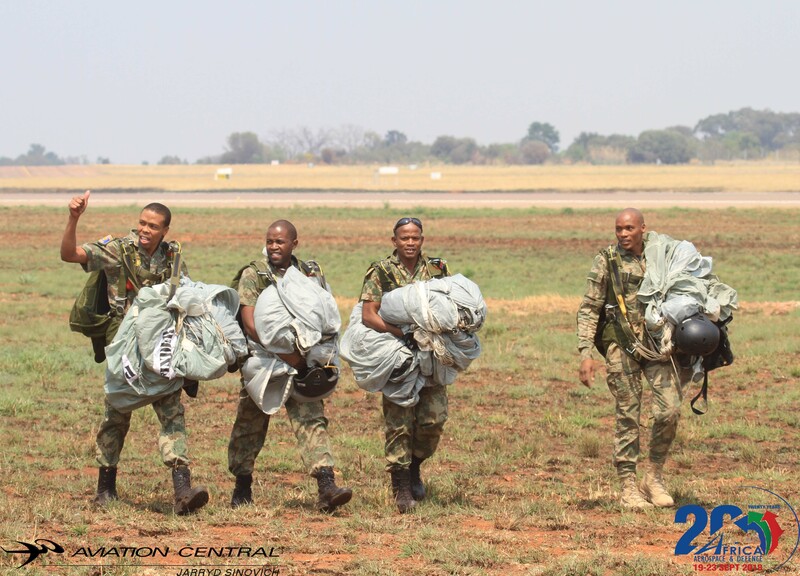 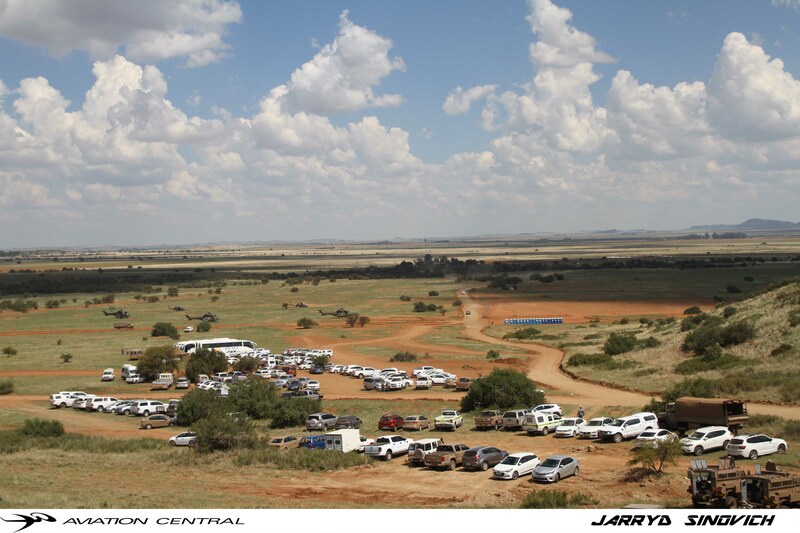 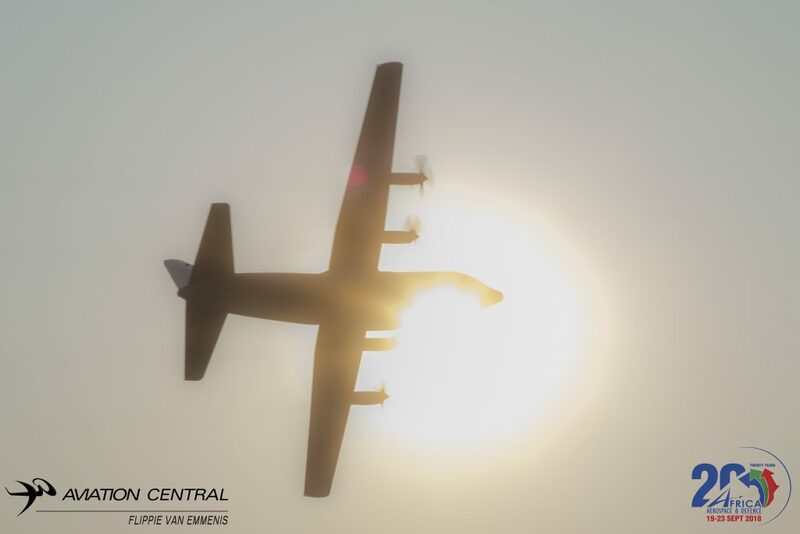 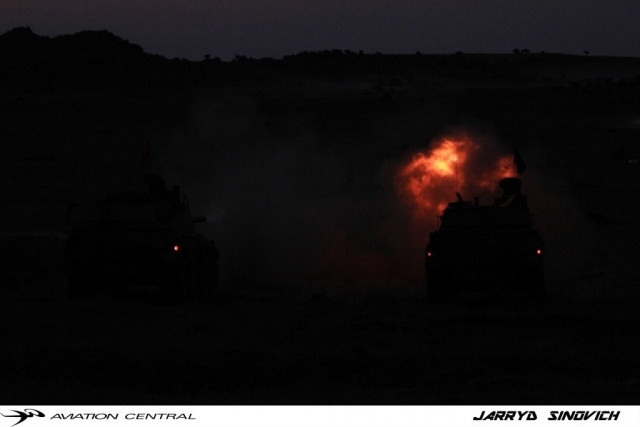 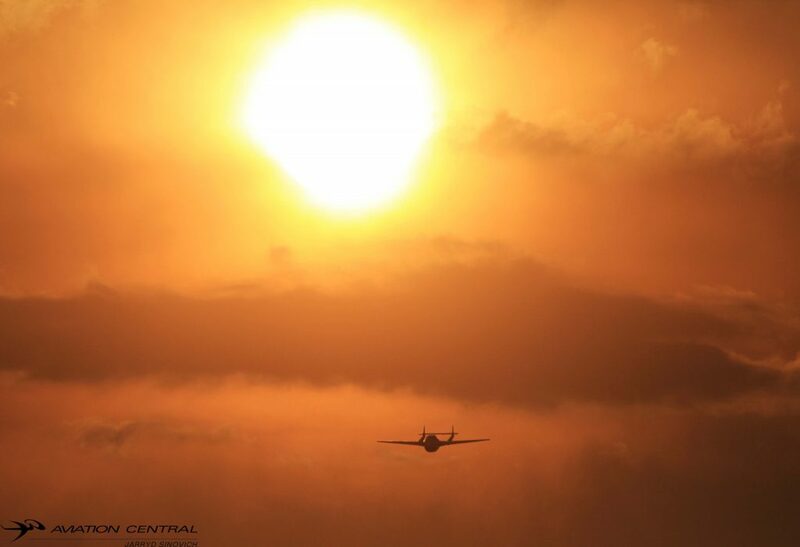 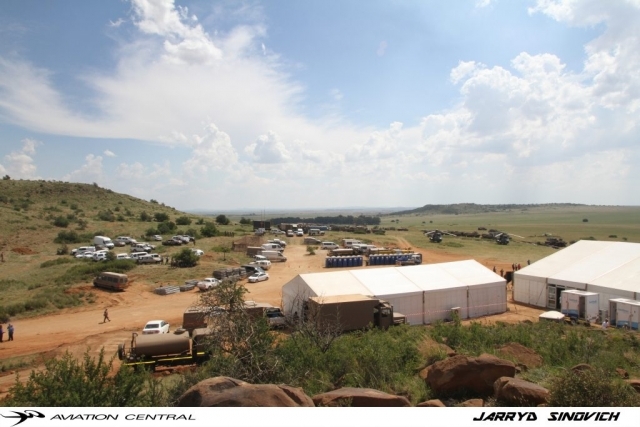 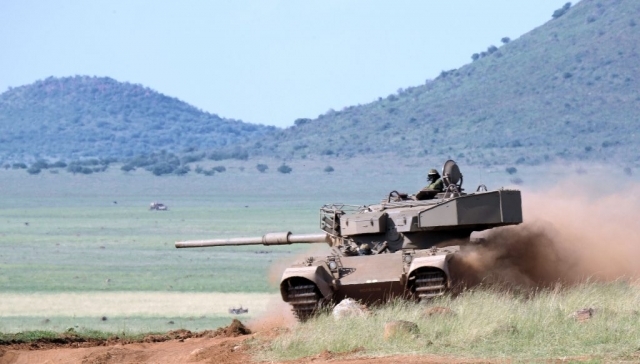 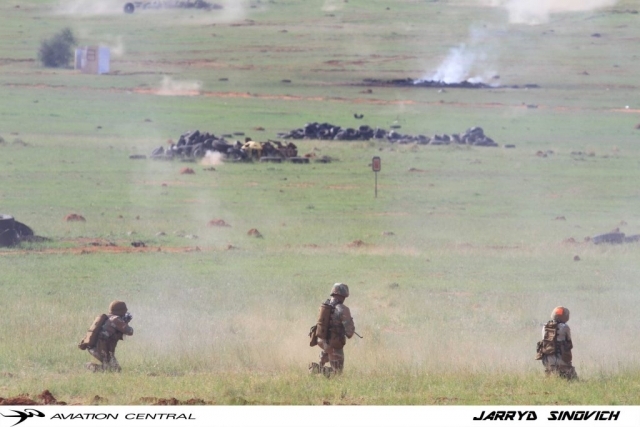 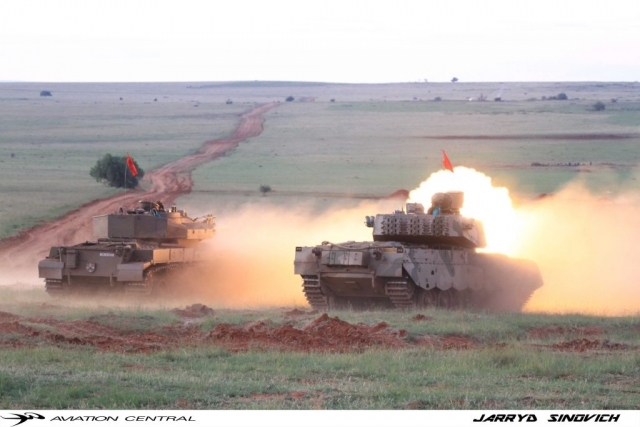 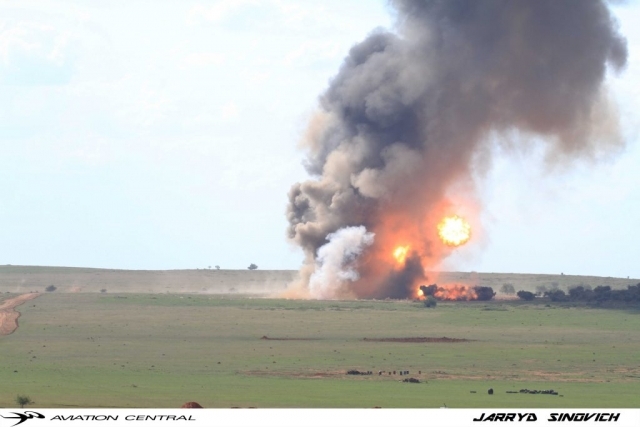 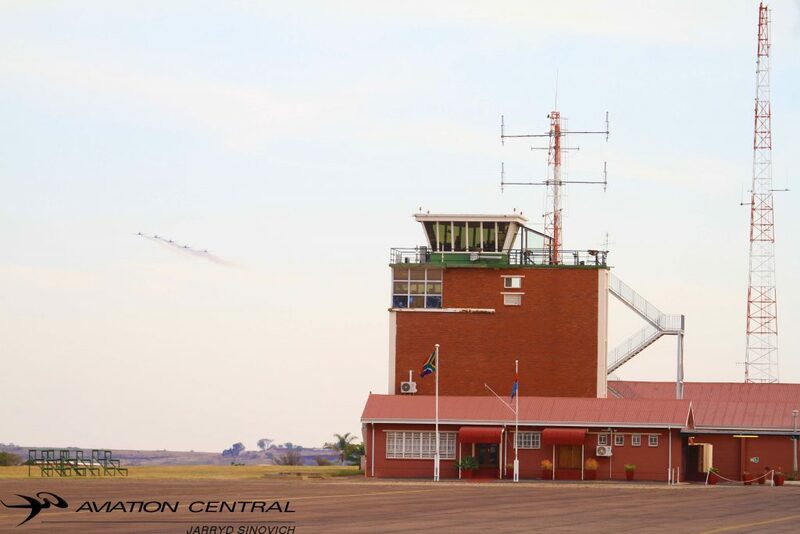 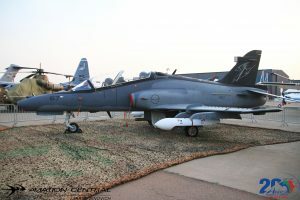 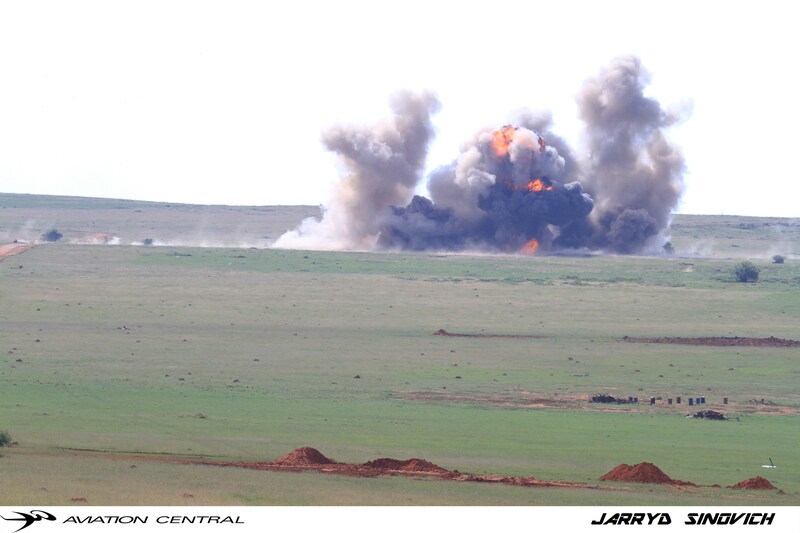 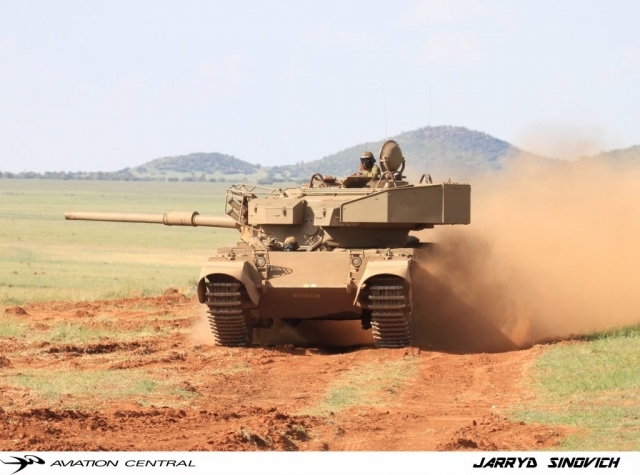 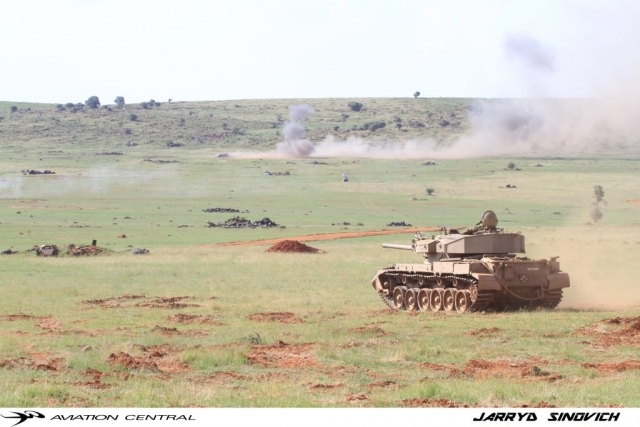 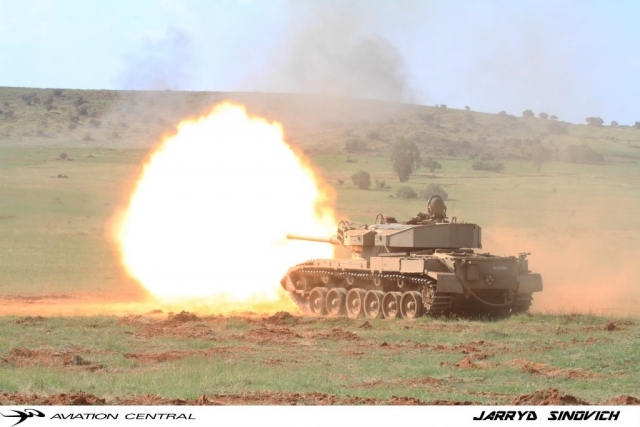 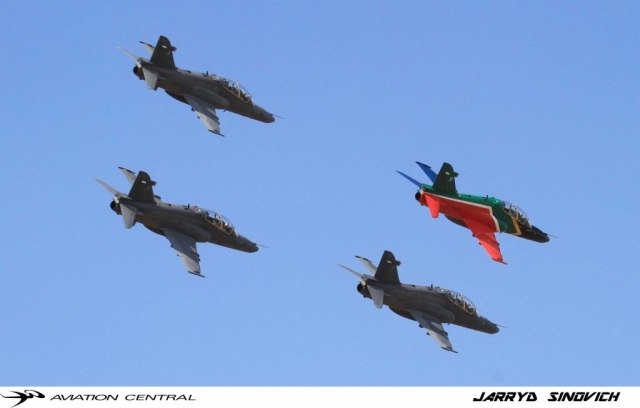 The team operated out of AFB Langebaanweg until the early 1990s,when all impala jet training was moved to Air force Base Hoedpsruit on the Kruger National Parks door step in the lowveld region of South Africa. 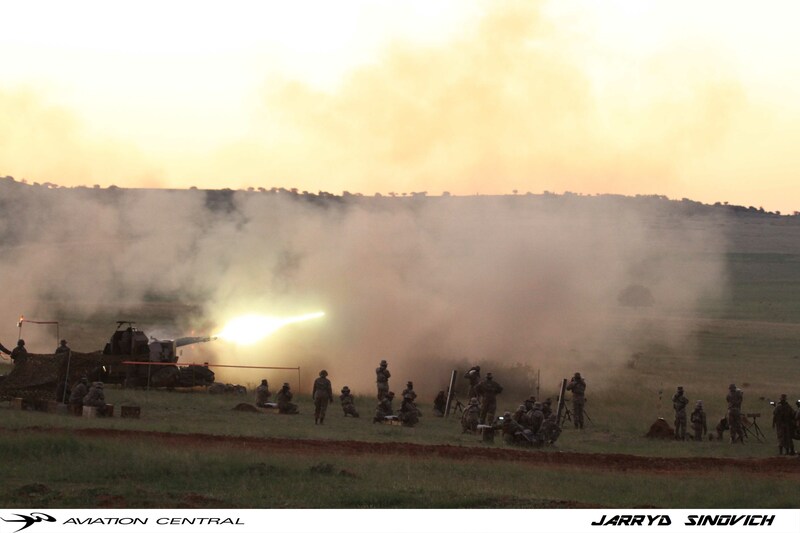 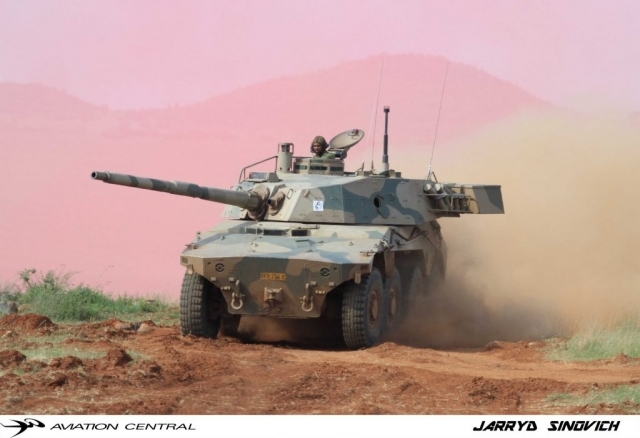 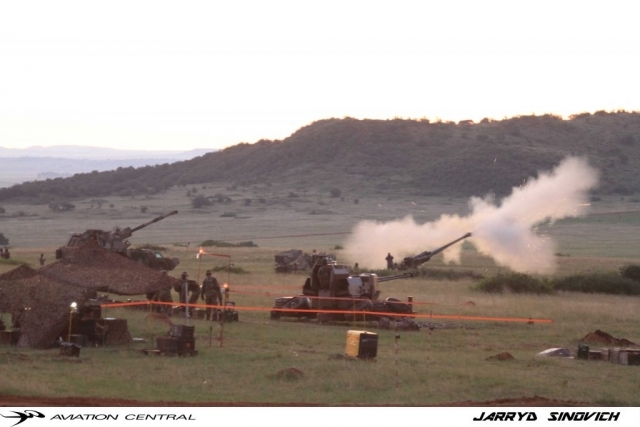 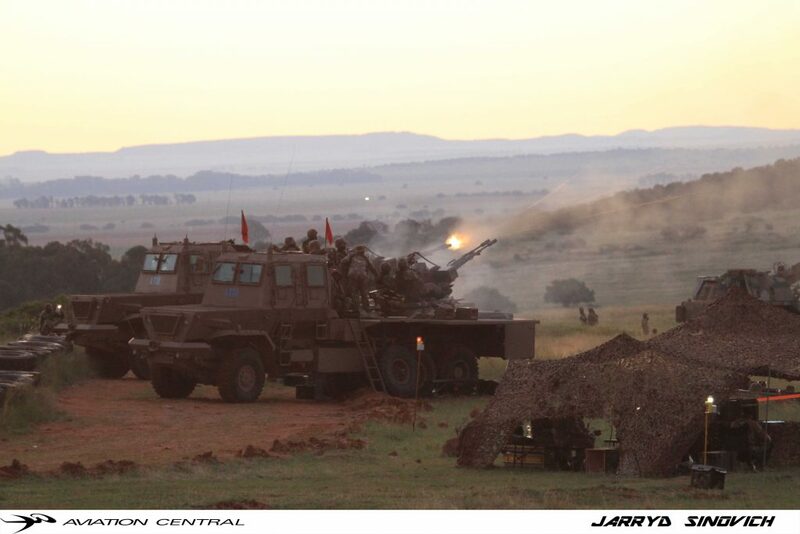 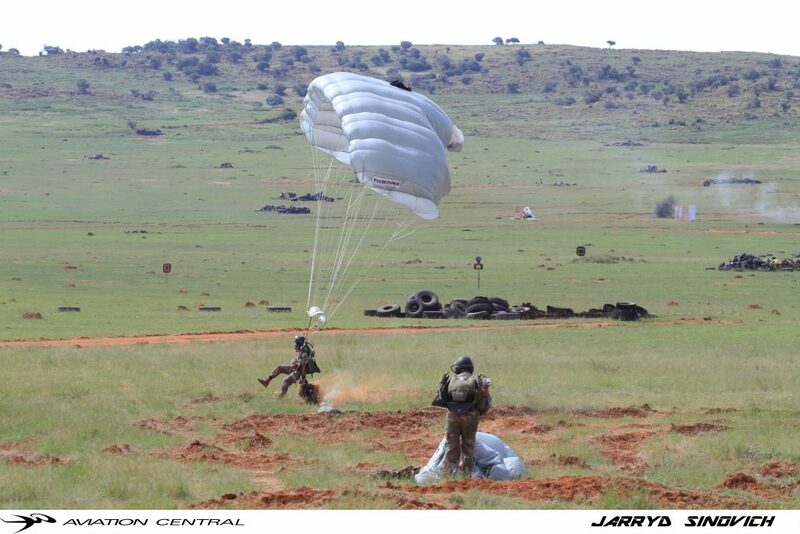 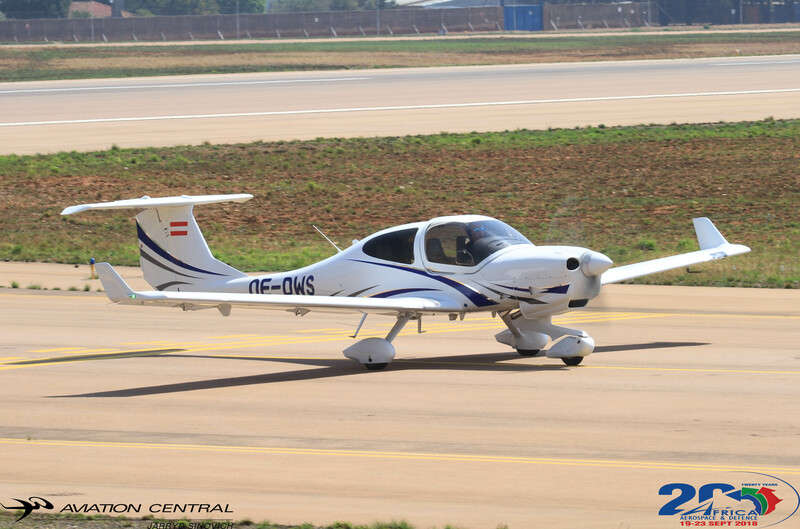 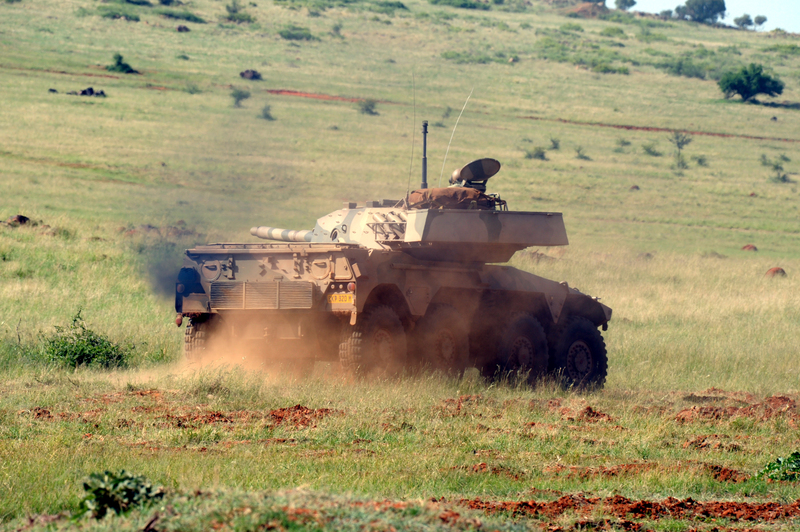 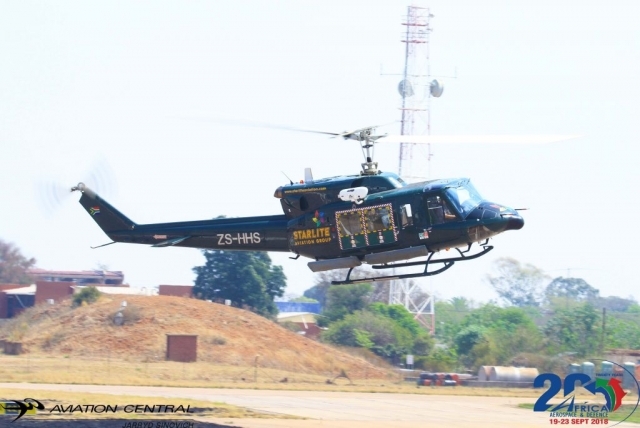 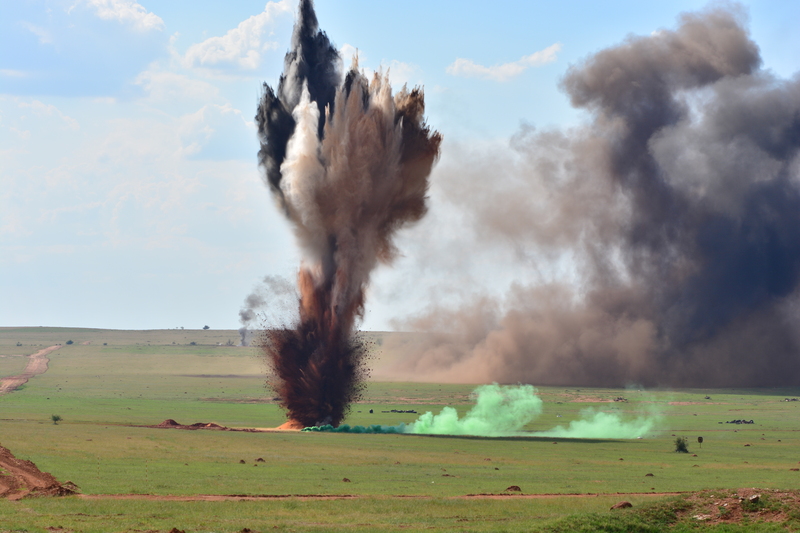 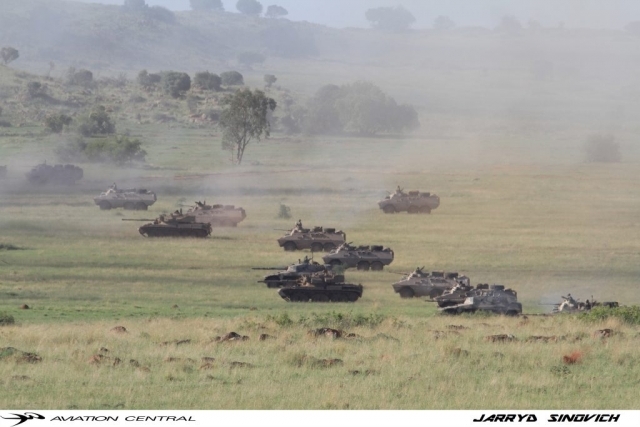 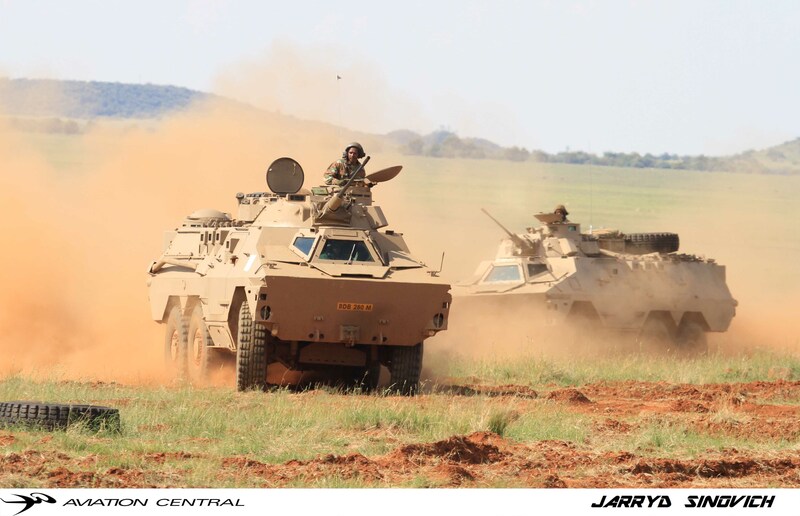 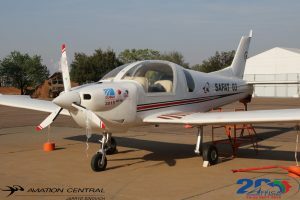 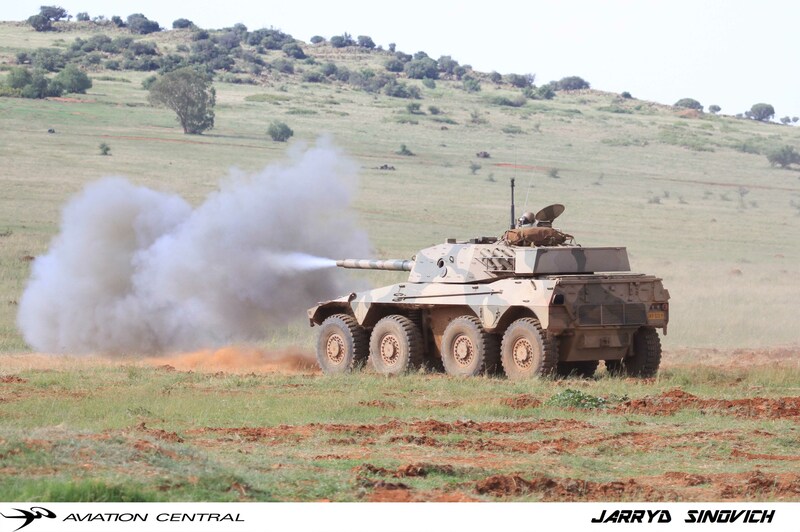 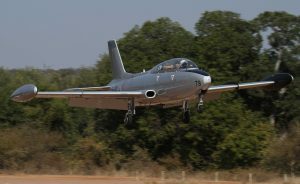 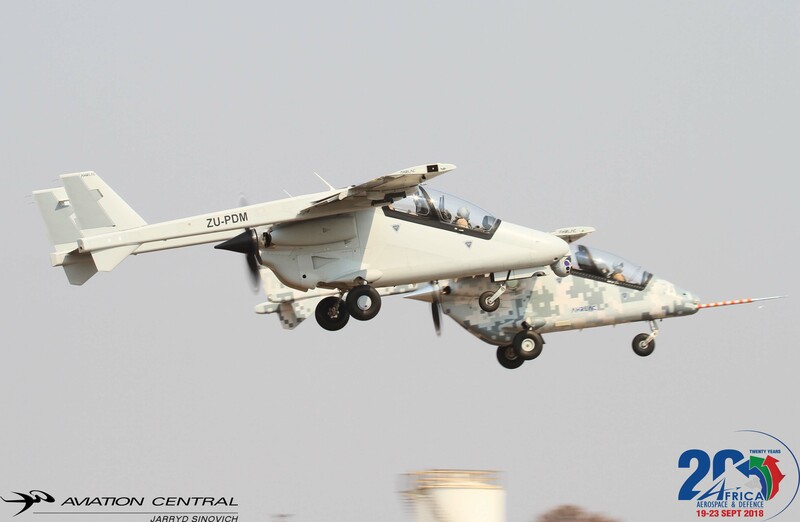 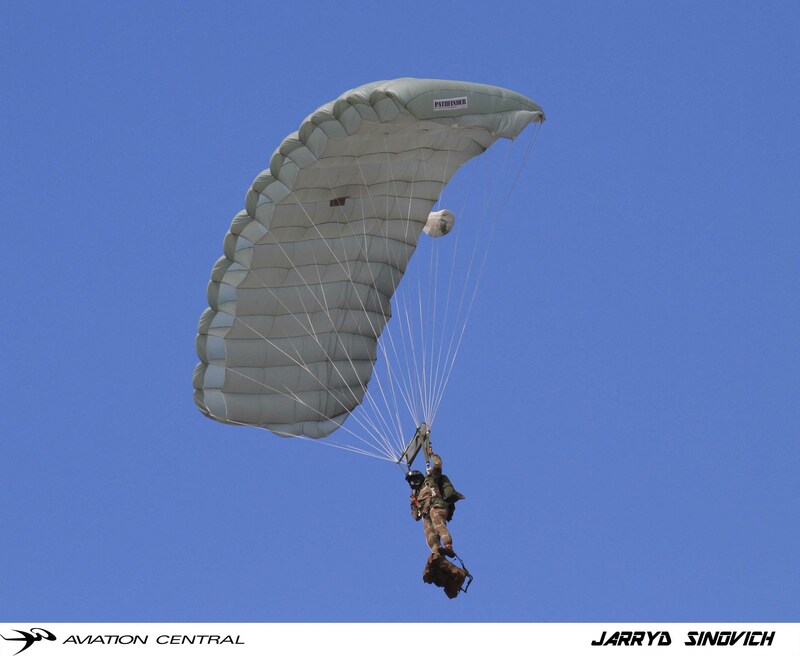 This formed part of 85 combat flying school which is now located at AFB Makhado in Limpopo flying the Hawk m120. 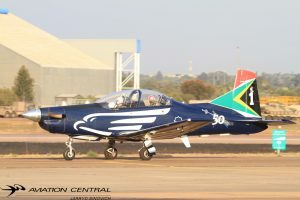 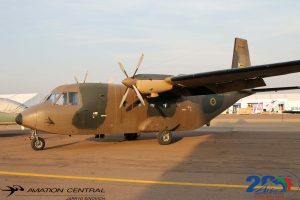 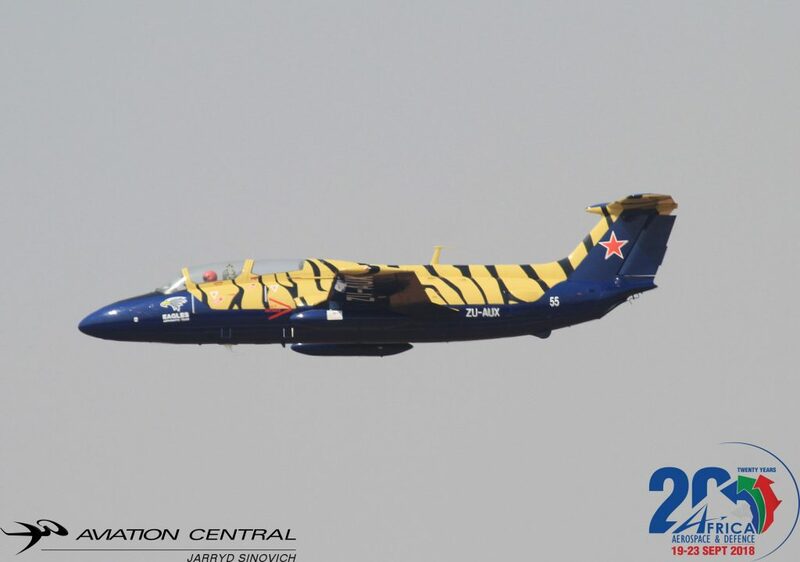 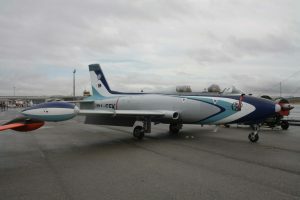 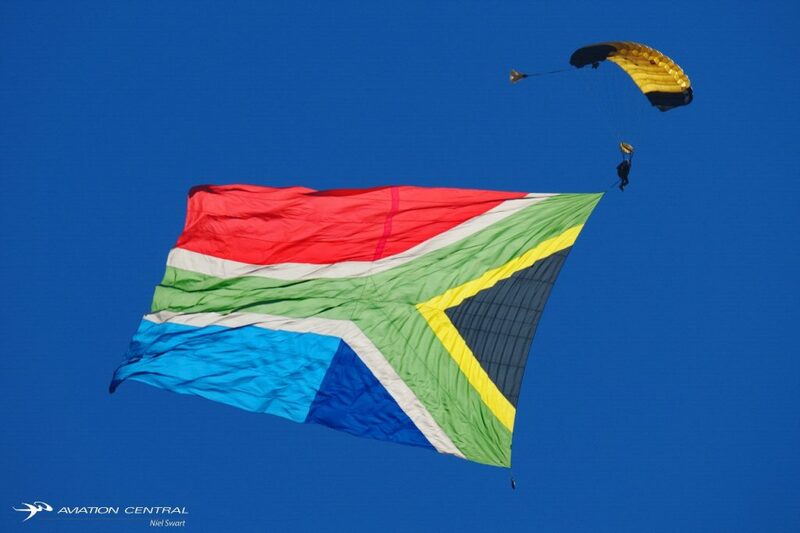 In 1994 with the new South African national flag, the teams aircraft were repainted to represent the colors of the South African Air force:blue, light blue and white. 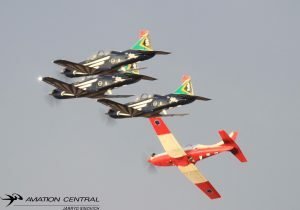 With SAAF75 in 1995 the Silver Falcons had the opportunity to tour South Africa with the RAF Red Arrows all over South Africa. 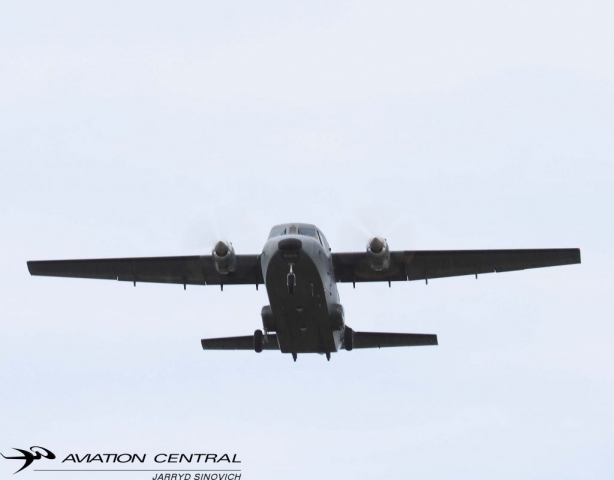 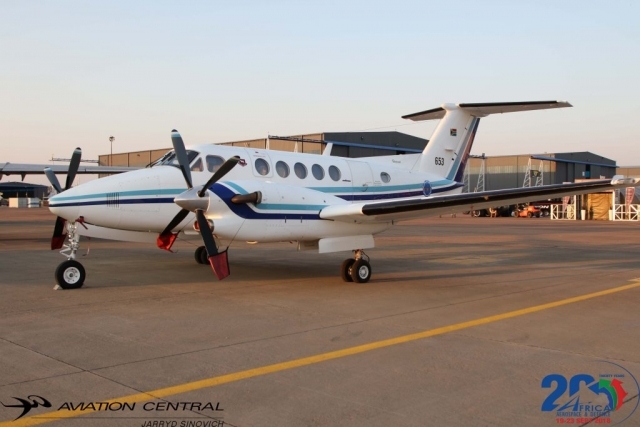 During 1998, the team moved back to AFB Langebaanweg and commenced training on the new Swiss Pilatus Astra turboprop trainers. 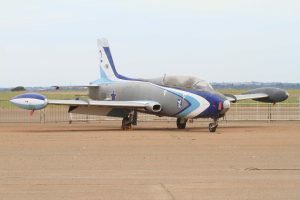 The decision was taken to display the Astra trainer to the public, as the time was near for the retirement of the impala aircraft in 2005. 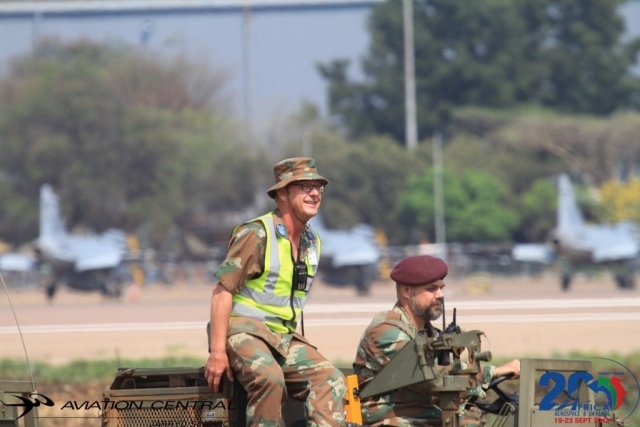 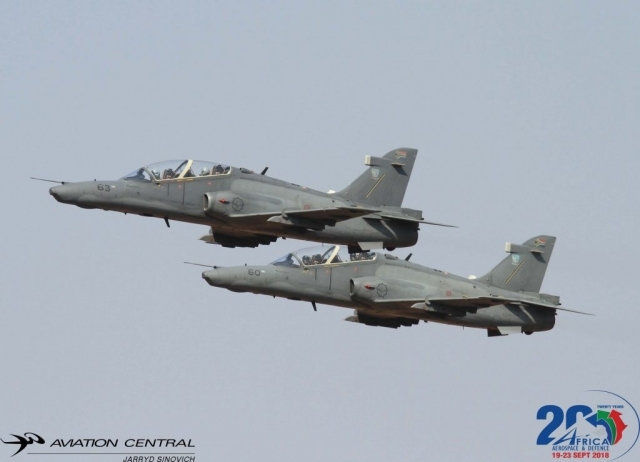 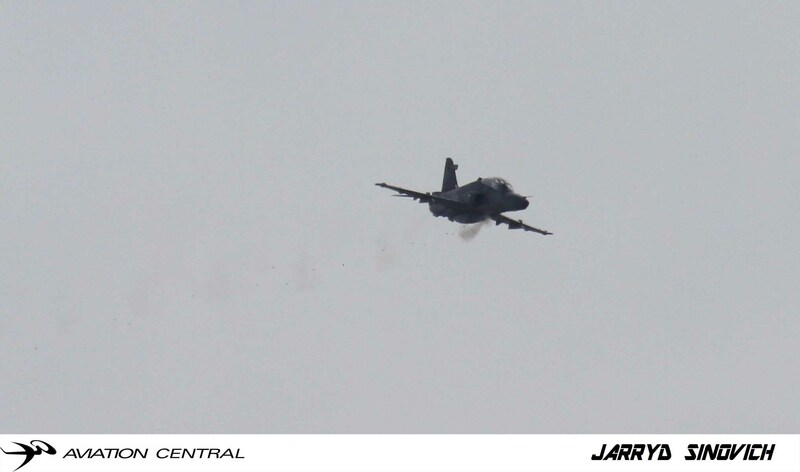 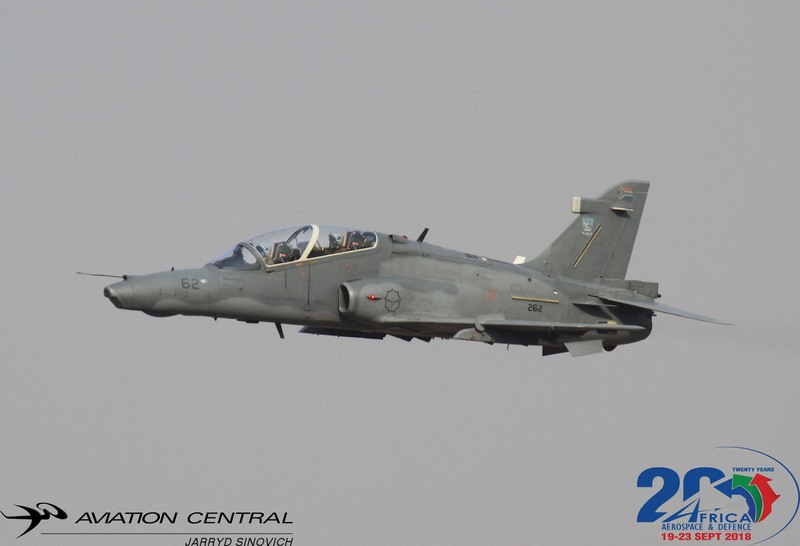 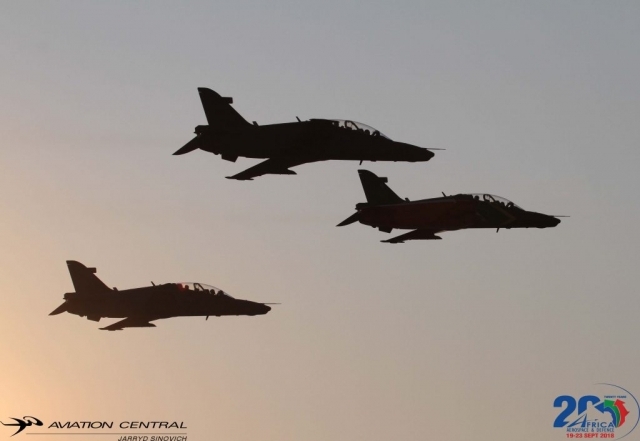 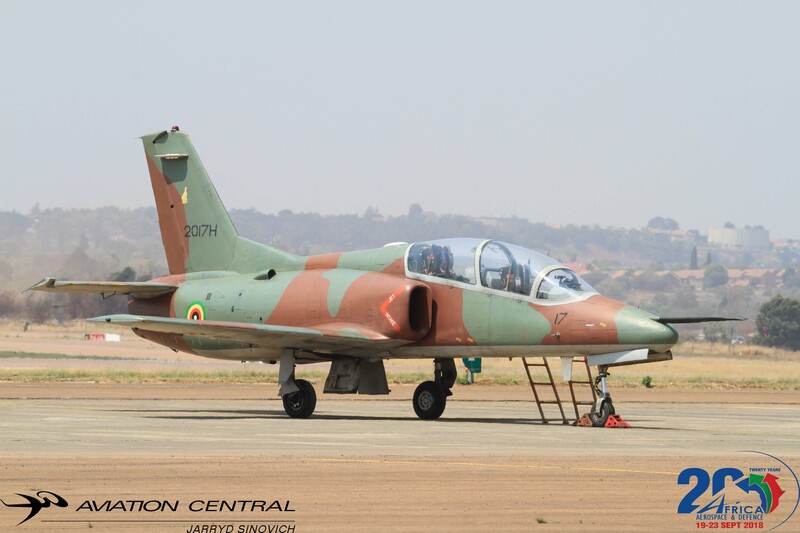 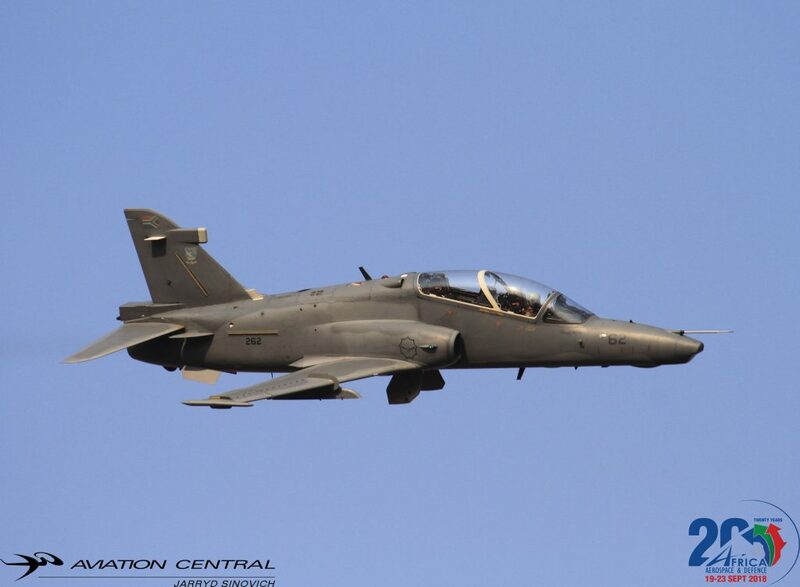 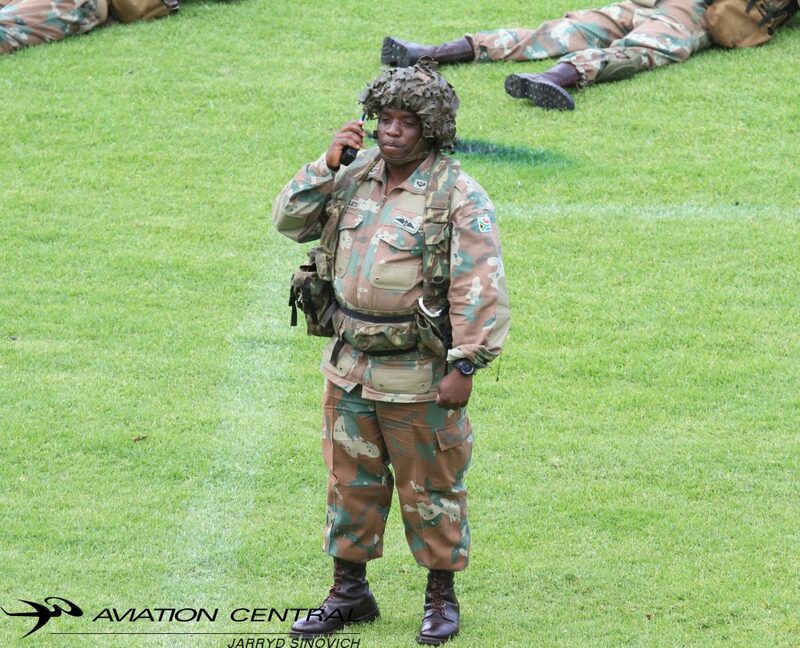 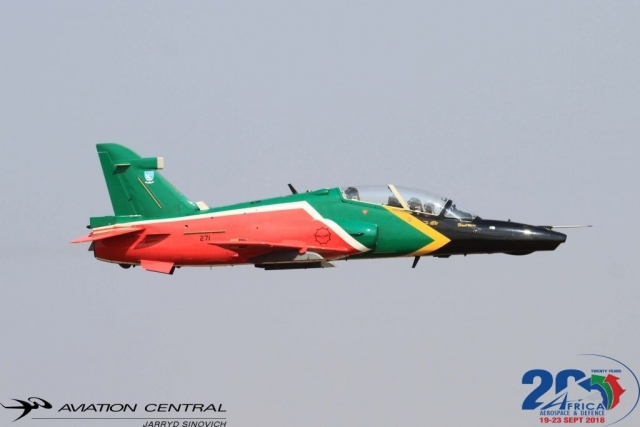 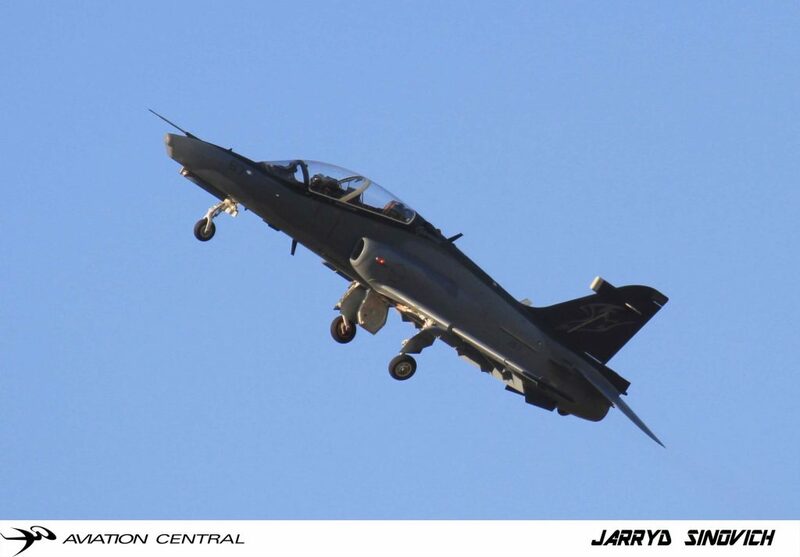 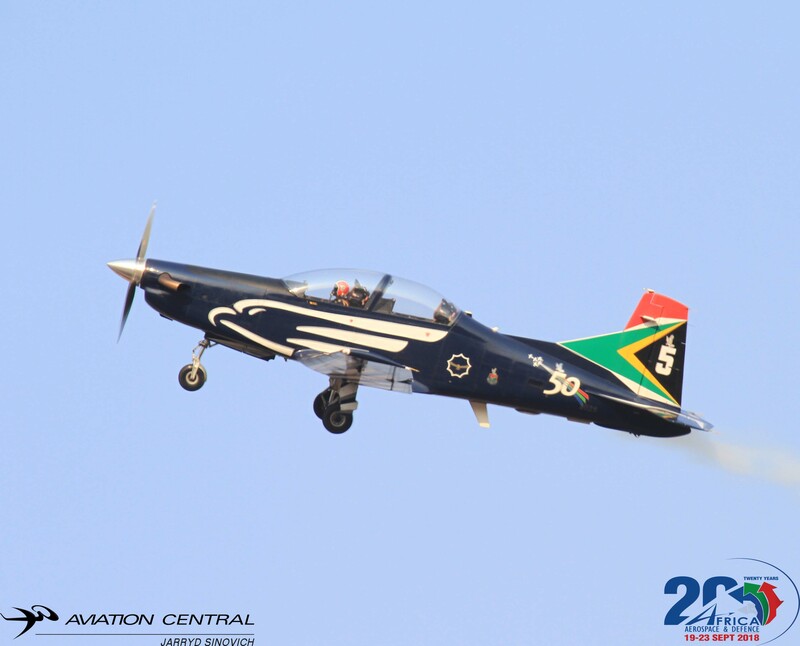 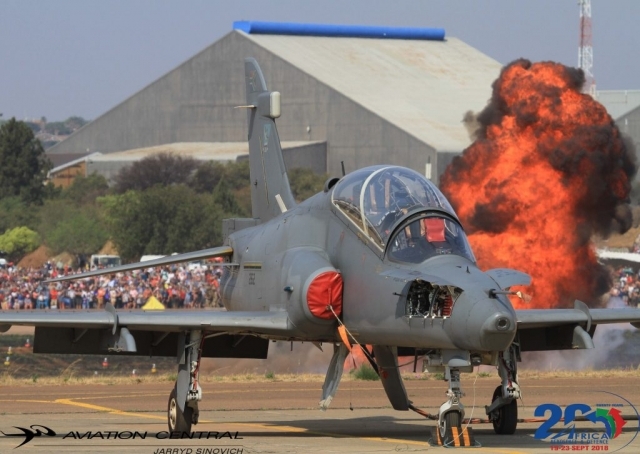 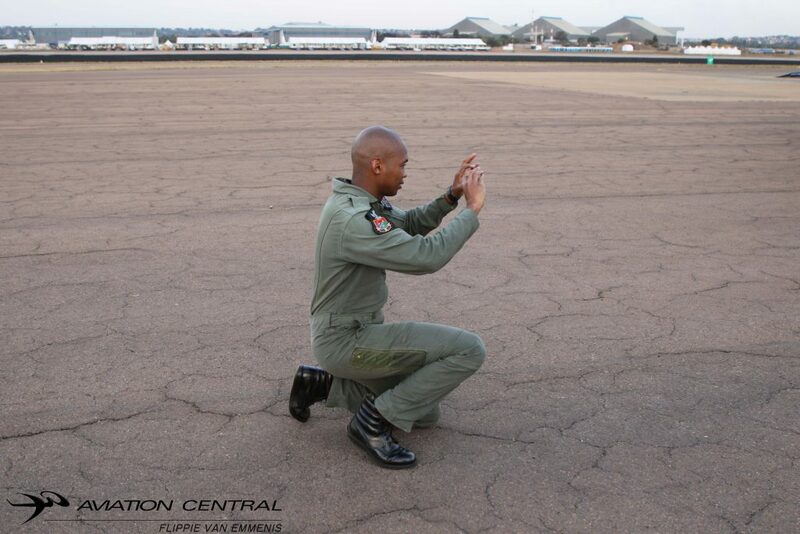 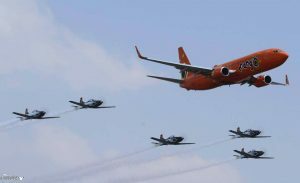 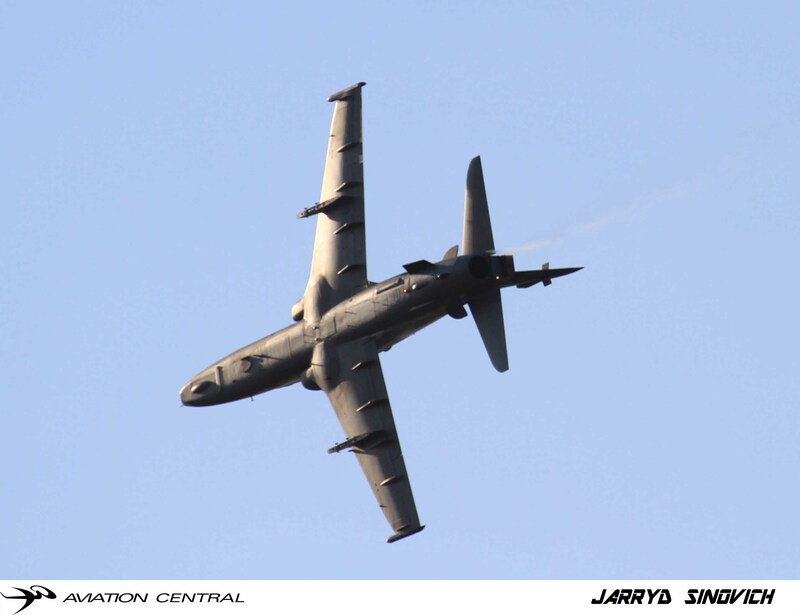 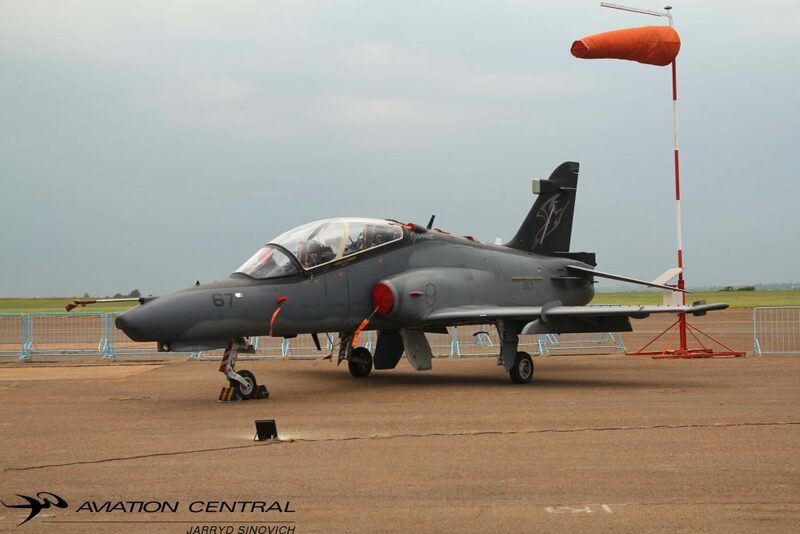 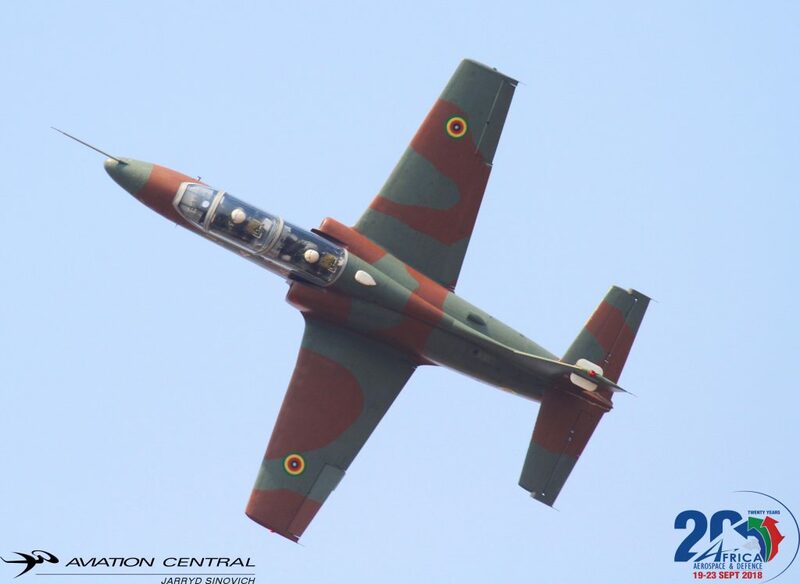 The air force was getting ready for the introduction of the Bae Hawk mk120 into SAAF service. 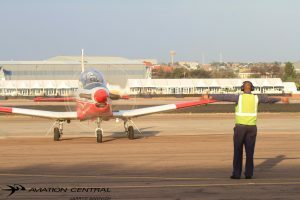 At AFB Langebaanweg the team was reduced to a four ship in the standard red and white paint scheme, known to pilots as flying coke cans on the Astra fleet. 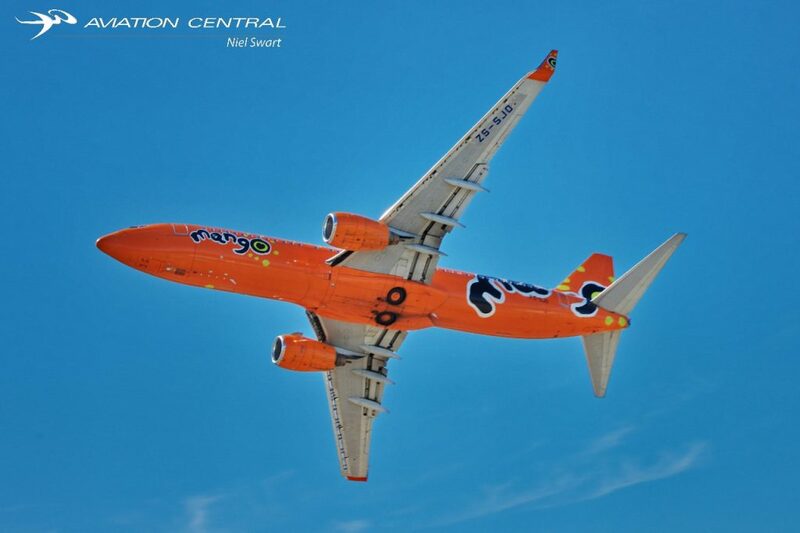 At this point of time the aircraft had no eye catching paint scheme on the aircraft. 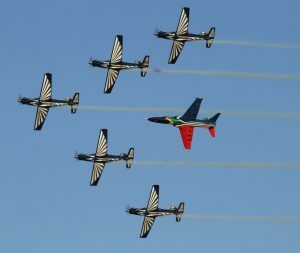 In September 2008 at the African Aerospace and Defense (AAD) Expo at AFB Ysterplaat in Cape Town, the aircraft were specially painted in a unique blue and white and other additional liveries and the team was expanded to 5 ship once again. 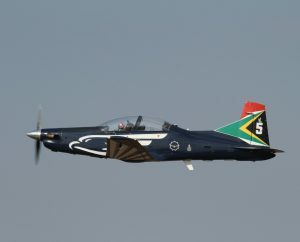 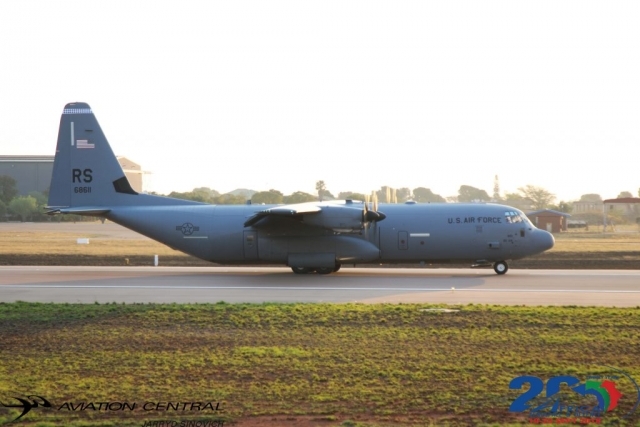 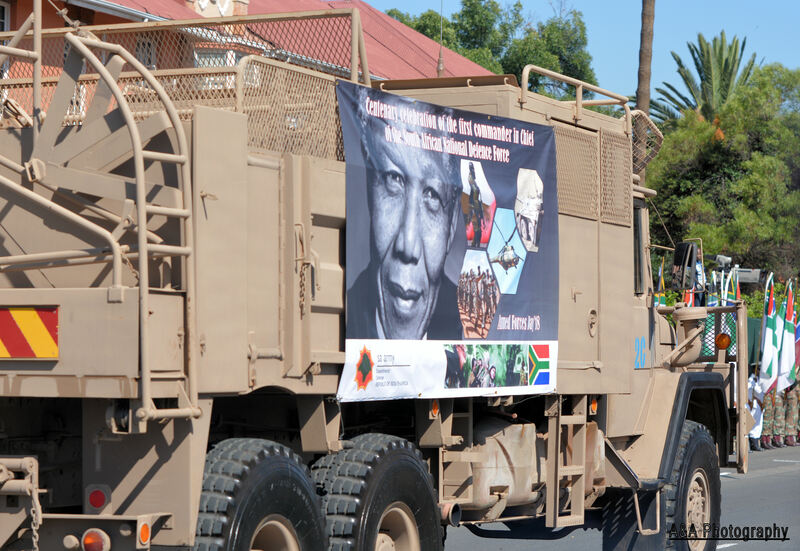 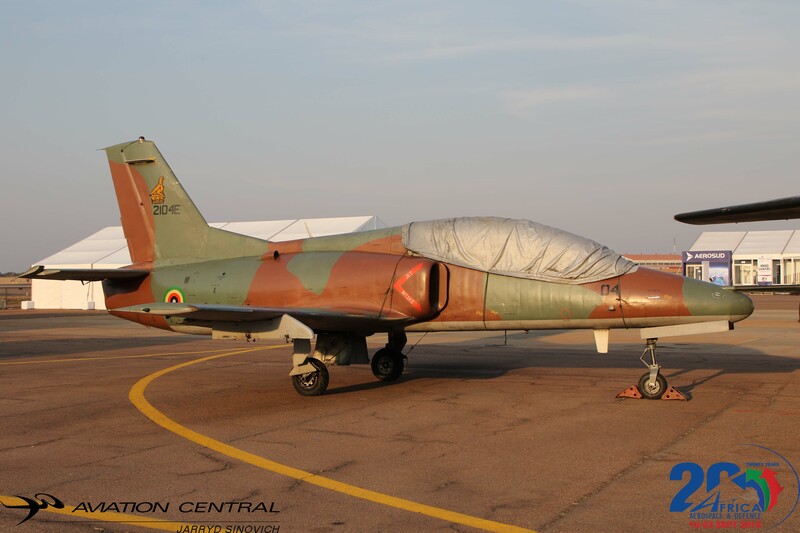 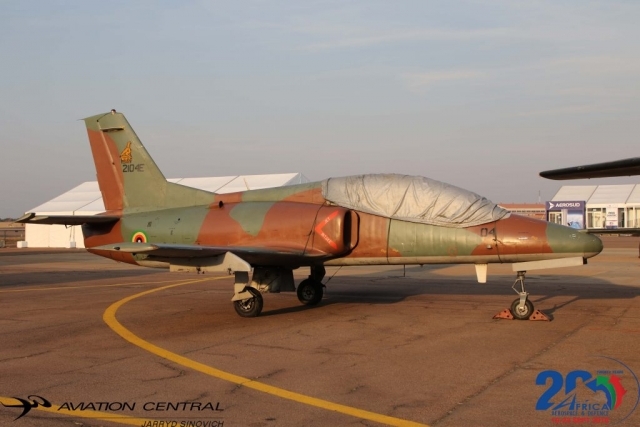 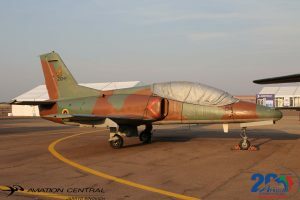 The paint for the aircraft was donated by a local paint supplier, First African Paints. 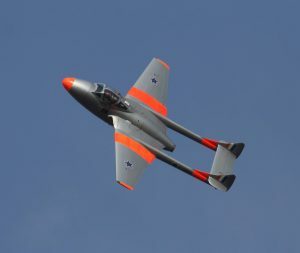 The first display was flown at this major show. 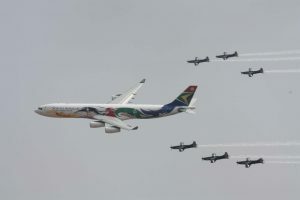 From then on the Silver Falcons have been a hit at every airshow they’re attended, if they not flying with an SAA Airbus in formation. 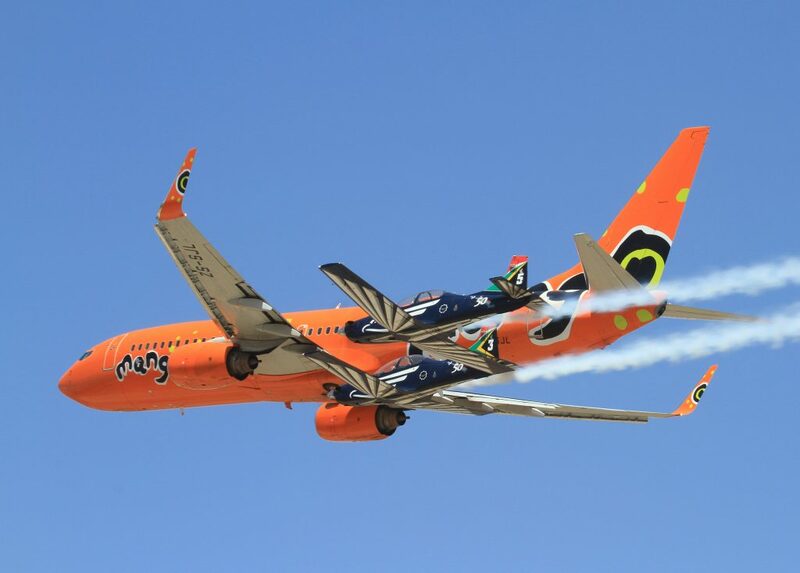 They up close and personal with one of Mango Airlines Boeing 737-800s. 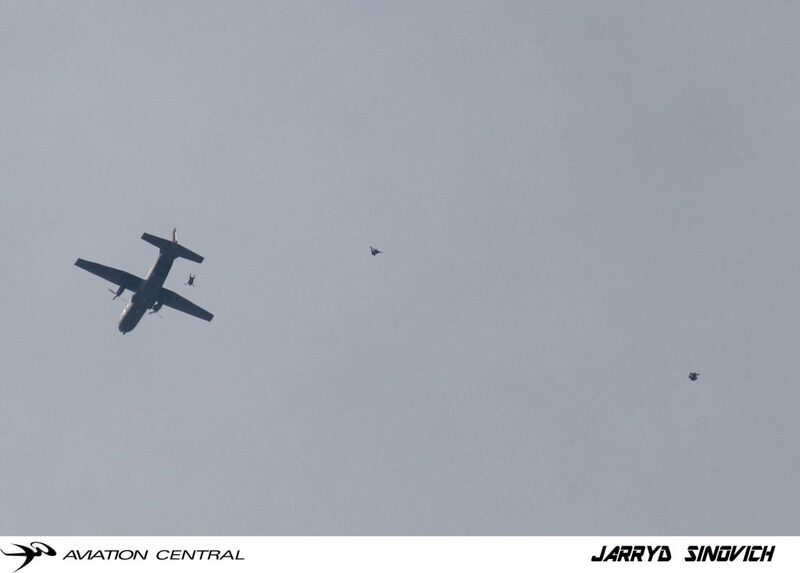 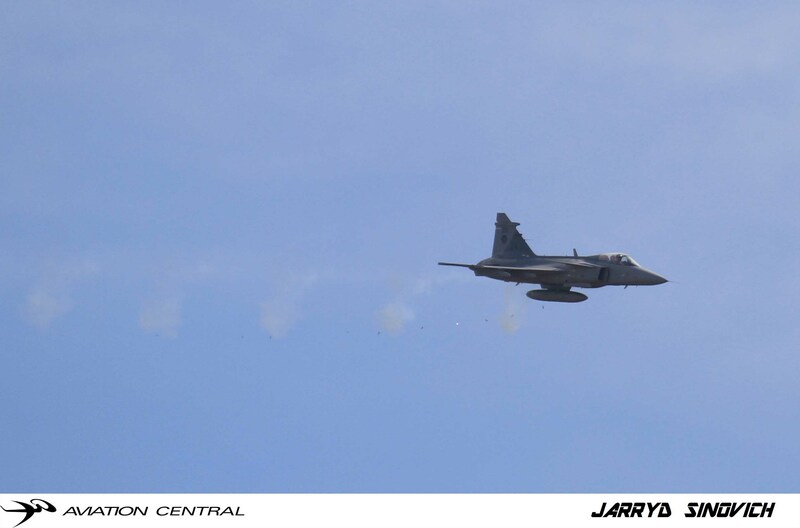 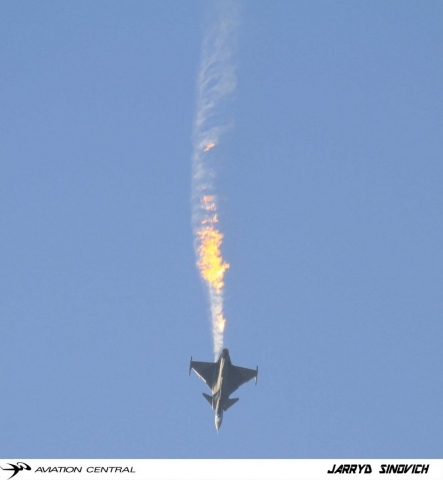 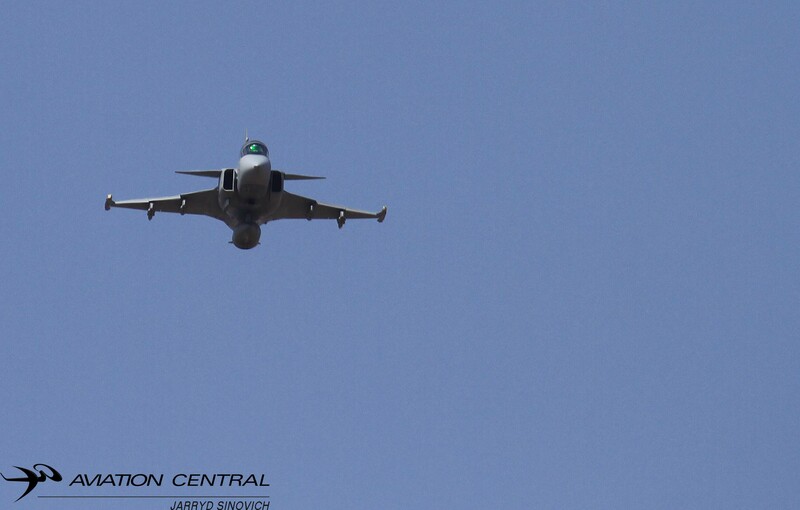 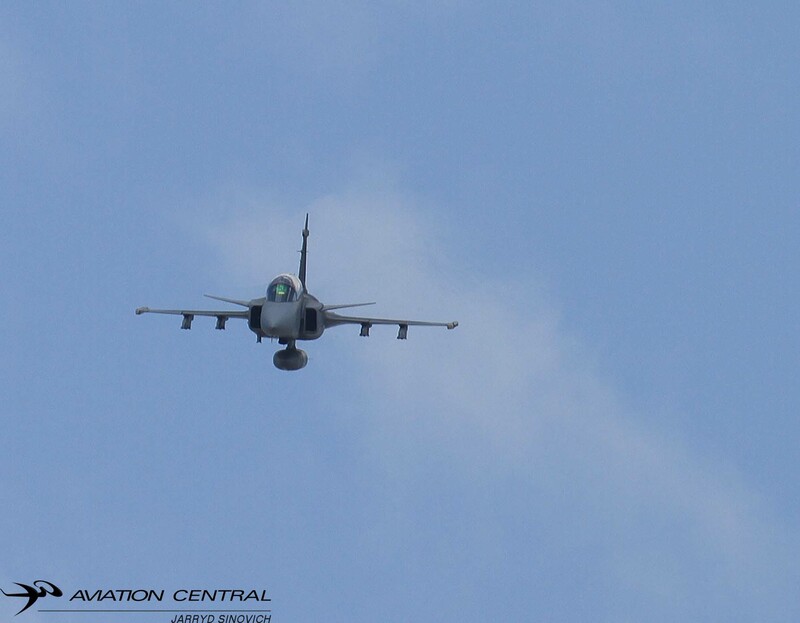 Something new was when they started is flying with a fighter jets, including Hawk and now Gripen. 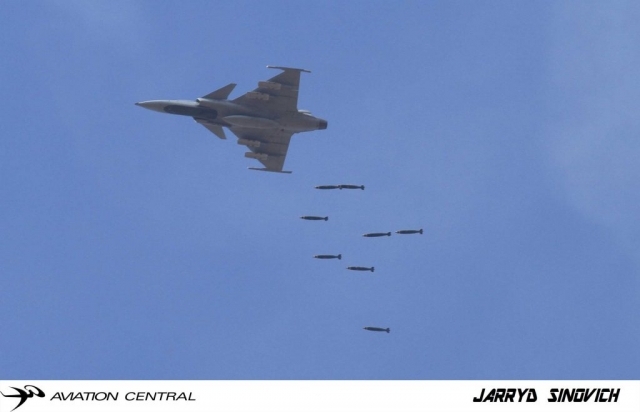 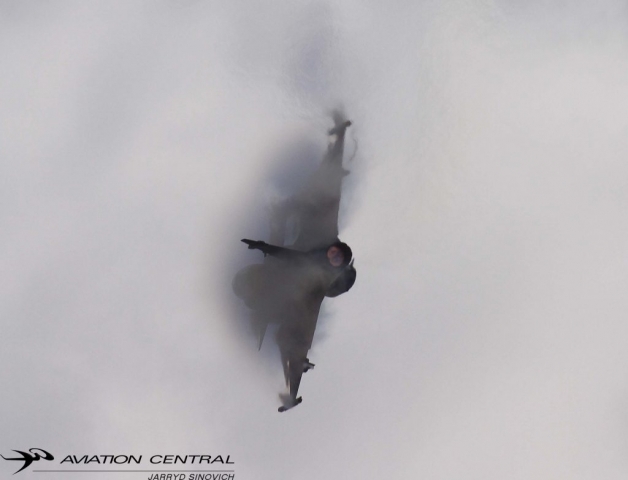 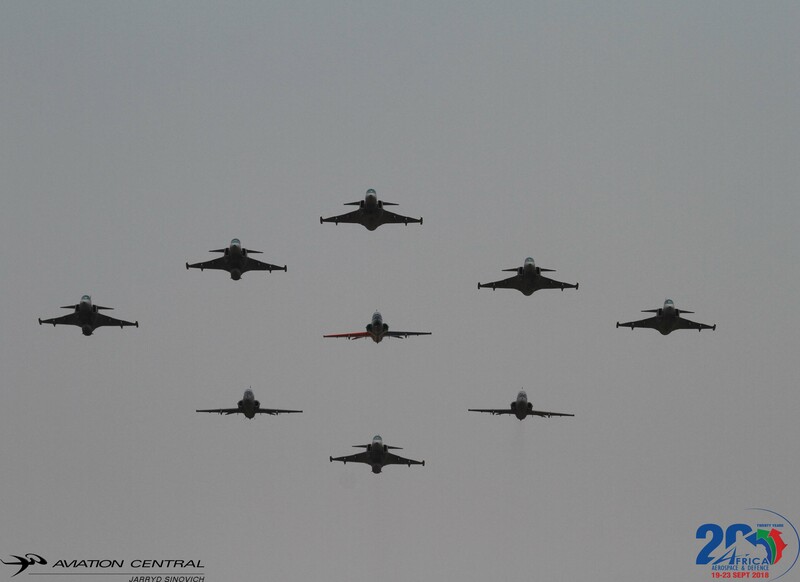 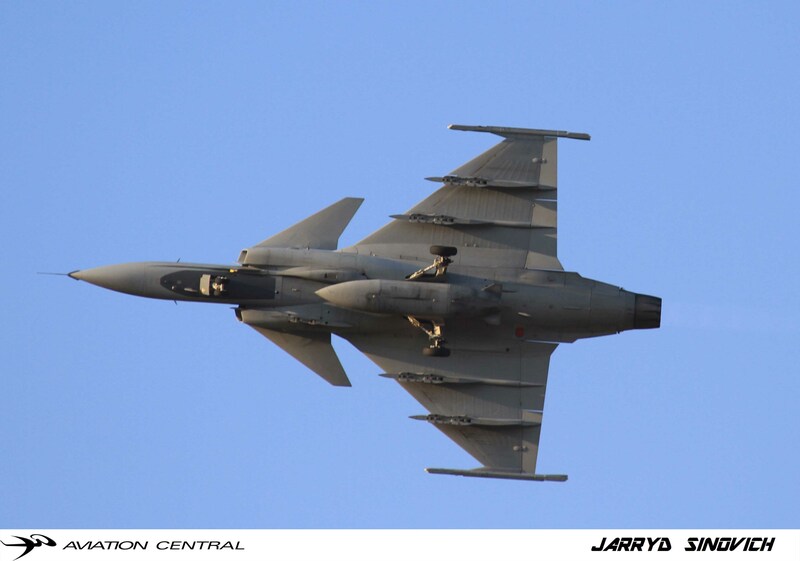 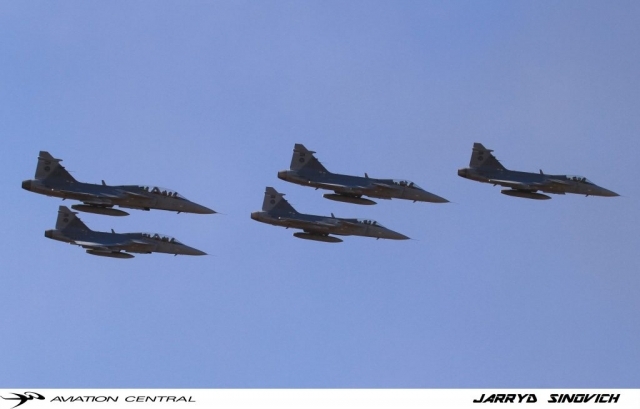 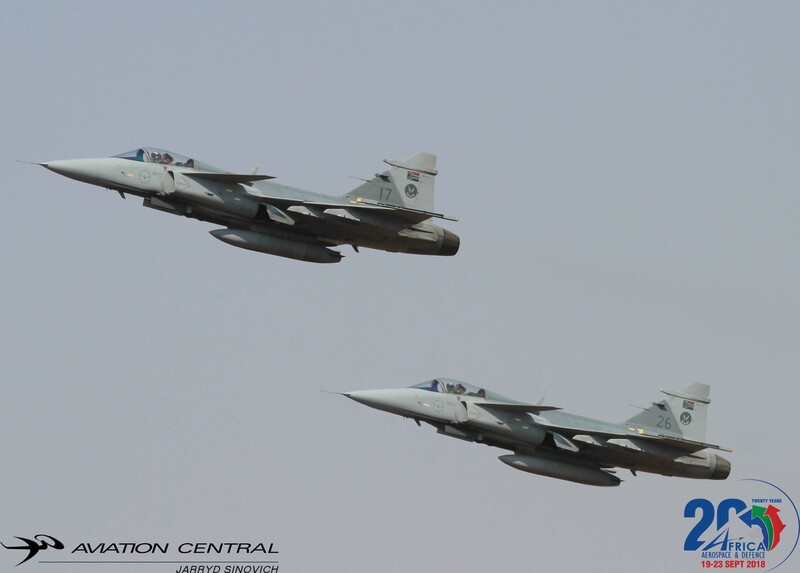 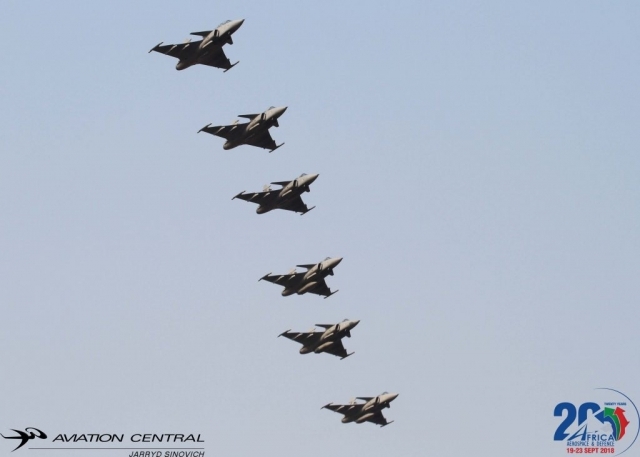 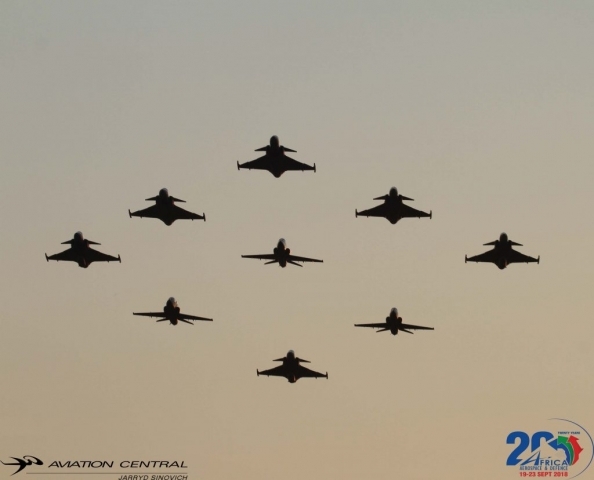 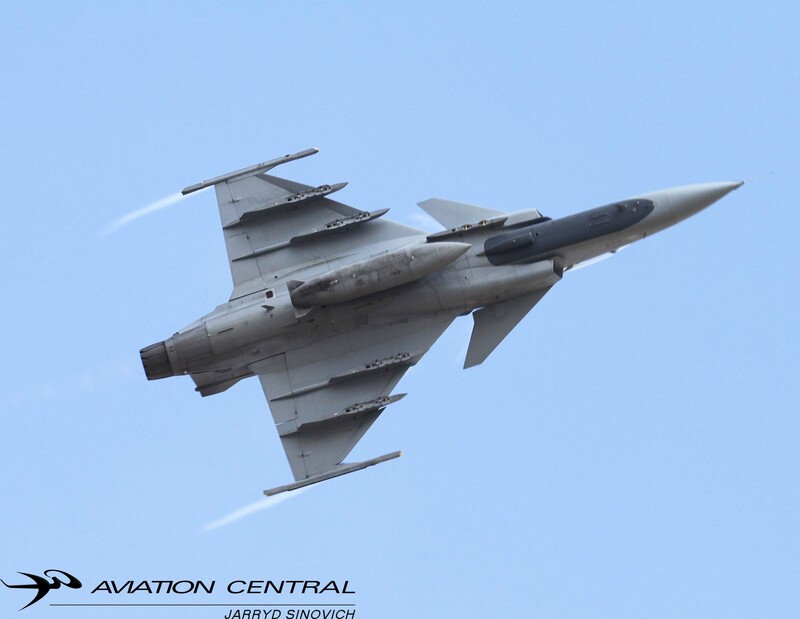 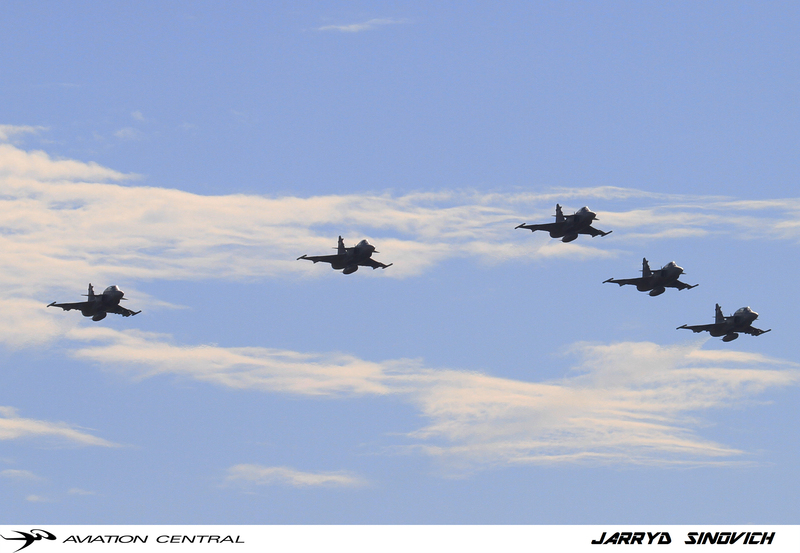 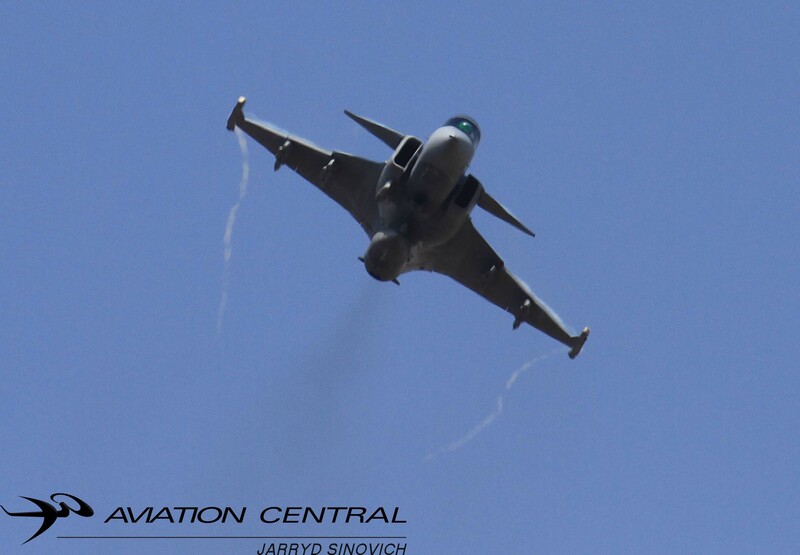 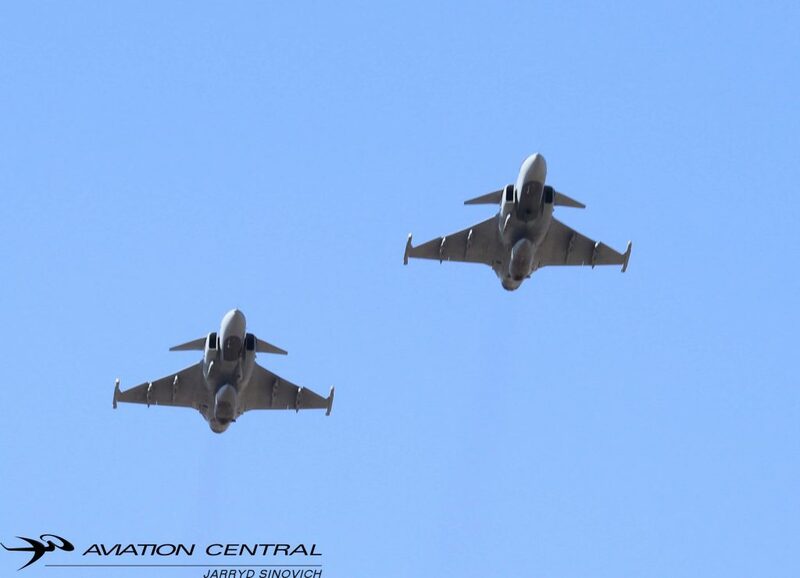 The Gripen formation is also known as the “Aviation Central Formation”. 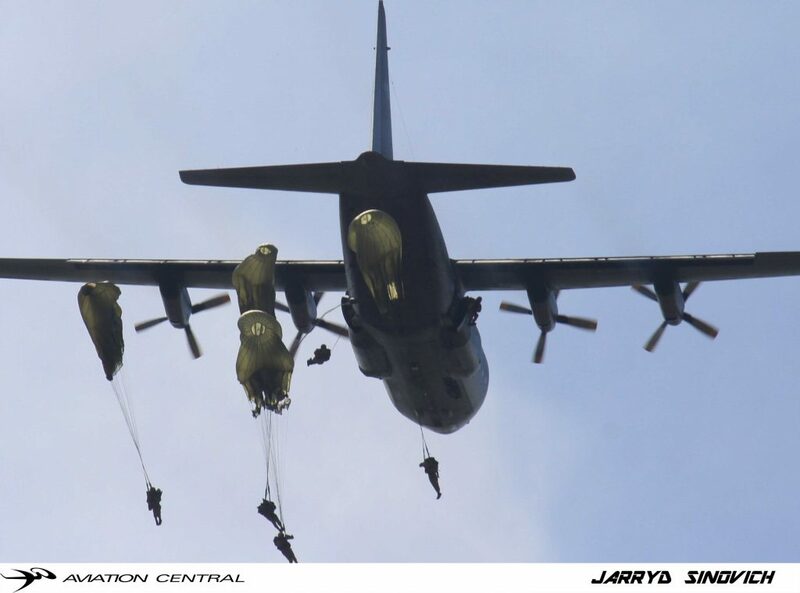 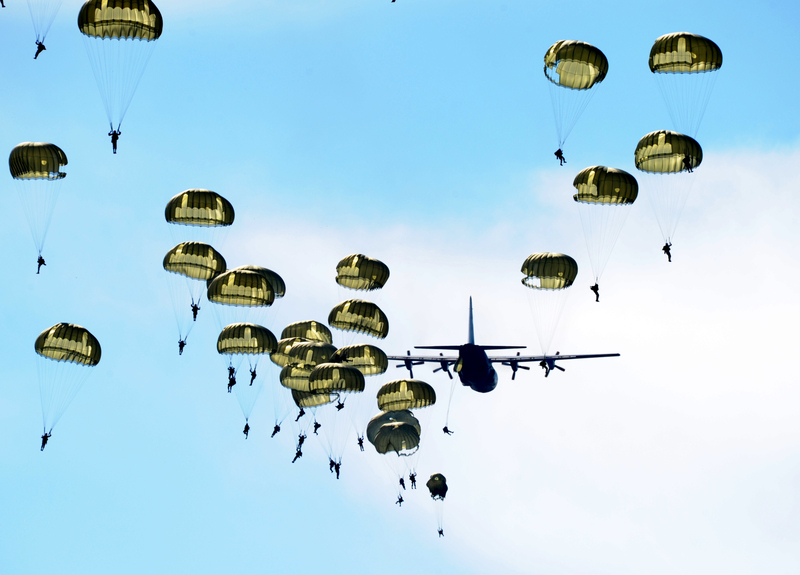 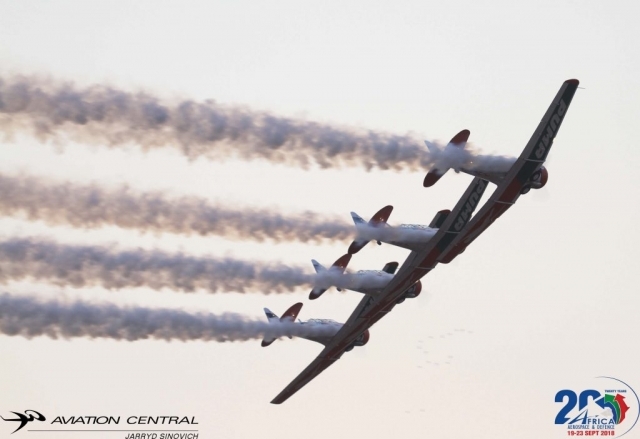 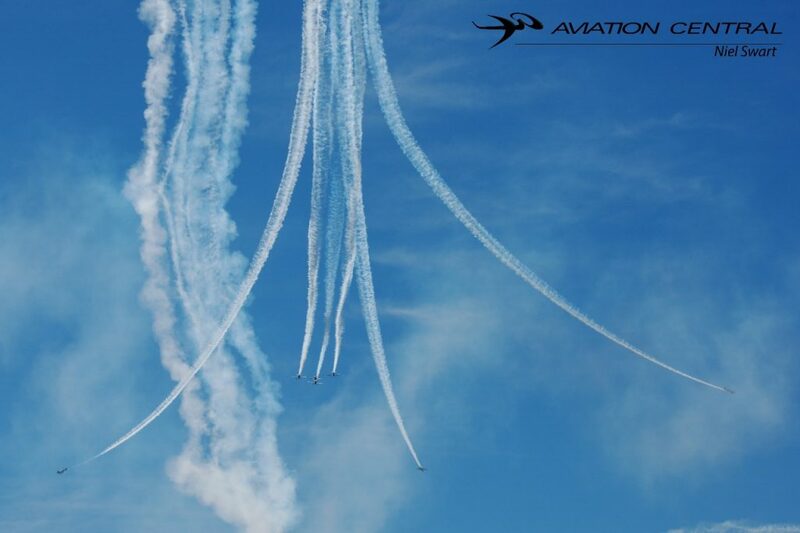 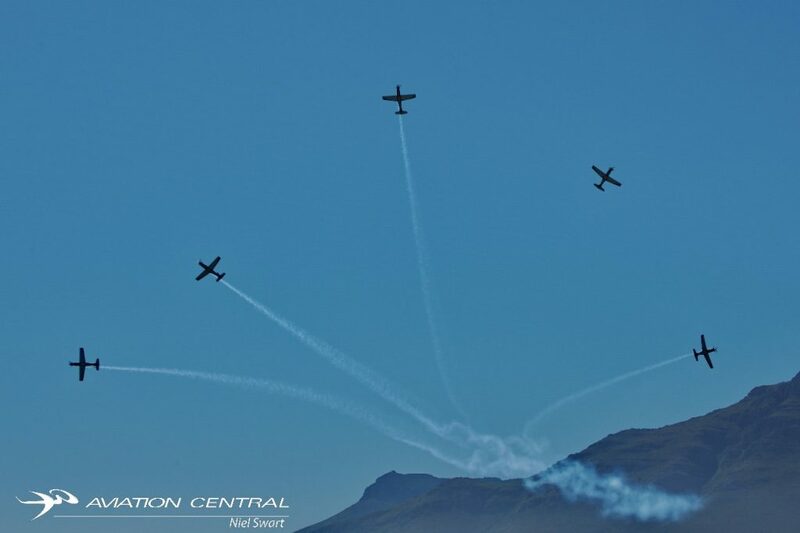 Many of these particular formations have the crowds on their feet every time they are flown! 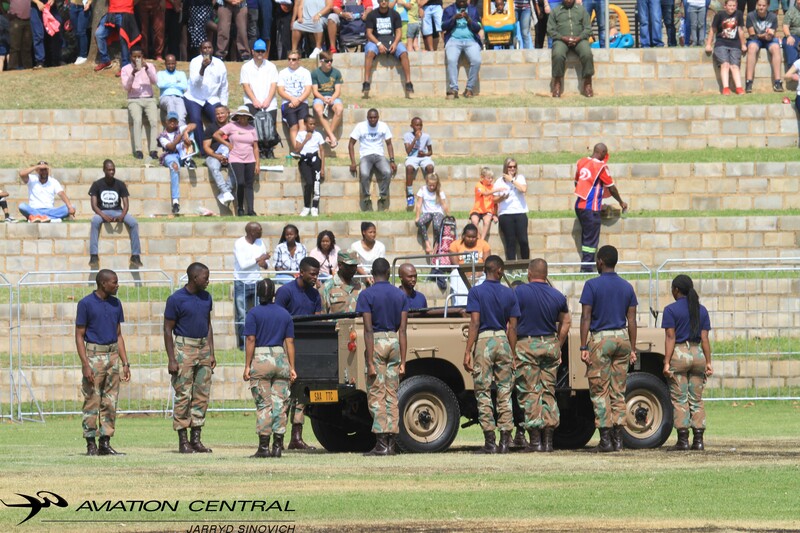 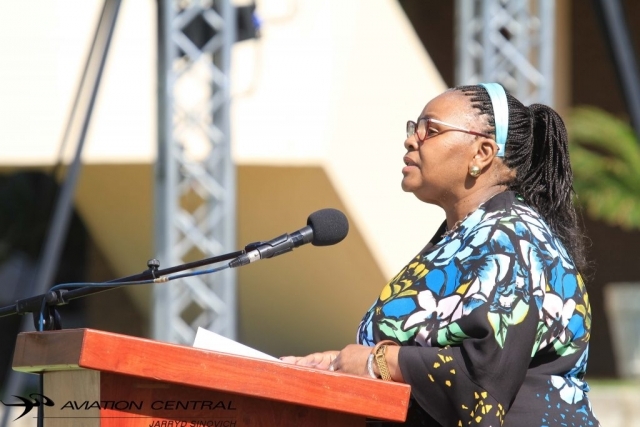 The team also made history when they opened the Fifa Soccer World cup in Soweto in 2010,the world had all eyes on them. 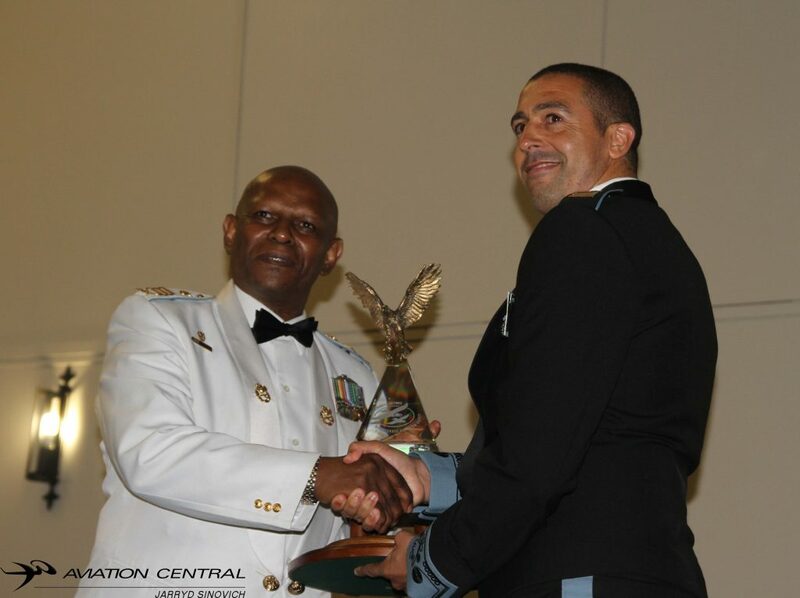 Today the Falcons lead Major Mark ‘Katana’ Gentles is the most capped leader in the whole Silver Falcons history. 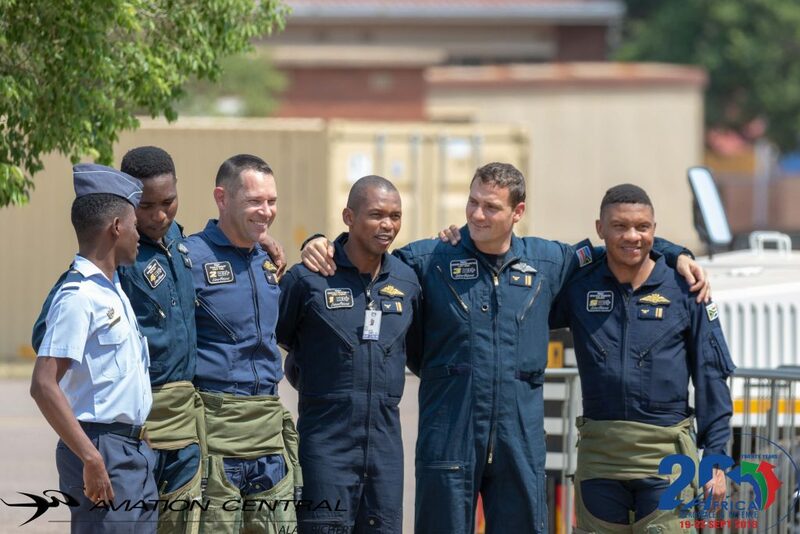 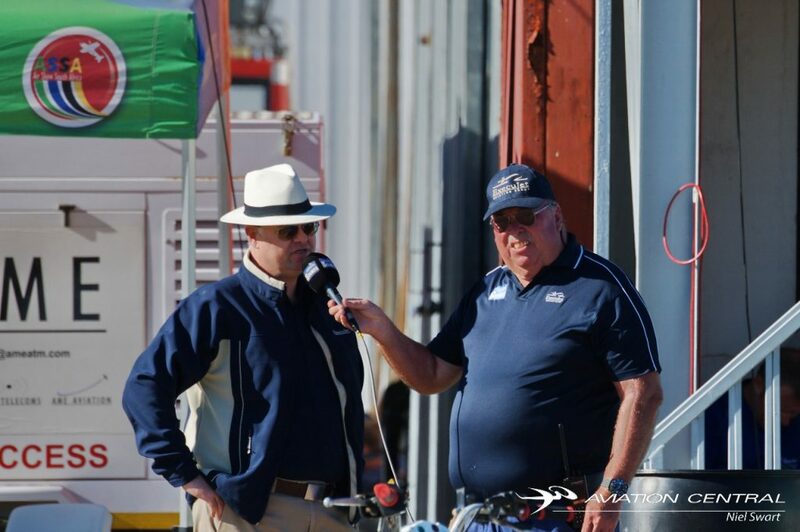 With the rest of the team made up of Major Bheki Shabangu,Major Sivu Tangana,Major Wendy Badenhorst,Major Omphile Matlaone and the GLO Corne Deventer and don’t forget Falcon 8 Brian Emmenis who has commentated for almost every team. 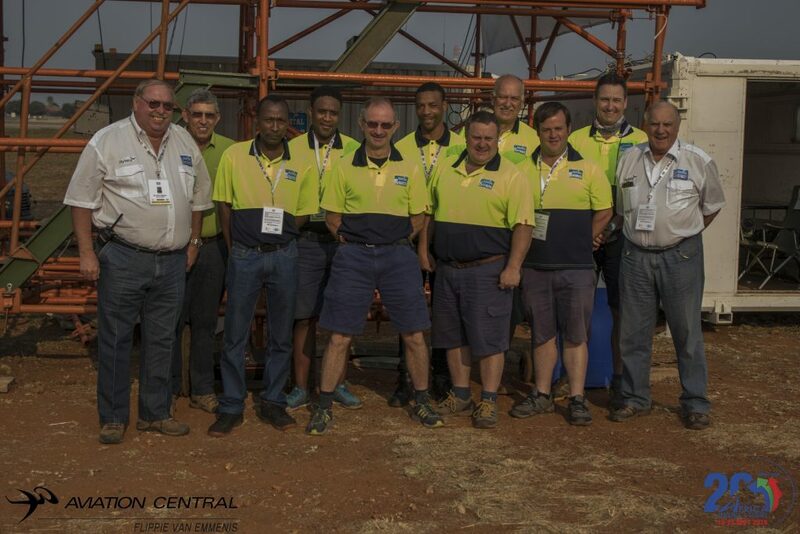 To the very special ground crew who keep the aircraft serviceable and fix snags before shows at the last minute. 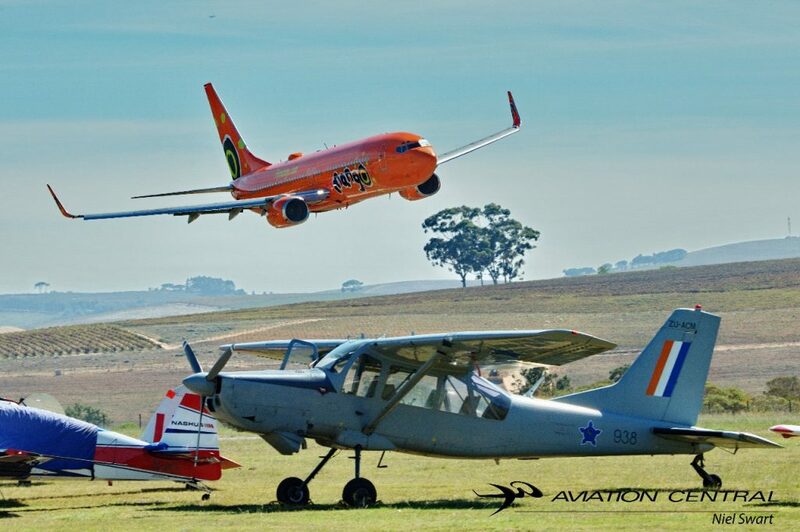 If it wasn’t for you guys we would have no aircraft flying but hopefully taxing lol. 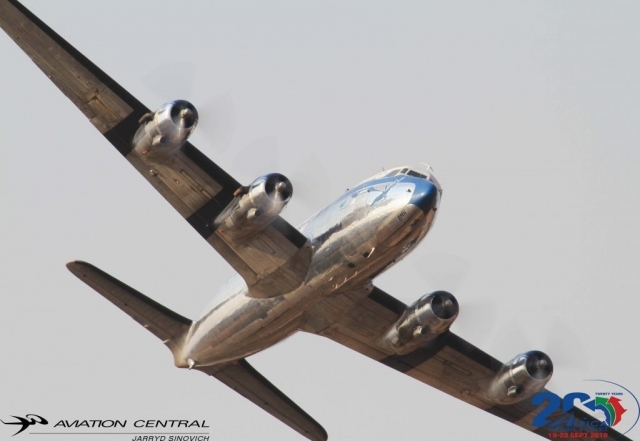 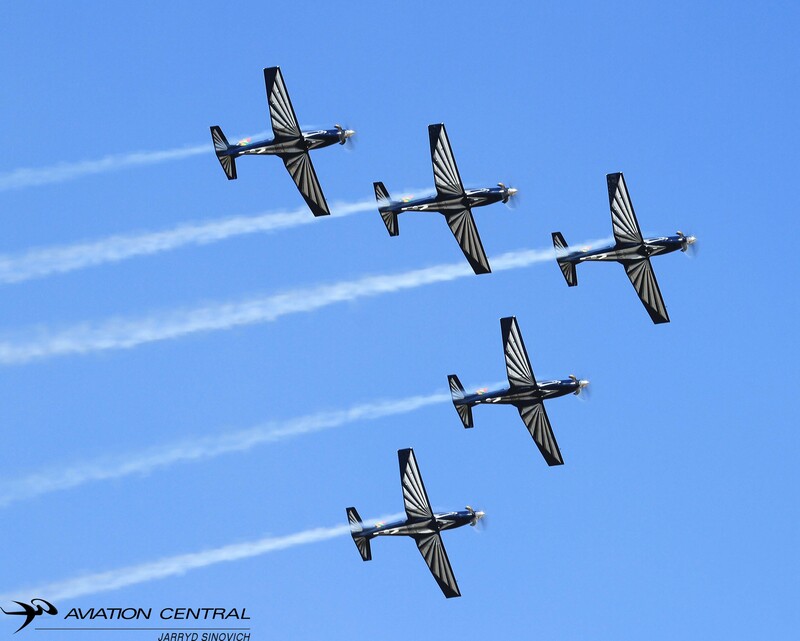 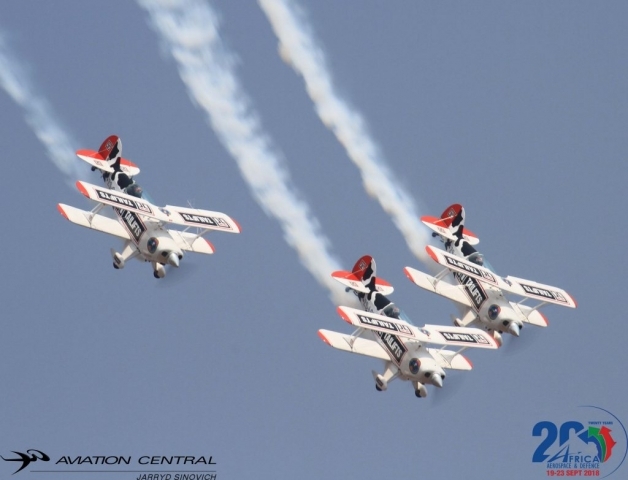 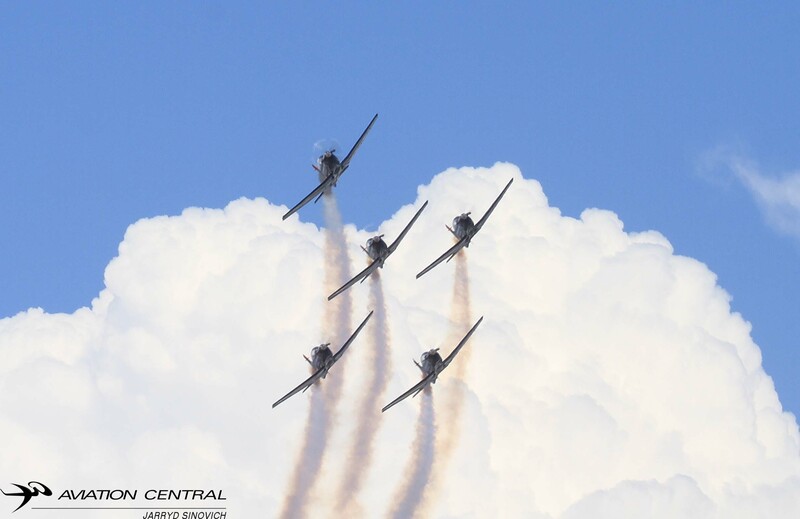 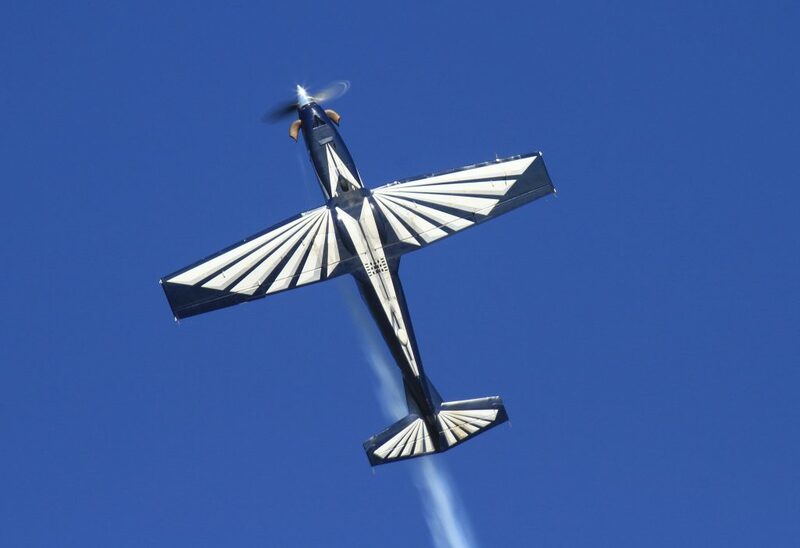 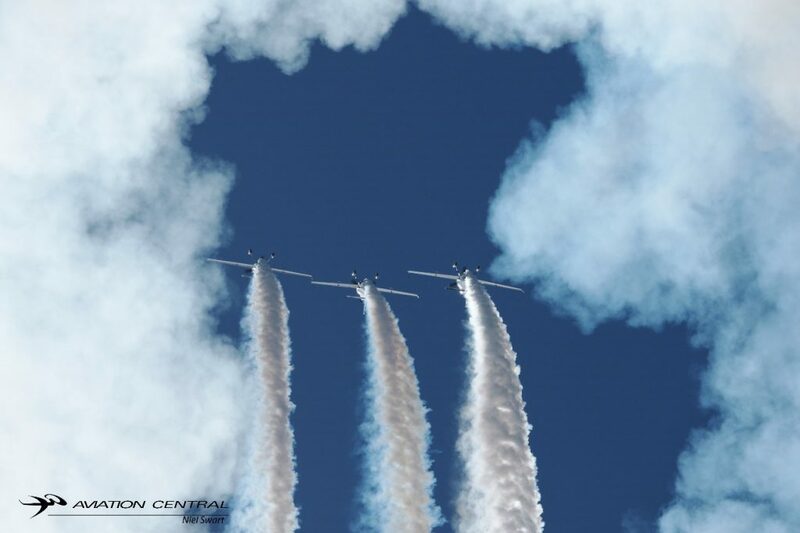 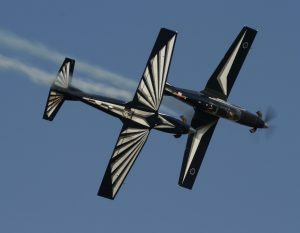 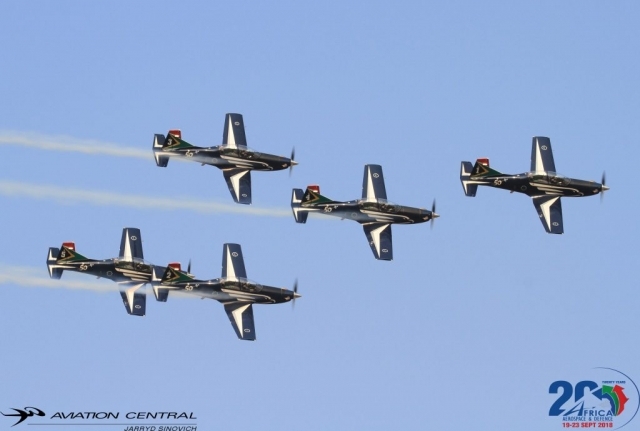 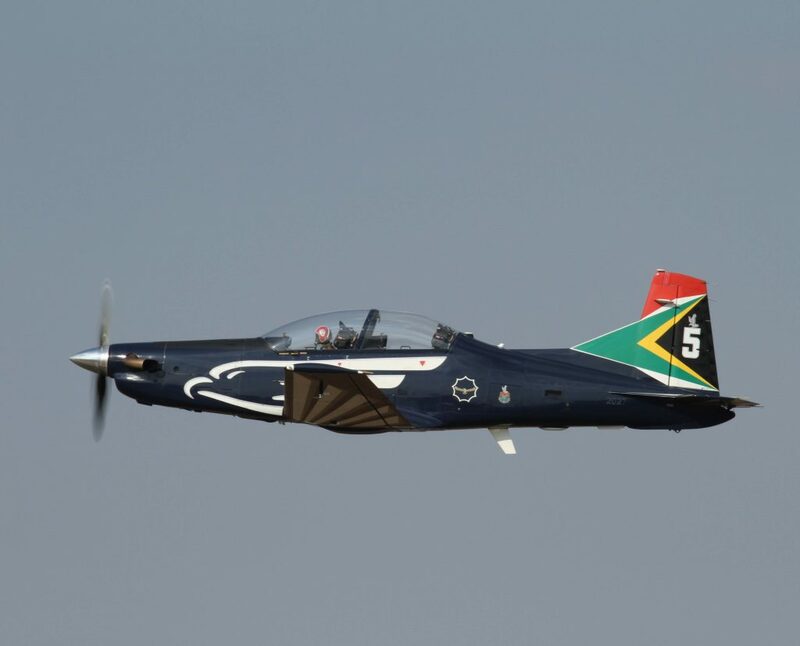 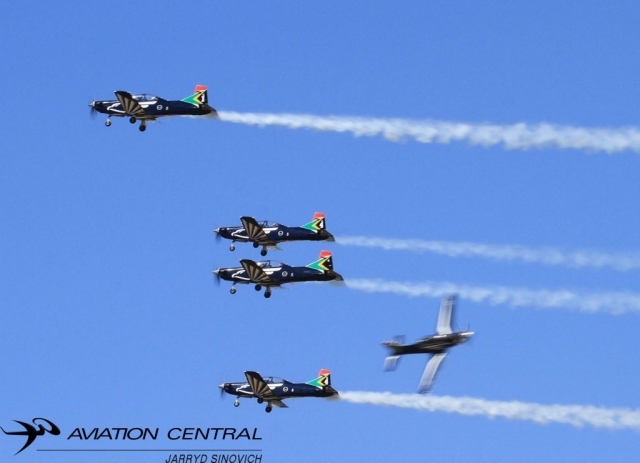 This year the Silver Falcons are celebrating their 50th Anniversary with an airshow at AFB Langebaanweg on the Capes West Coast on December 9th. 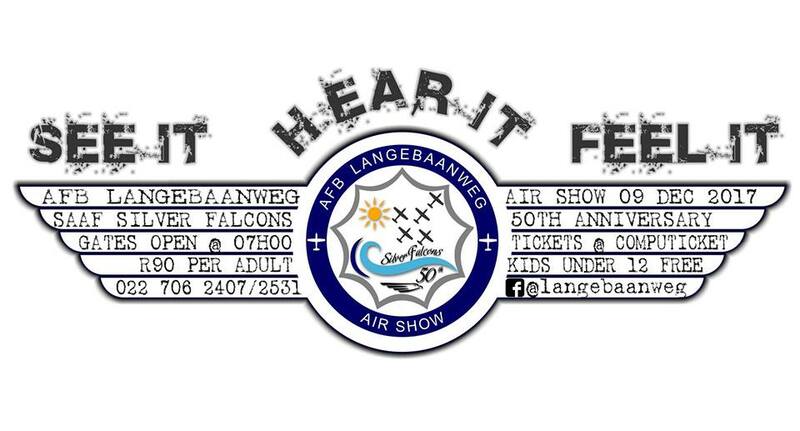 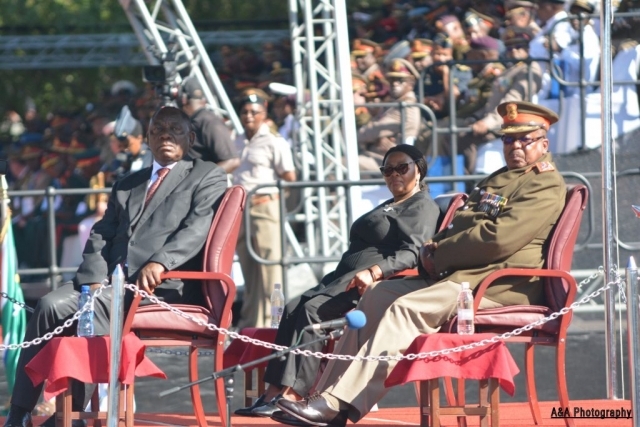 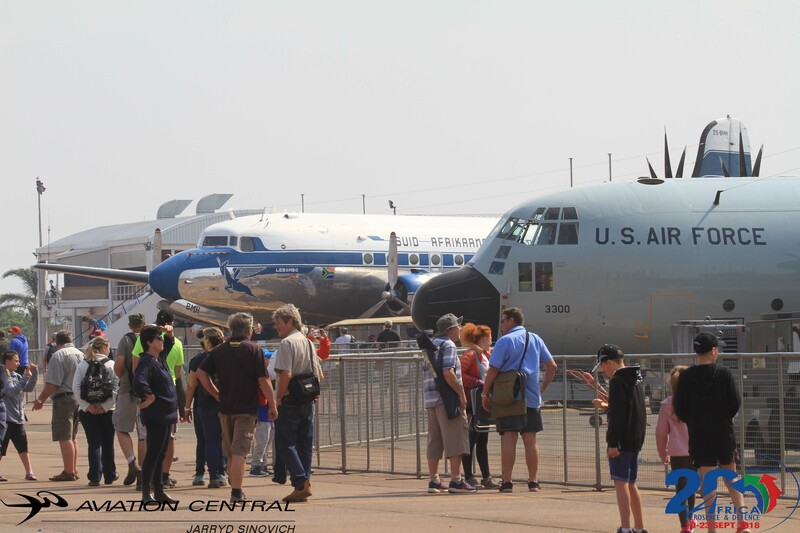 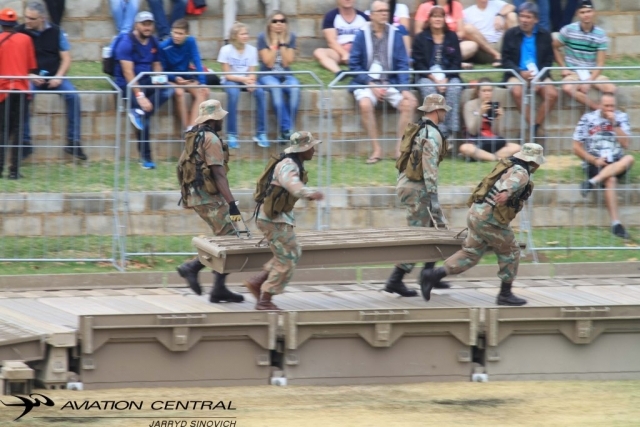 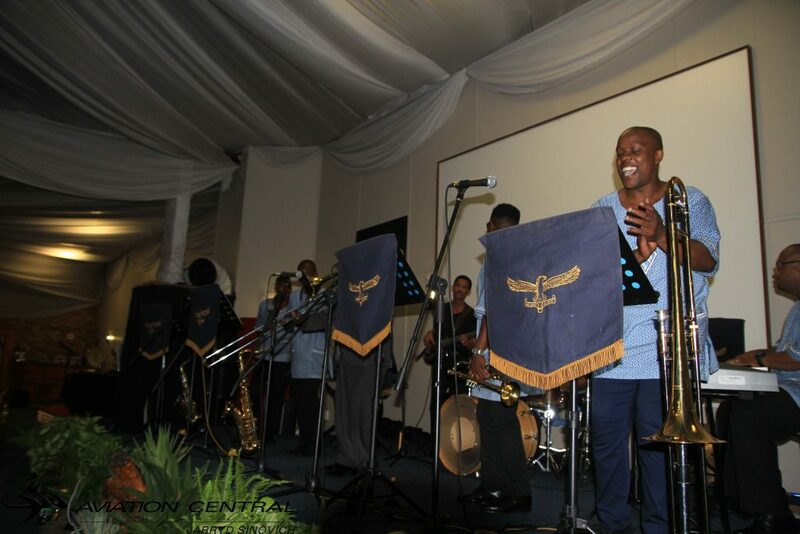 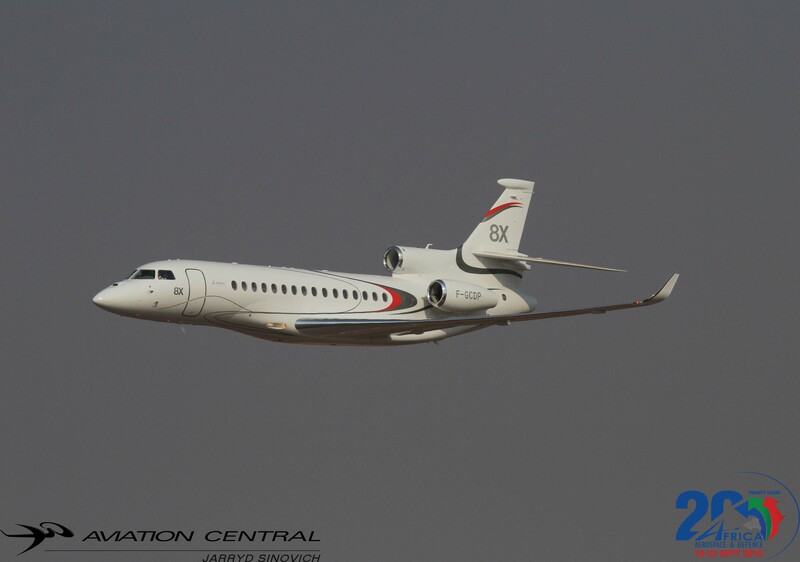 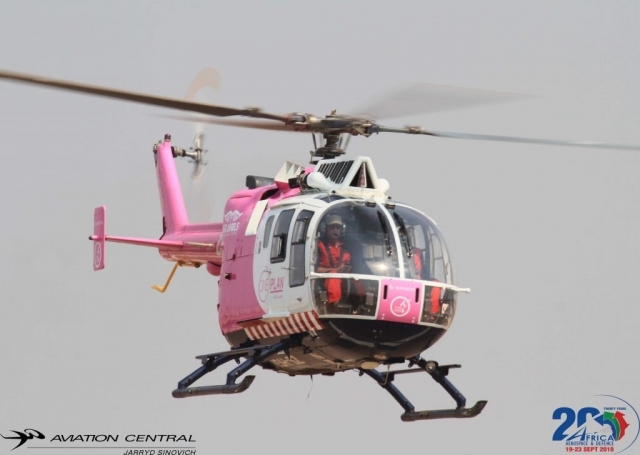 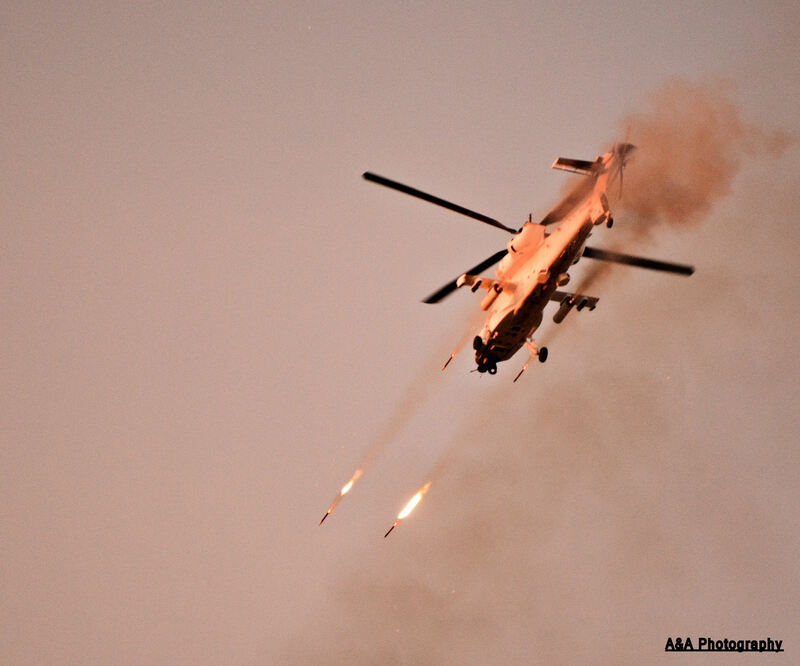 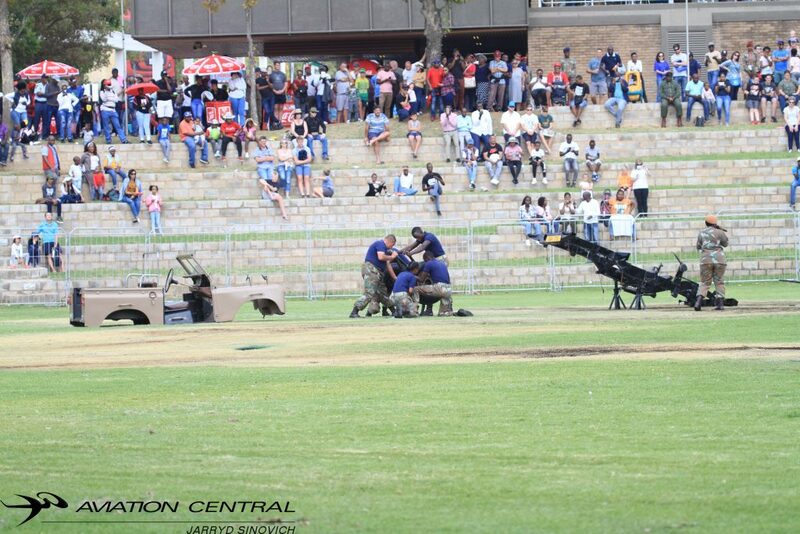 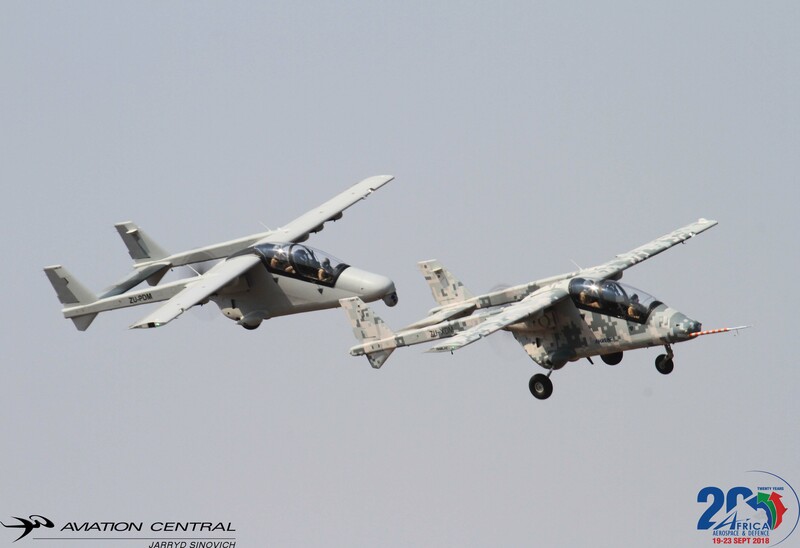 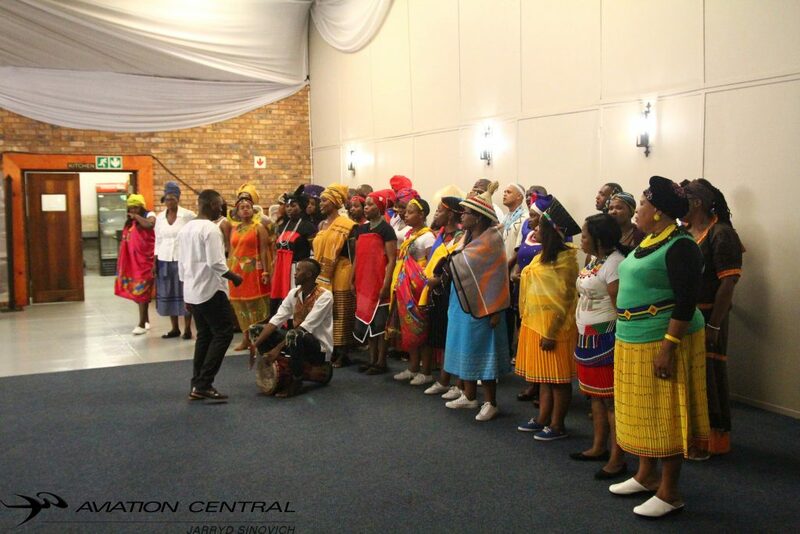 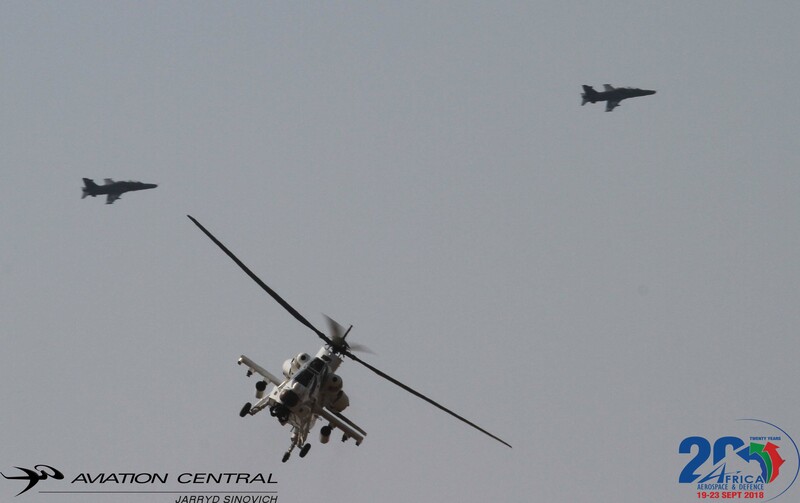 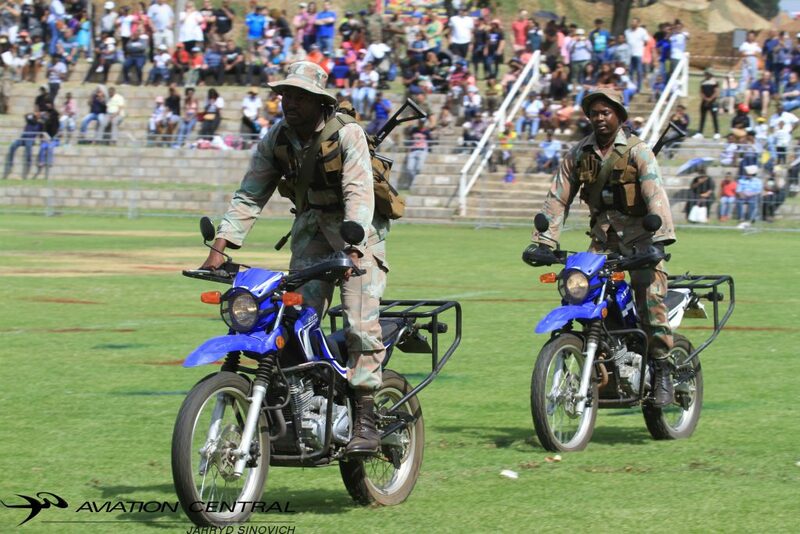 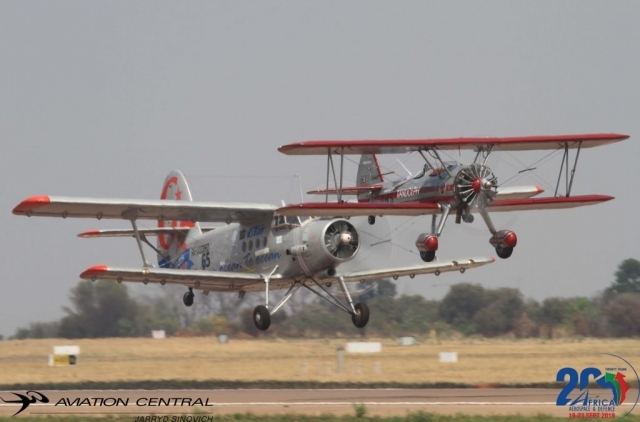 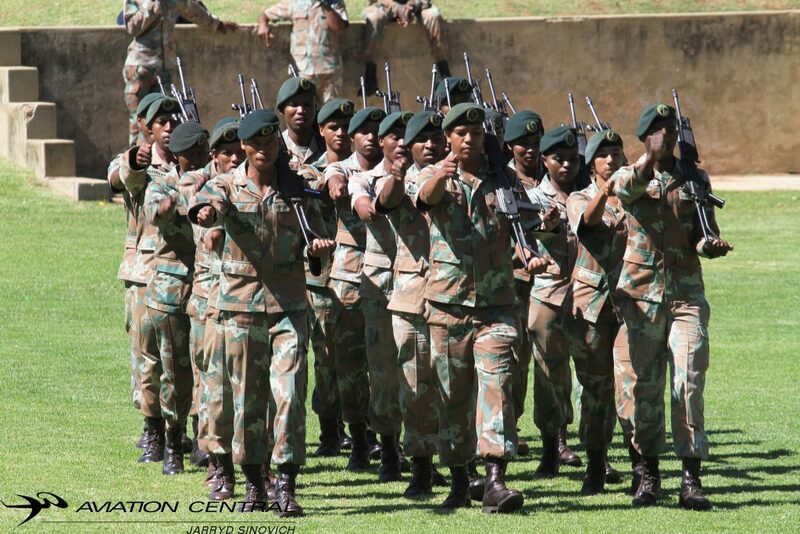 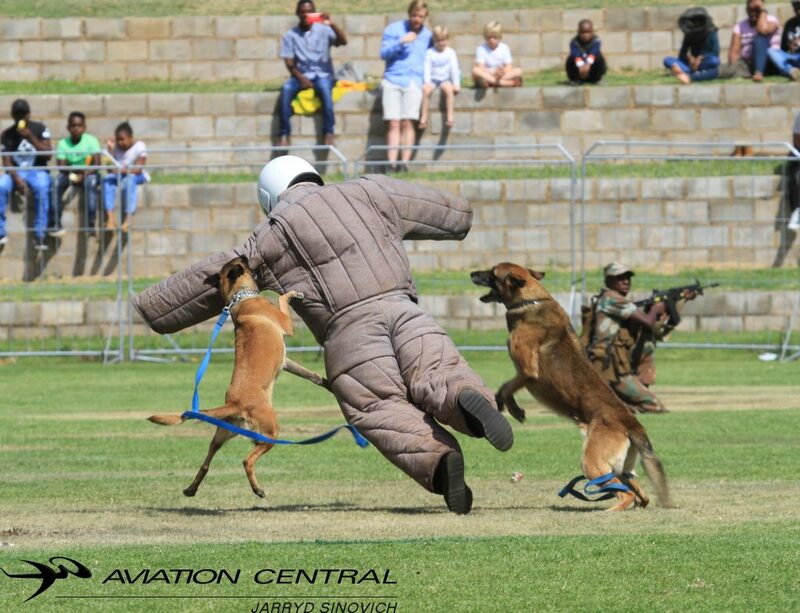 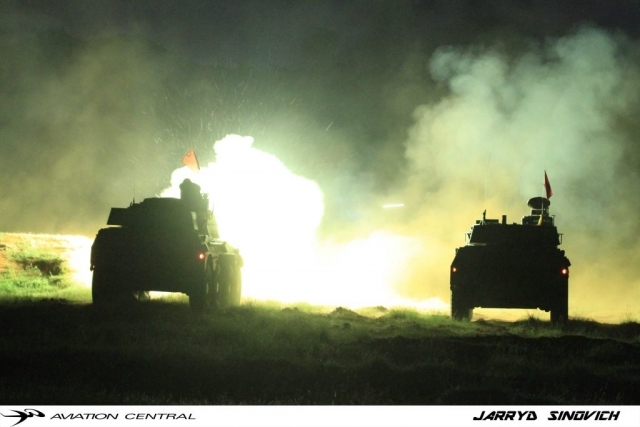 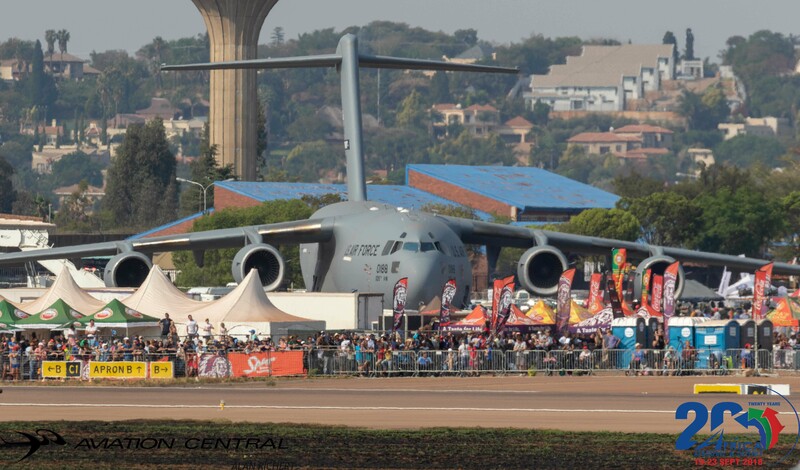 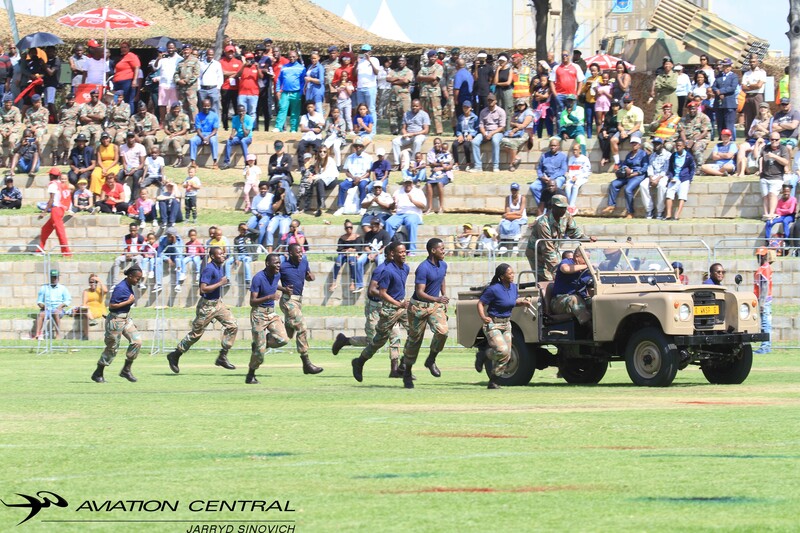 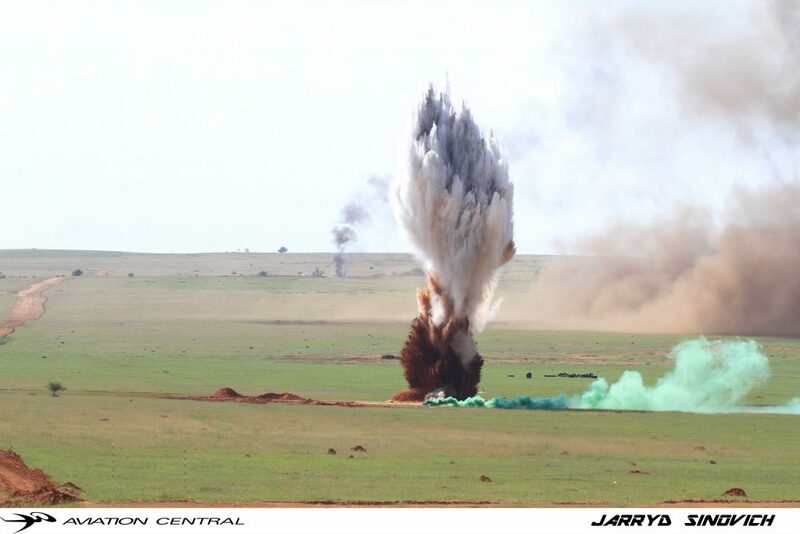 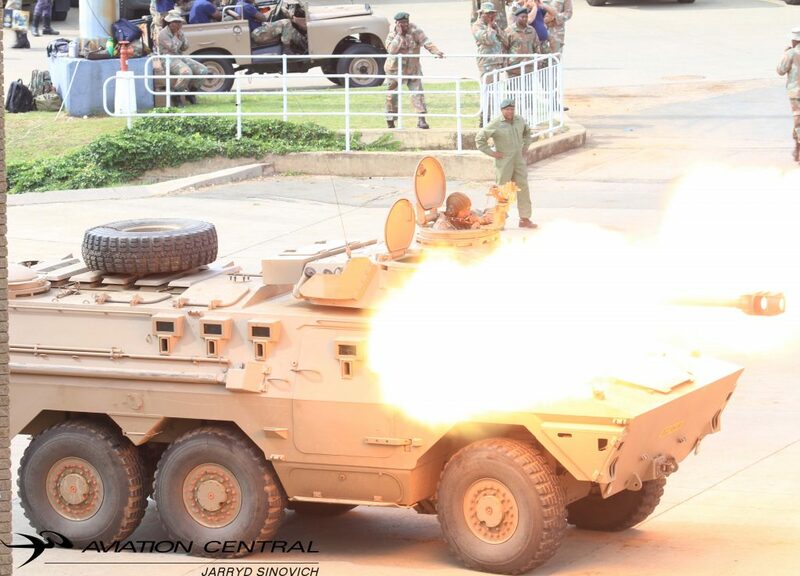 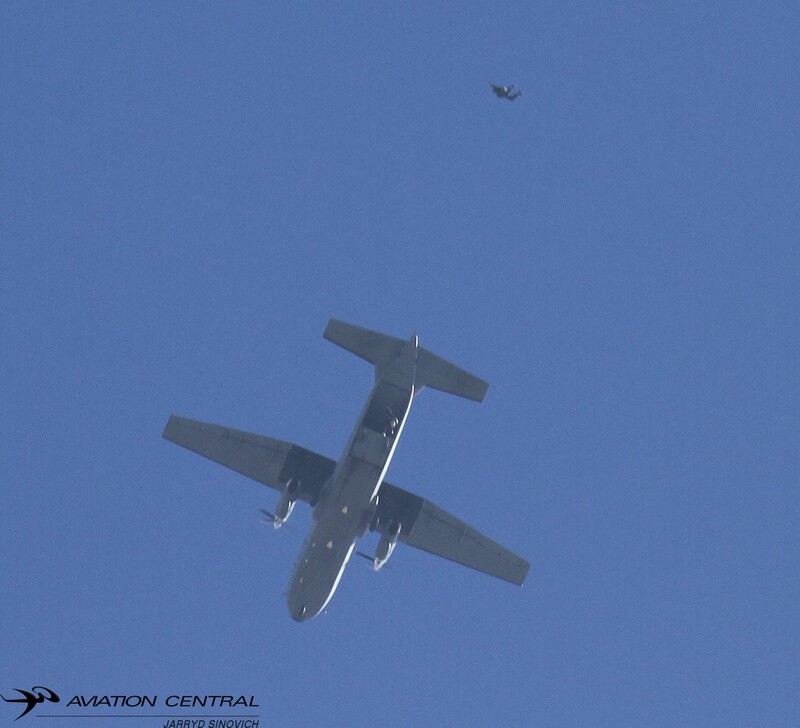 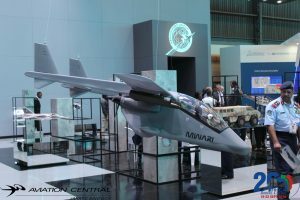 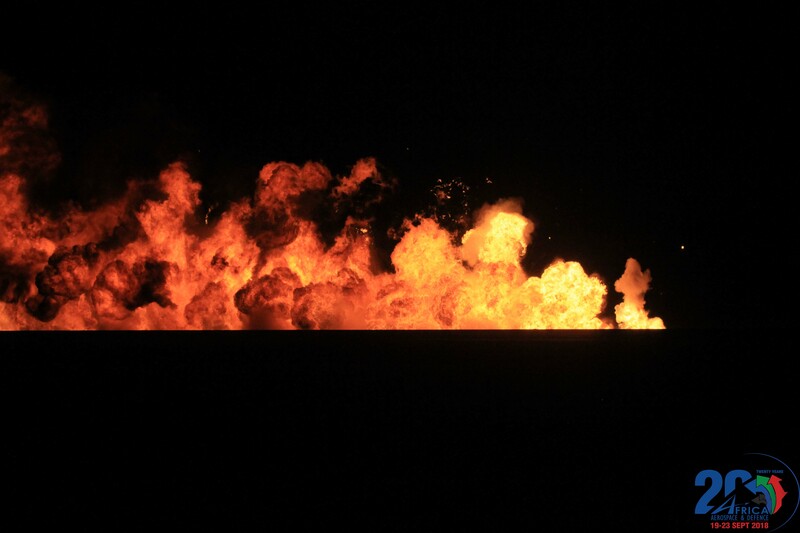 With some of the rumors going around its definitely a show to attend, with a major SAAF presence. 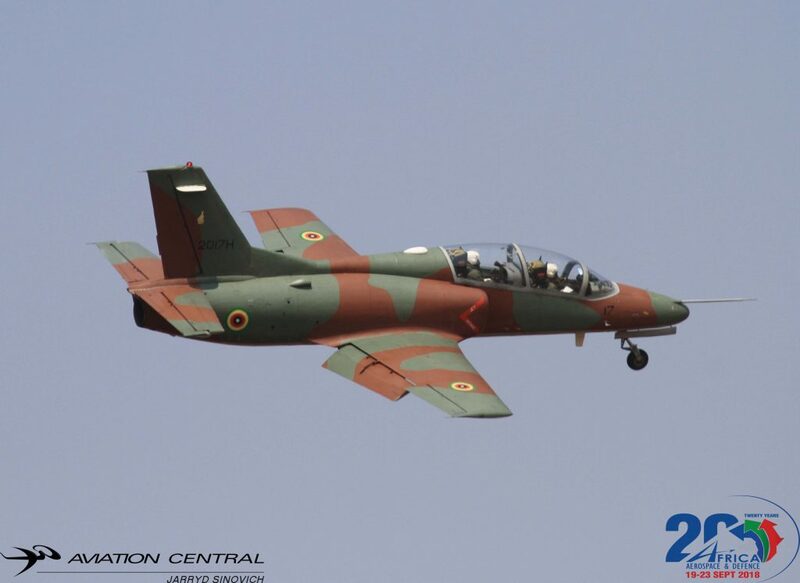 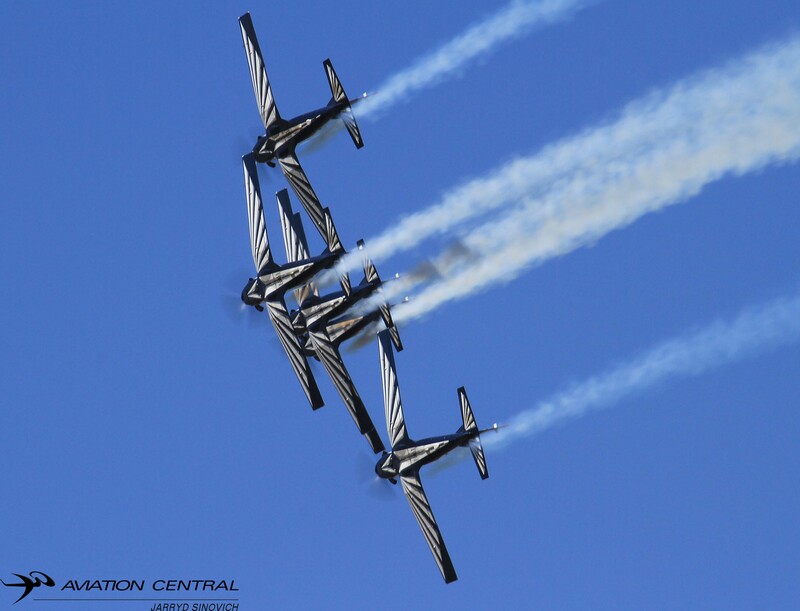 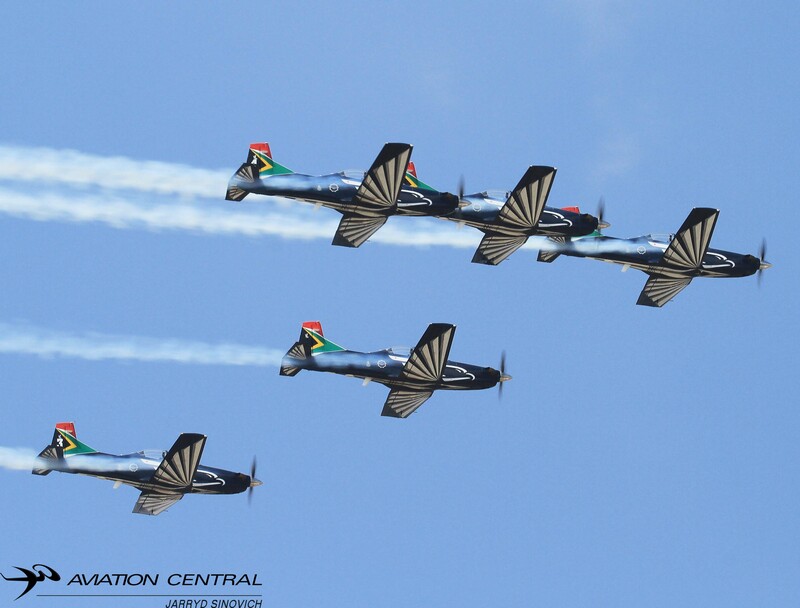 We would like to wish the Silver Falcons all the best and many more safe sorties. 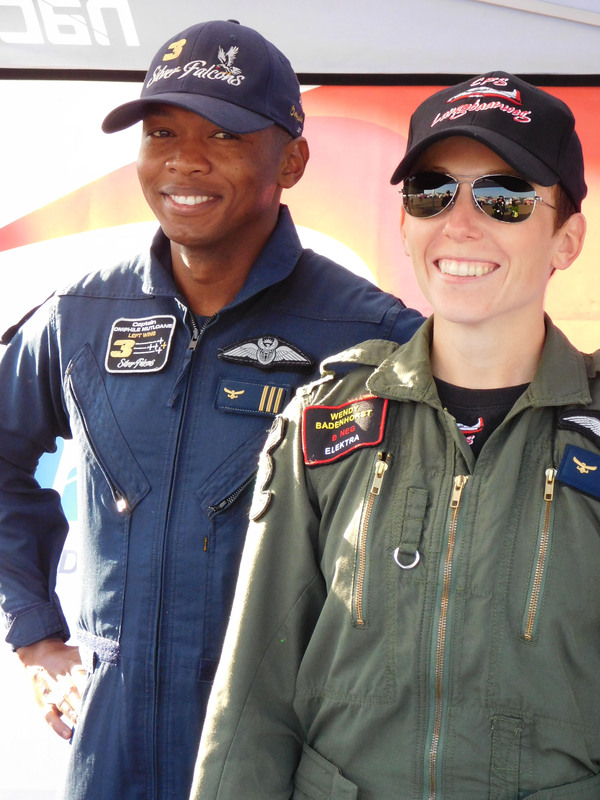 To the past team members,once a falcon …always a falcon! 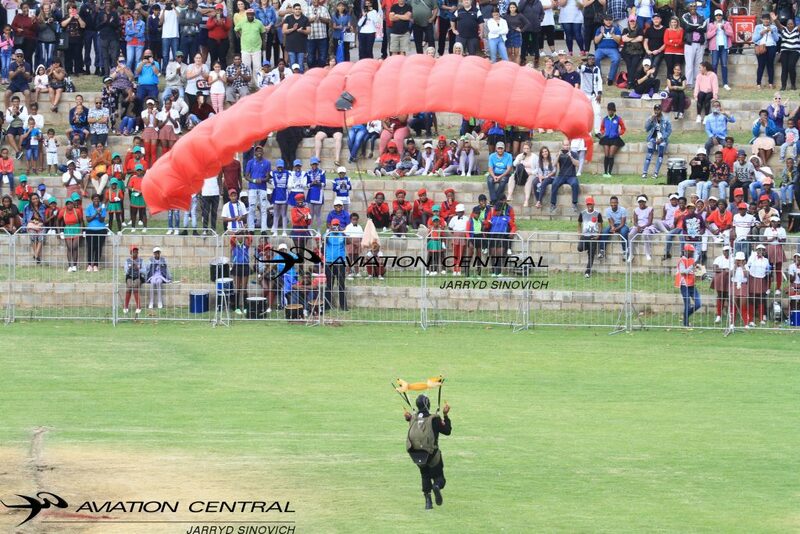 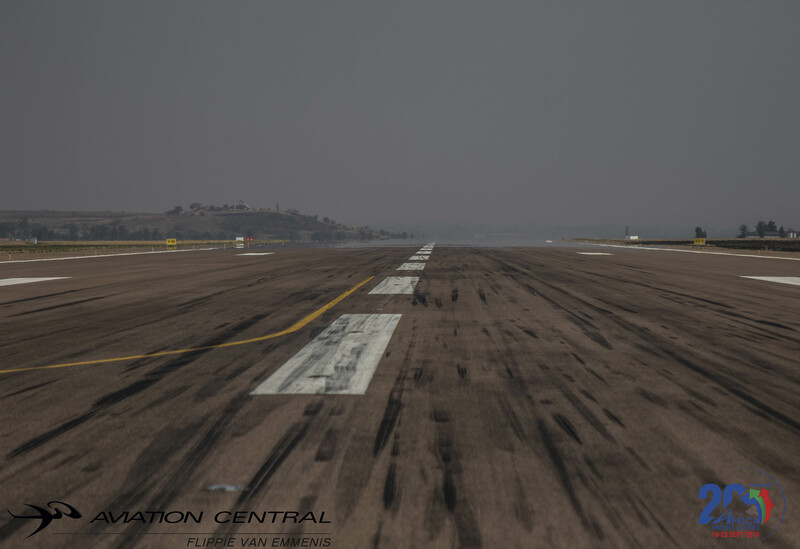 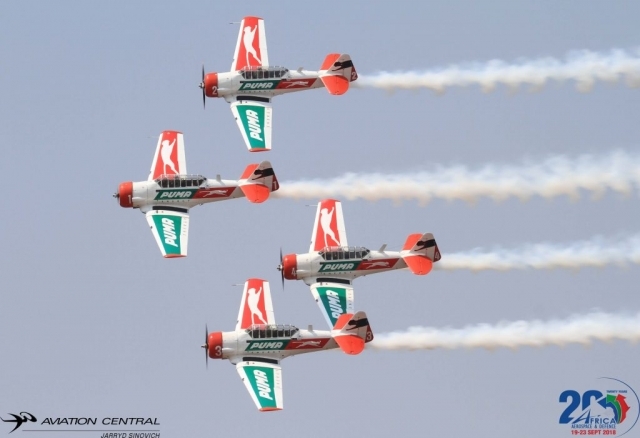 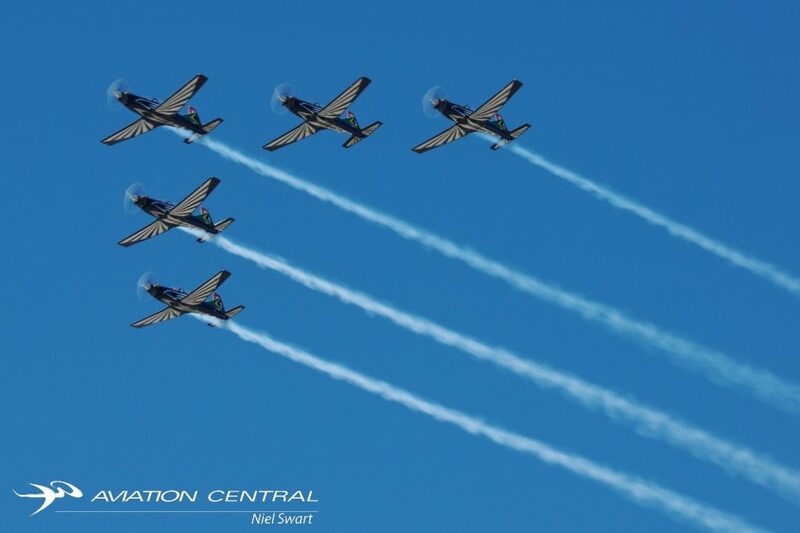 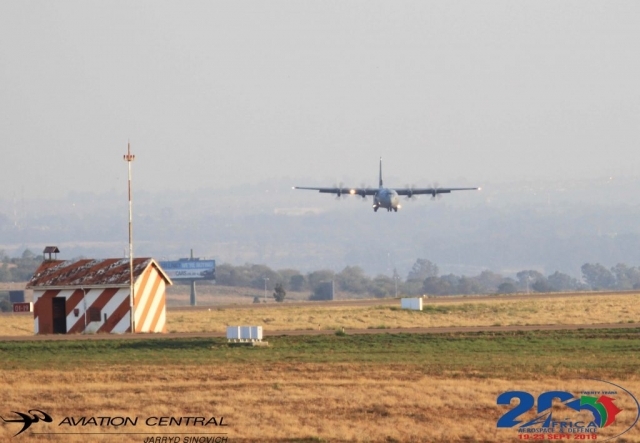 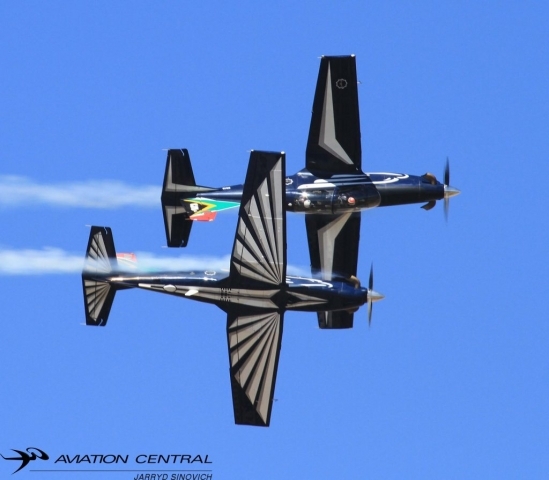 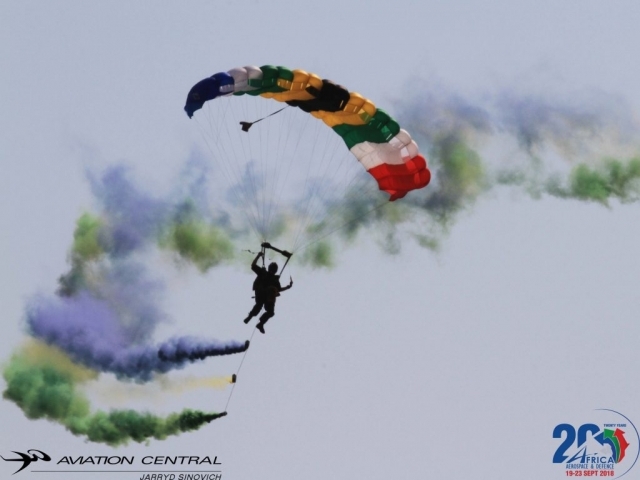 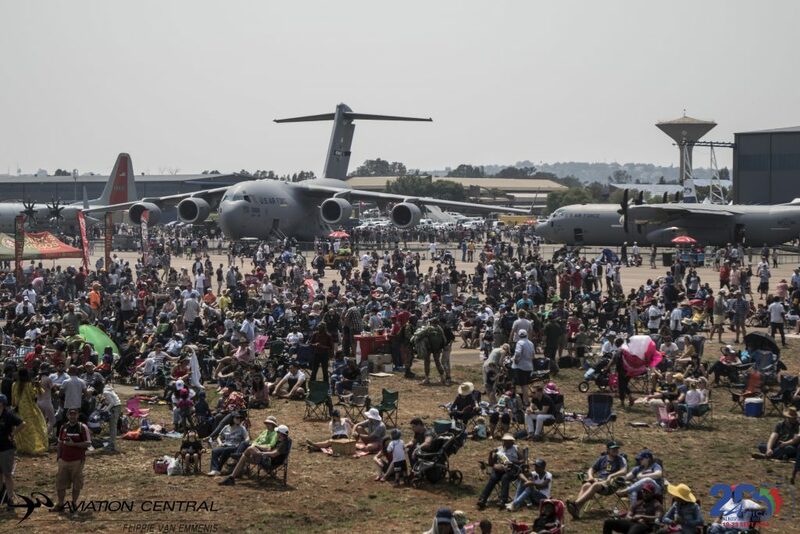 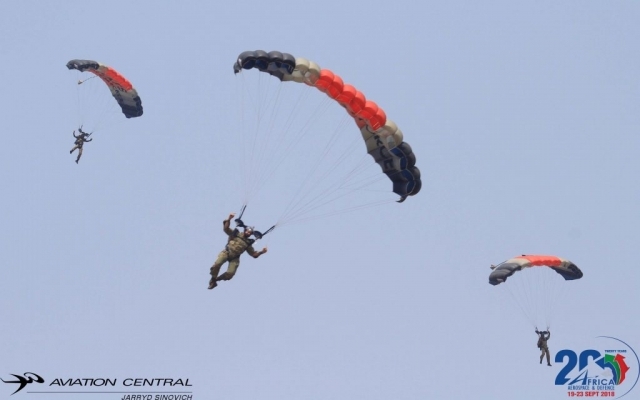 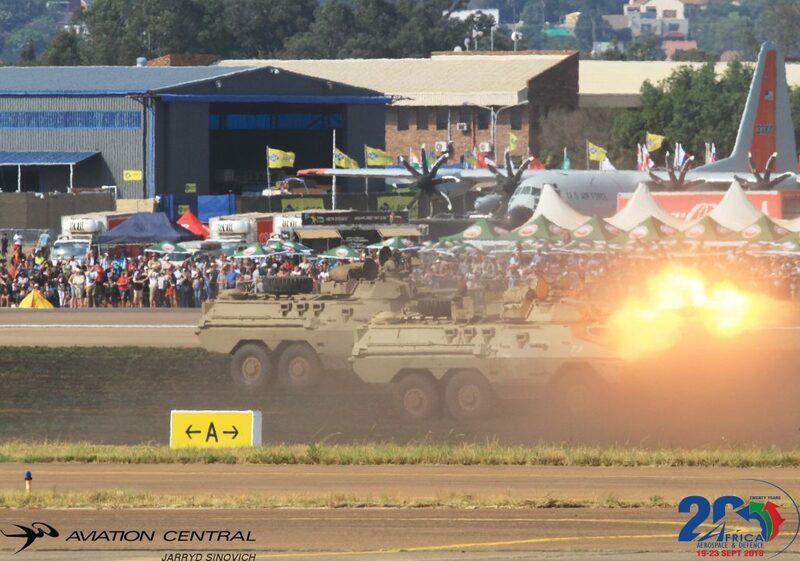 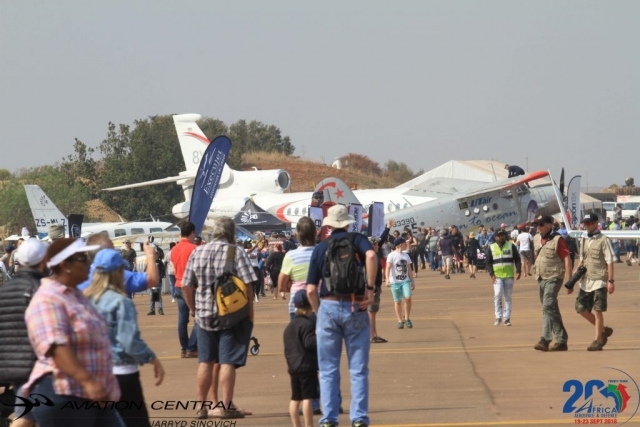 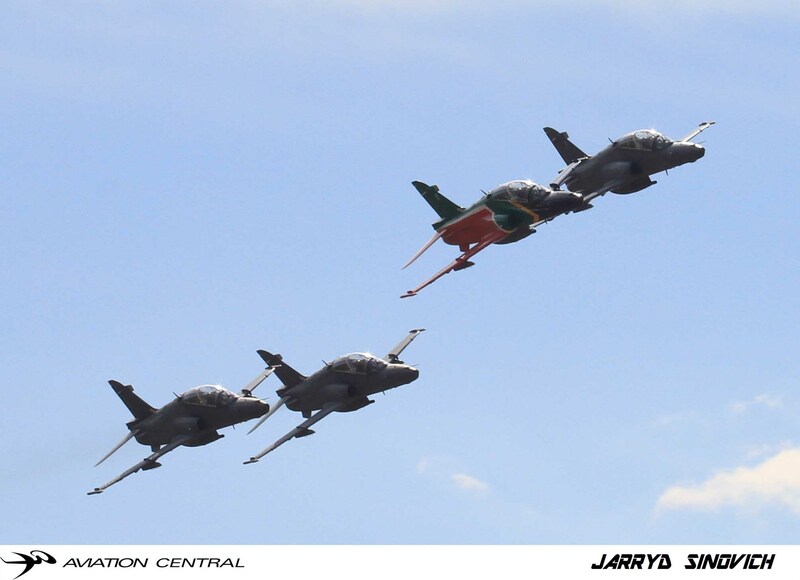 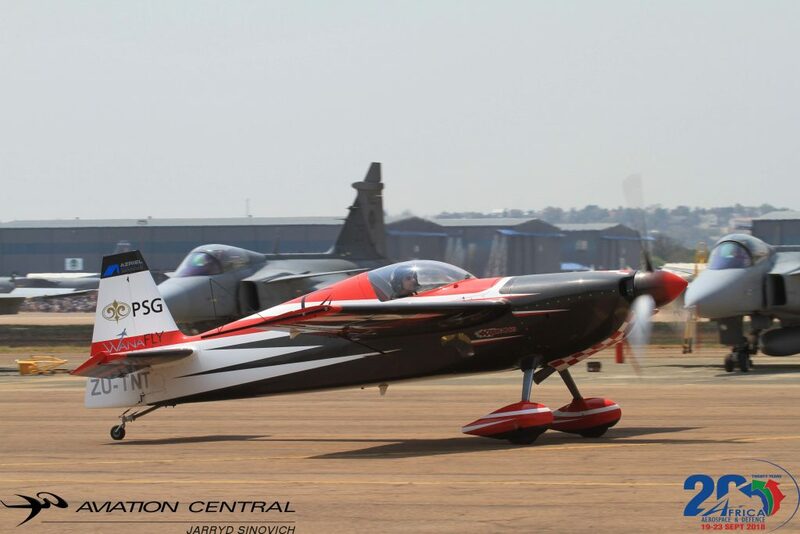 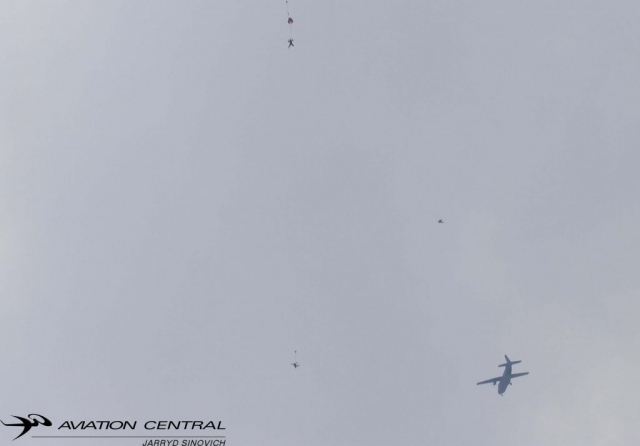 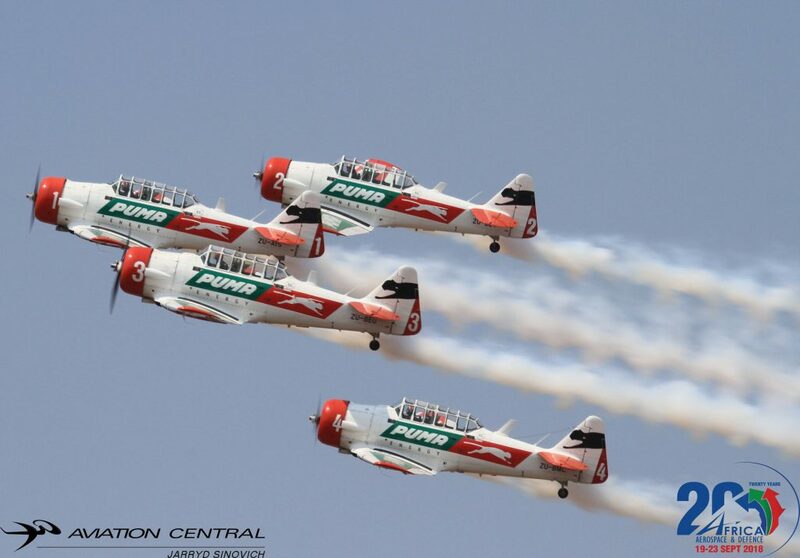 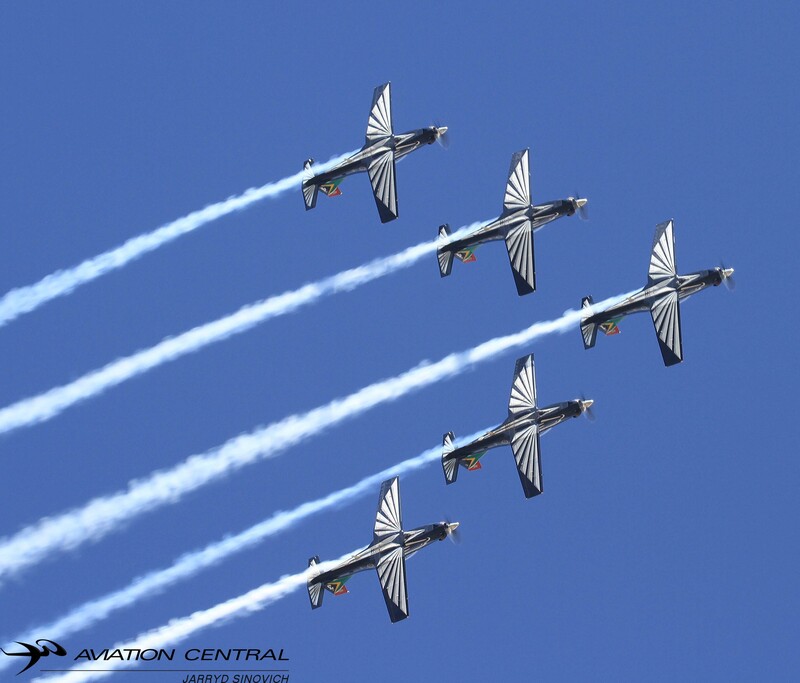 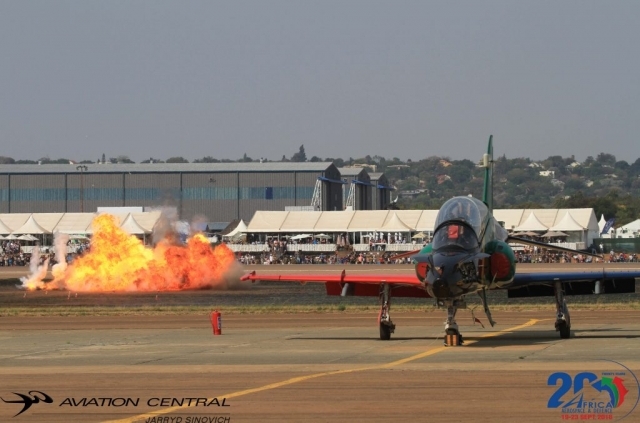 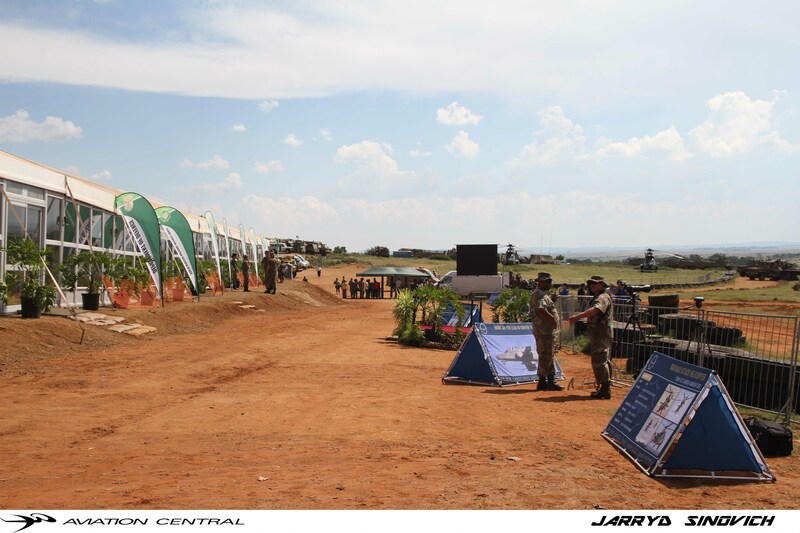 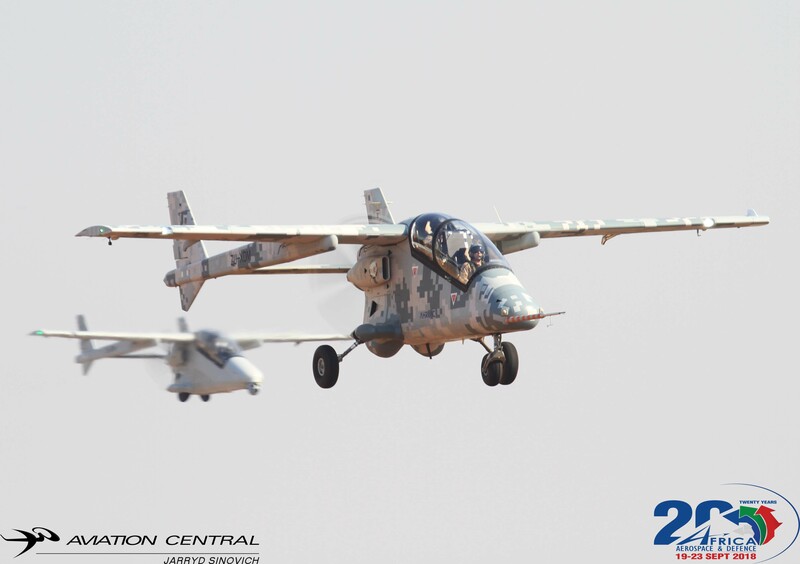 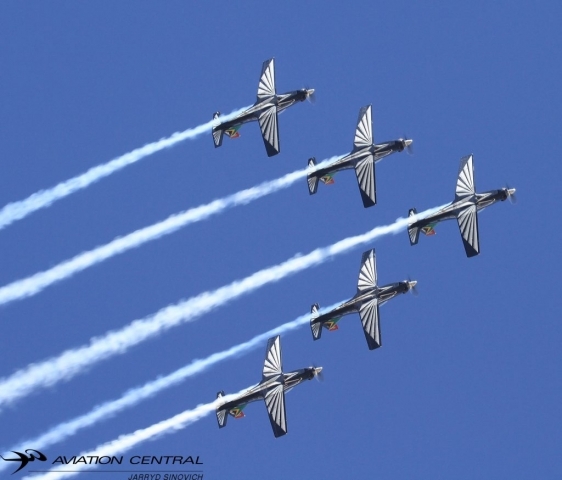 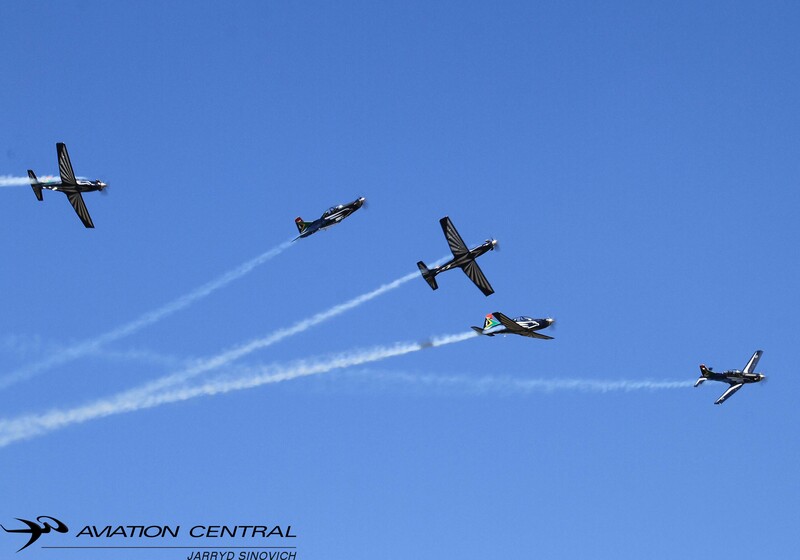 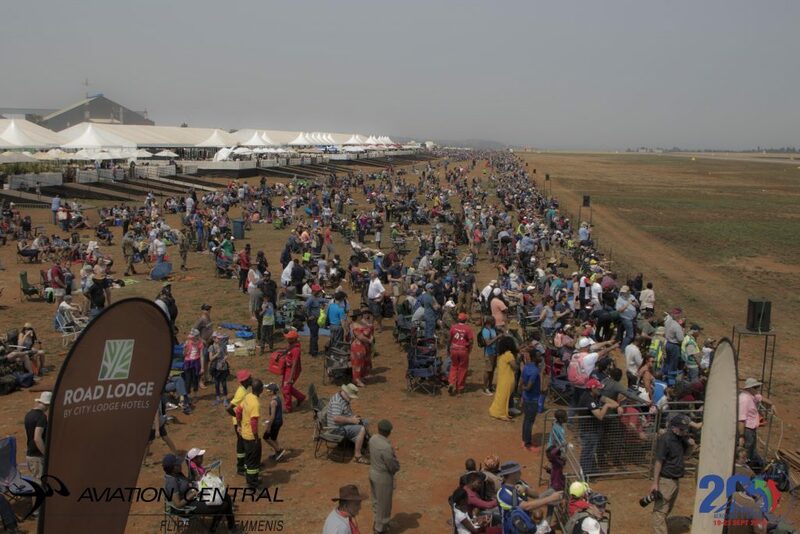 As we are well into the 2018 South African Airshow season,recently we saw the Falcons preform at the Total Air Newcastle Airshow in KZN in June.The Falcons are set to preform at the Bethlehem Freestate Airshow on the 25th August and the big one Africa Aerospace and Defence Expo at Airforce Base Waterkloof on the 19-23 September,this is promising to be the biggest show to date.This week the Falcons announced their new Falcon 2 Major Tiaan Stander! 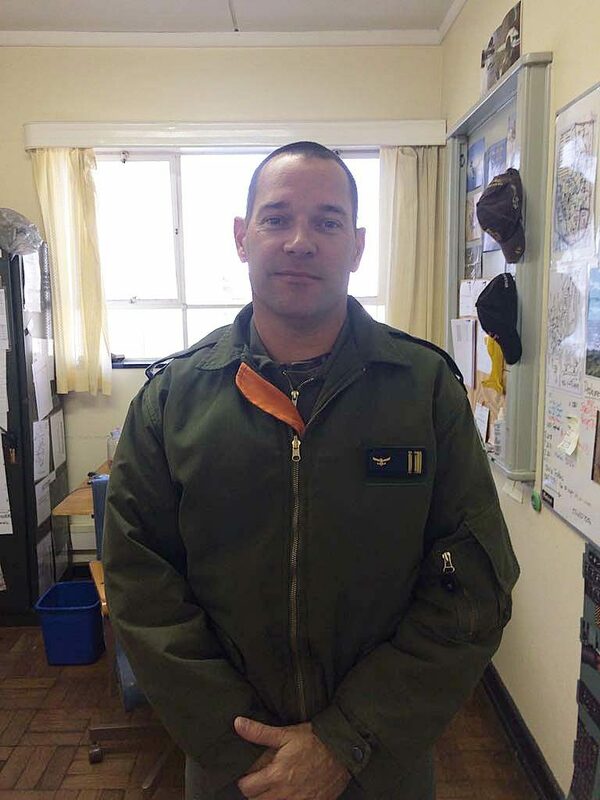 Major Stander will be flying in the number two position in the team, Tiaan joined the South African Airforce on the 23 April 2002! 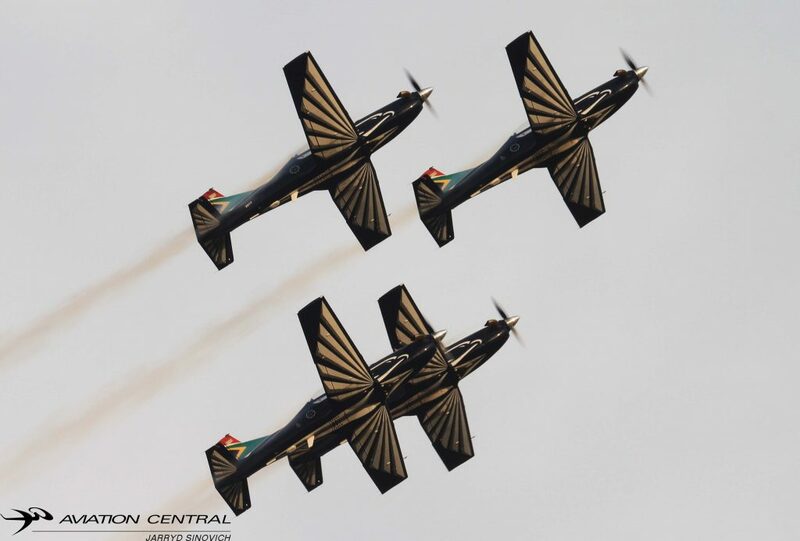 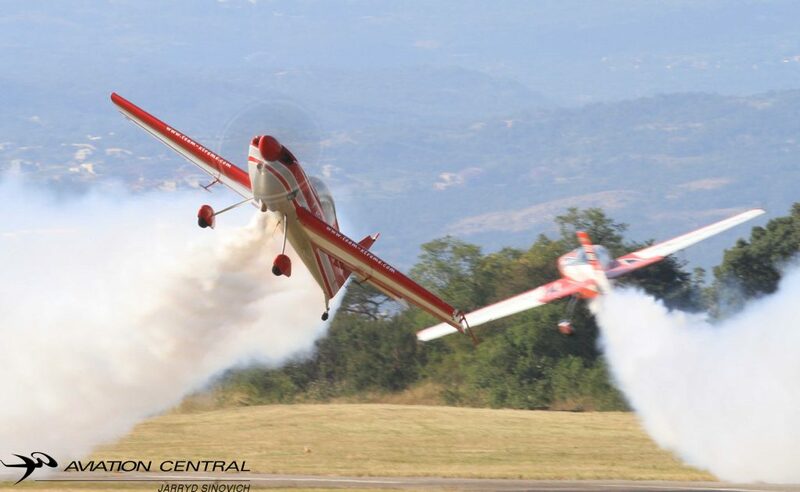 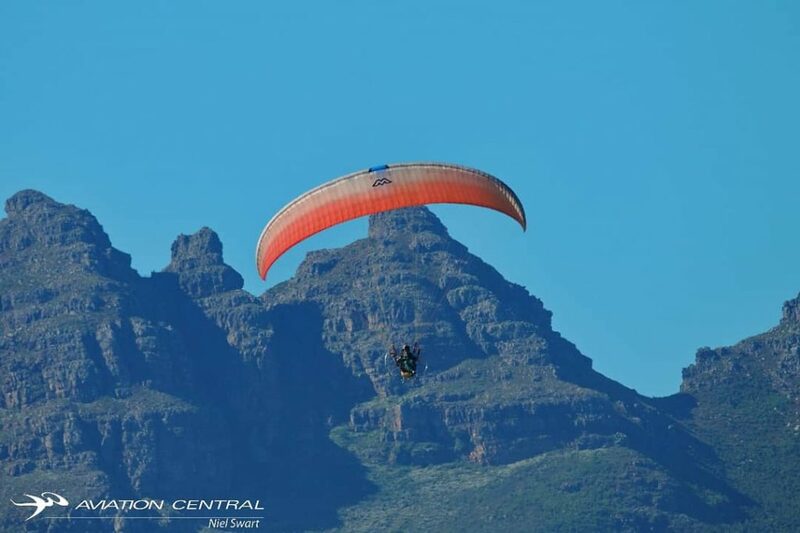 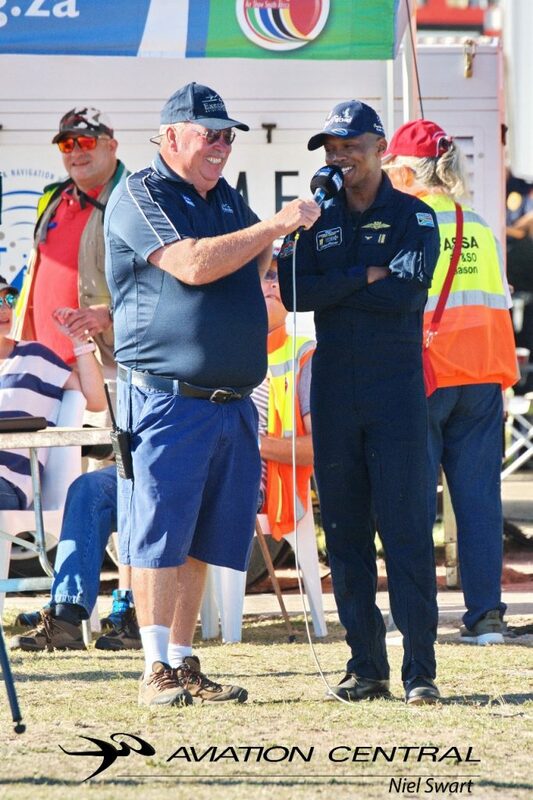 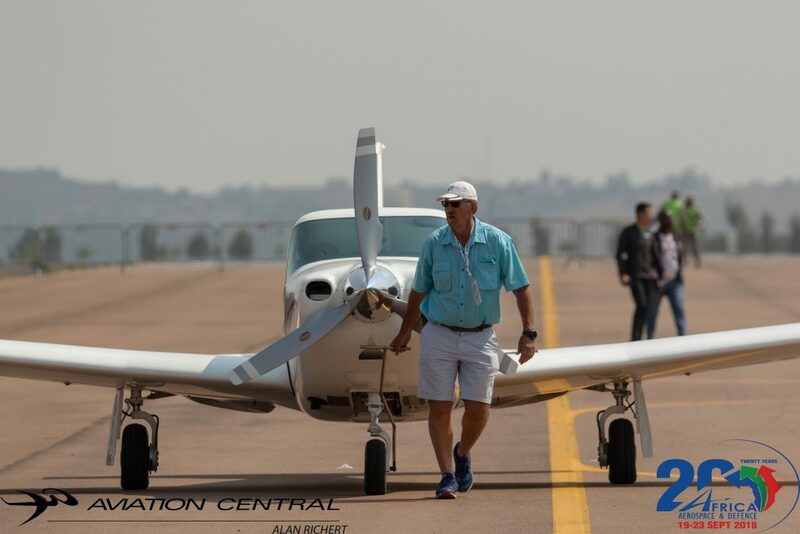 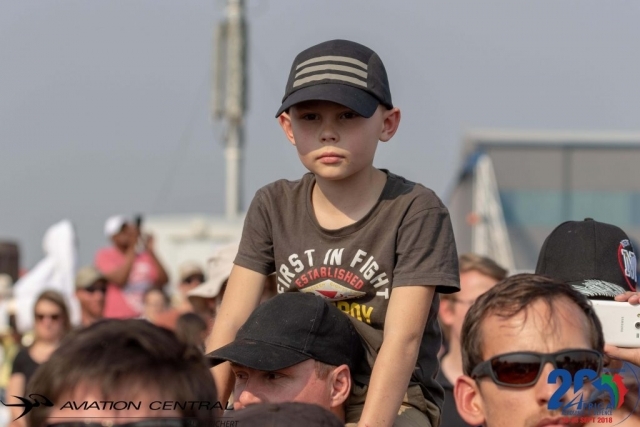 Major Tiaan Stander is married and has two children.We look forward to seeing the new Number 2 preforming at the Bethlehem Airshow in August.The team will now be back to a 5ship and remain as team 82. 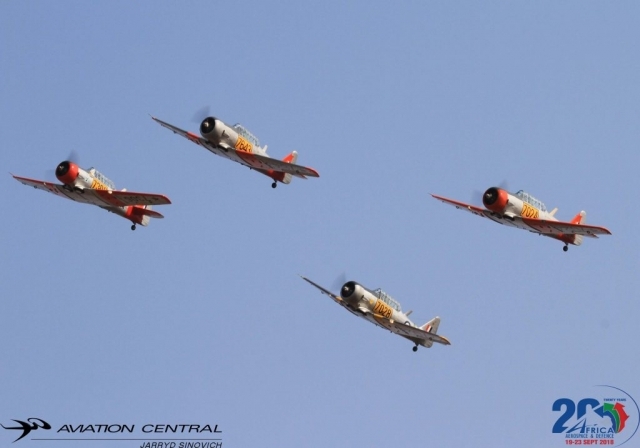 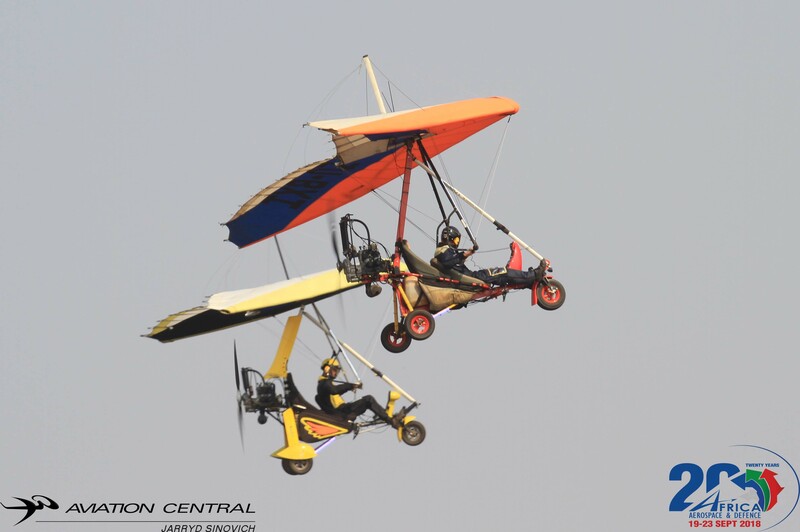 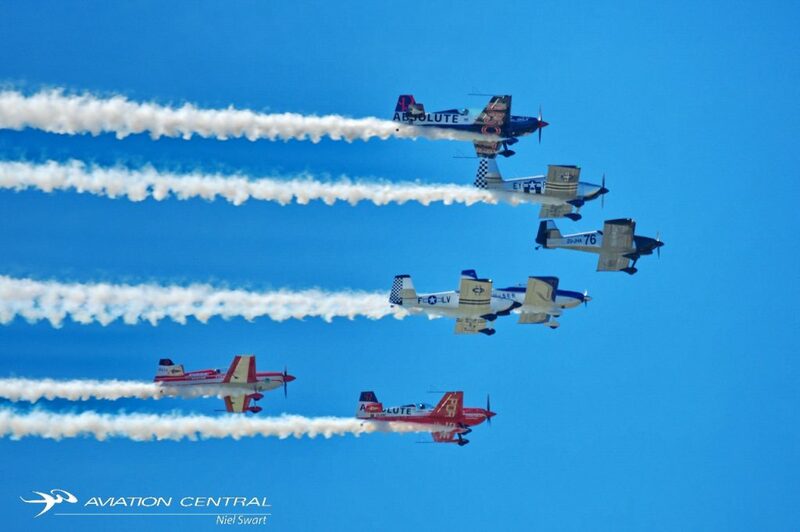 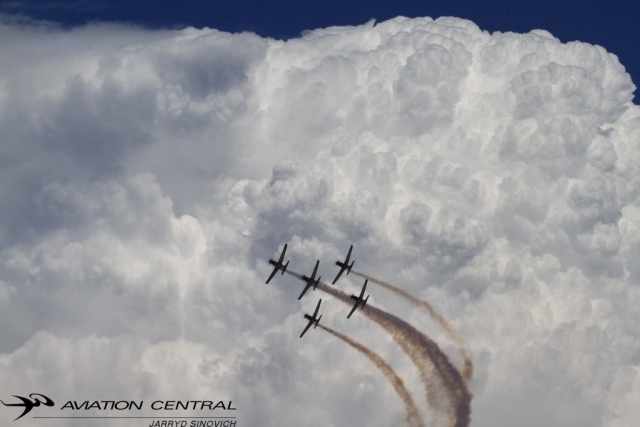 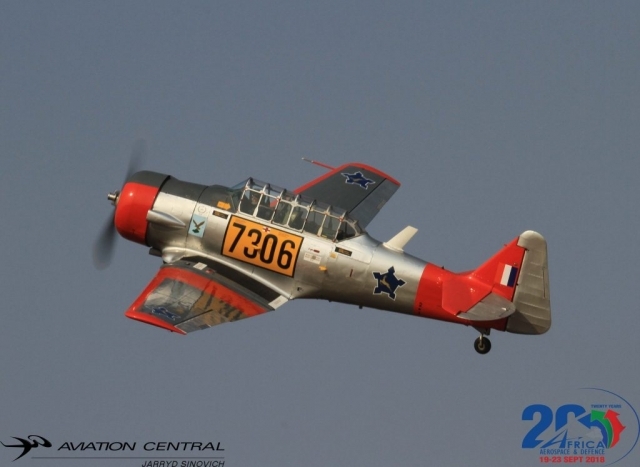 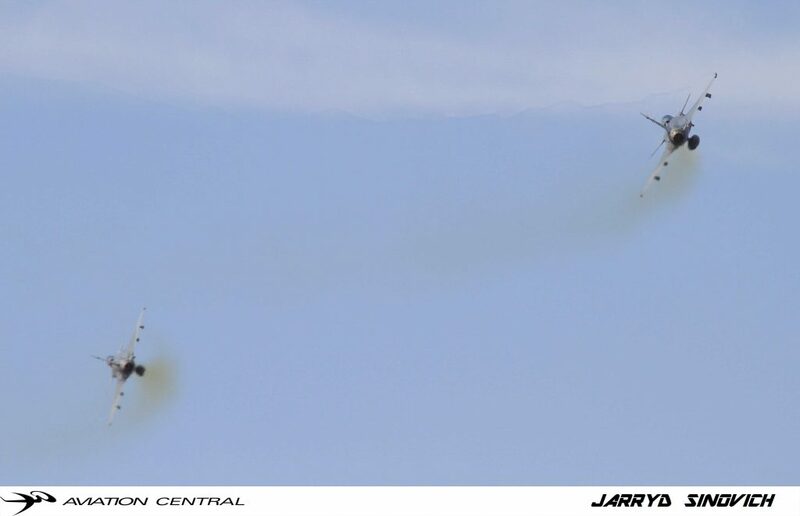 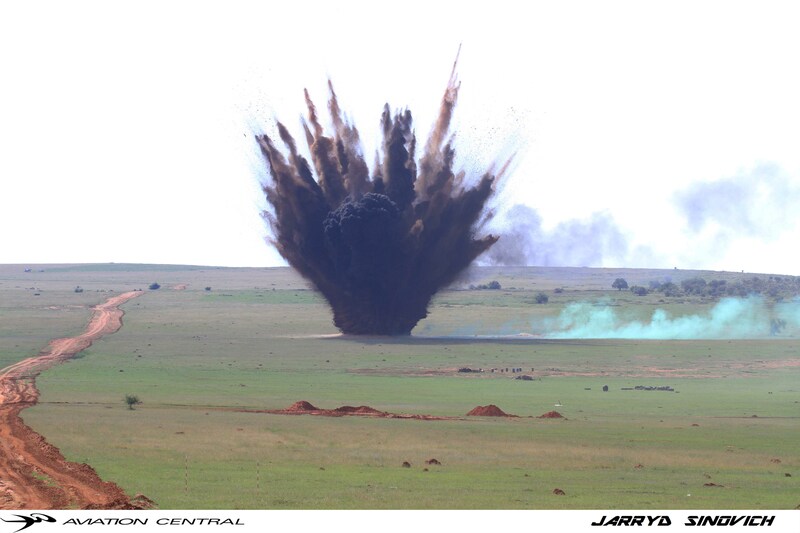 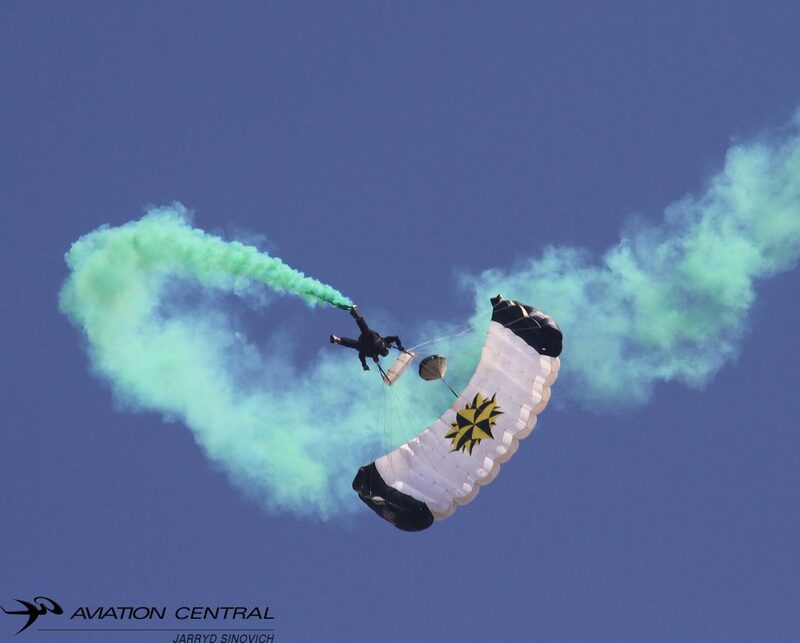 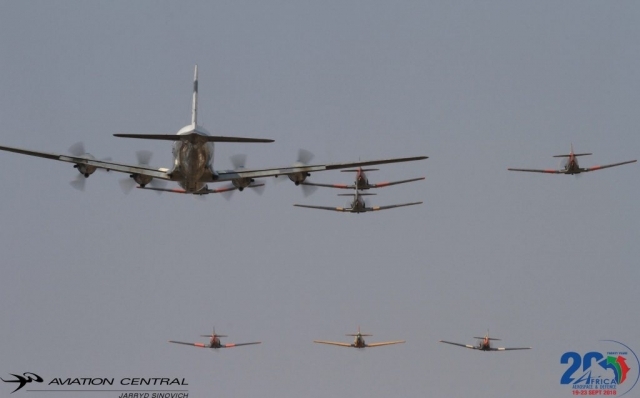 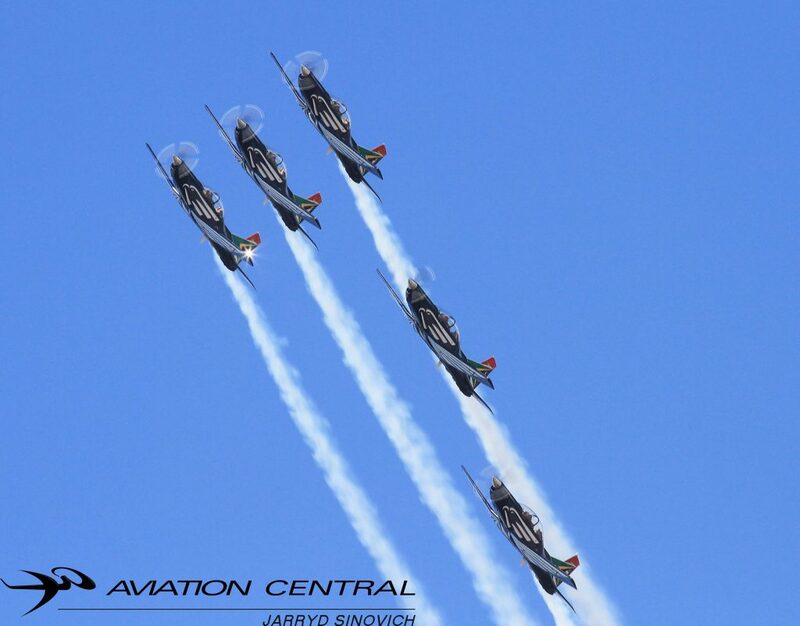 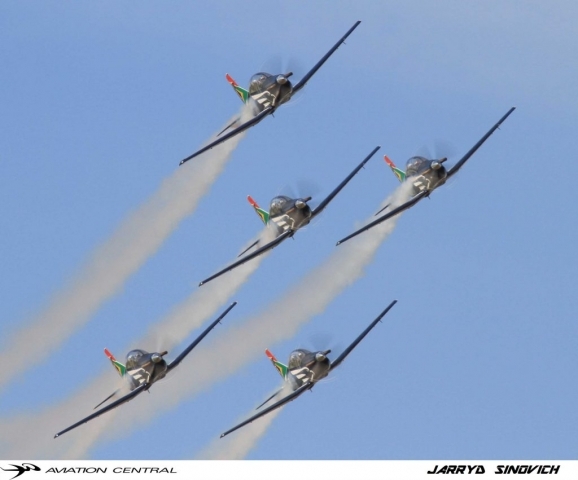 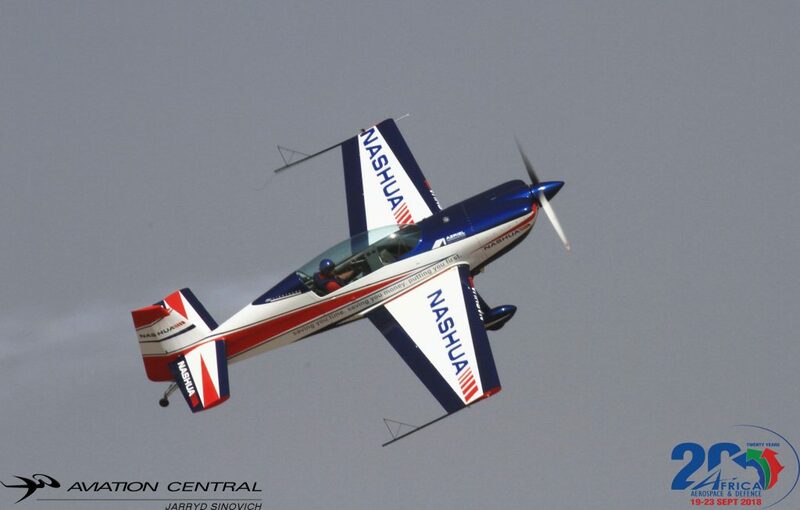 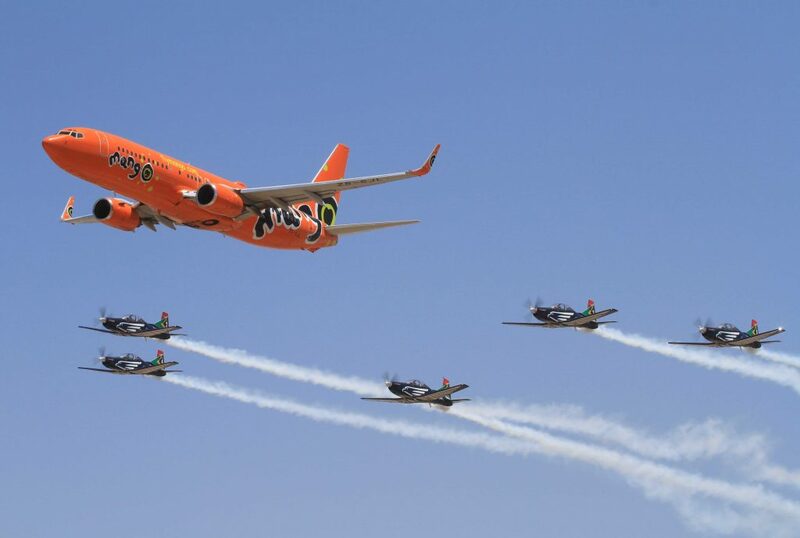 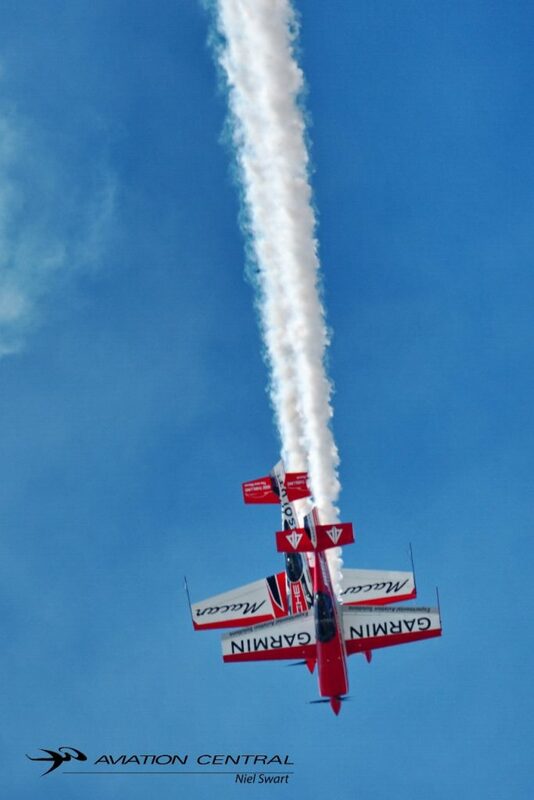 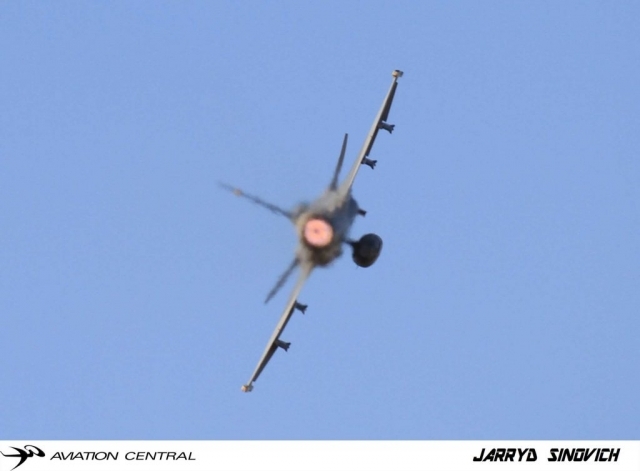 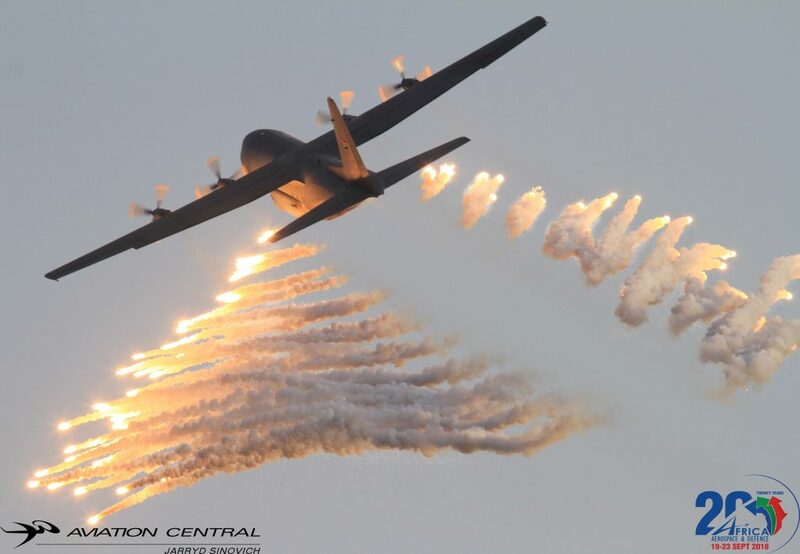 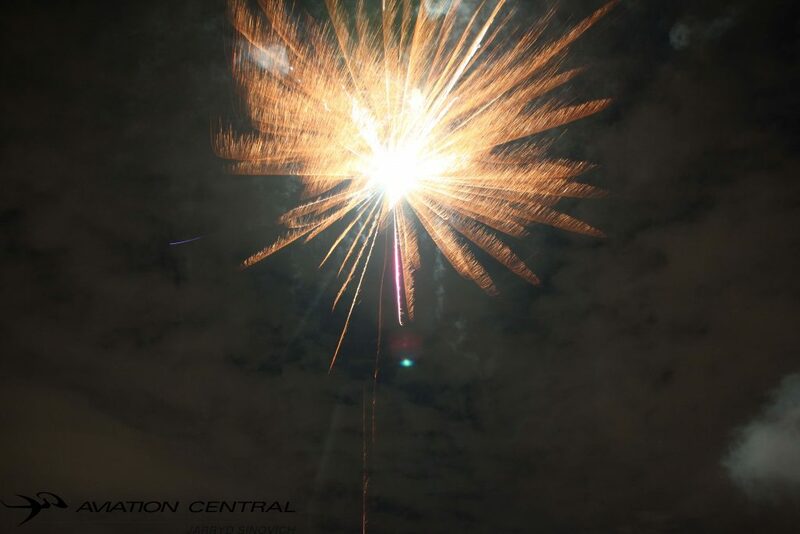 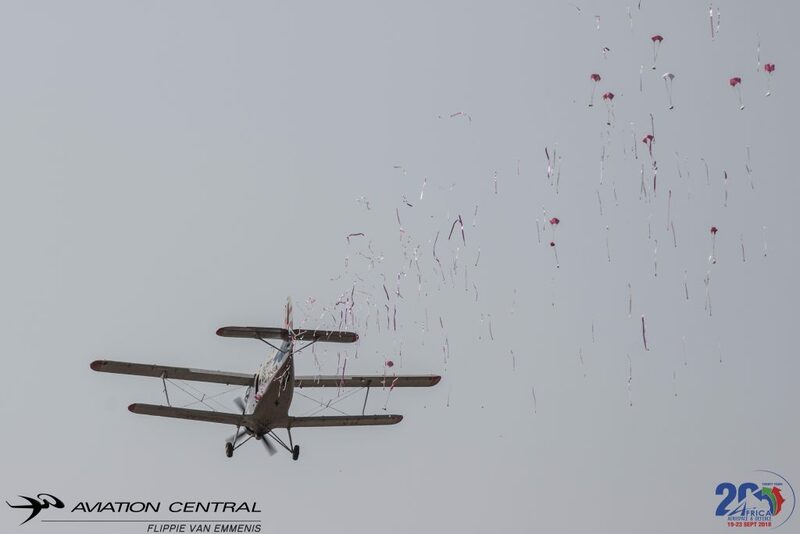 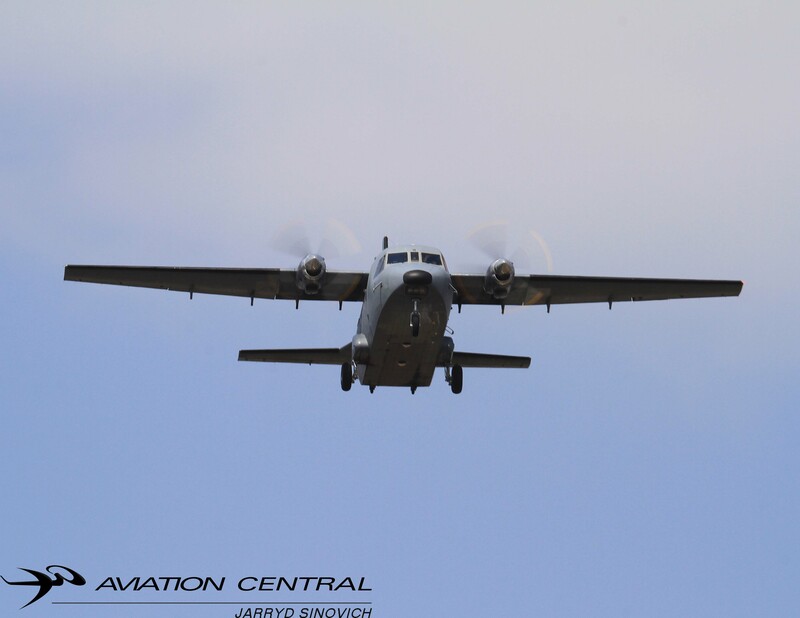 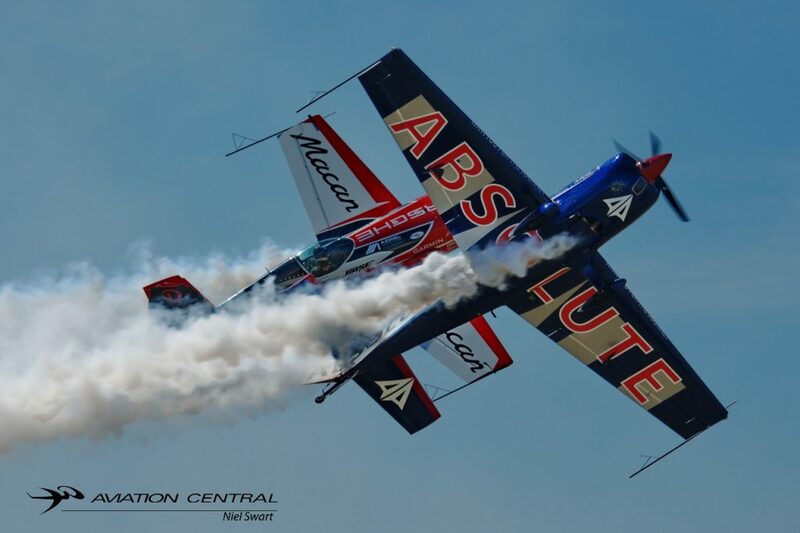 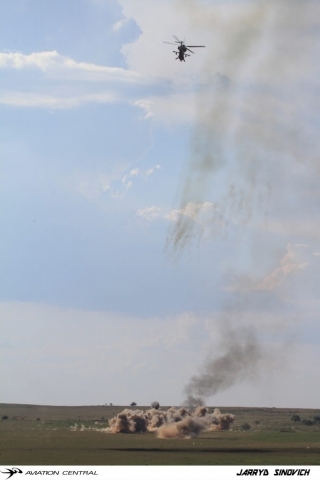 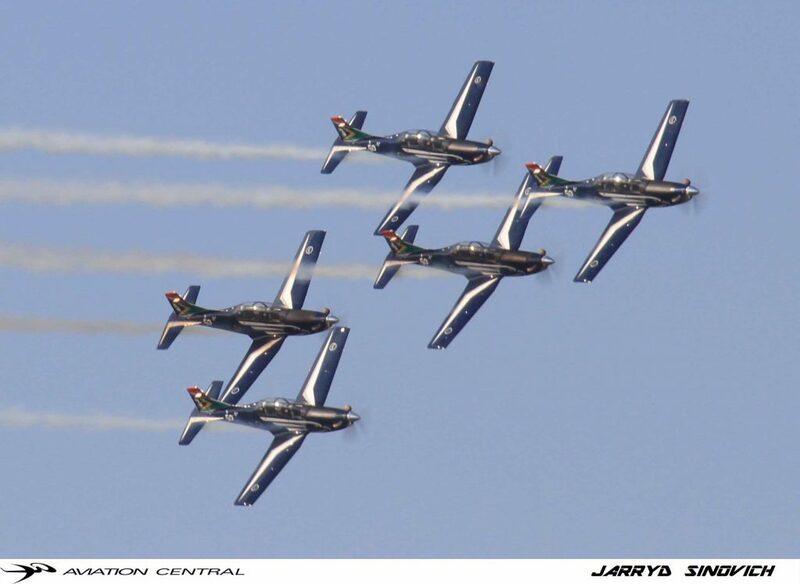 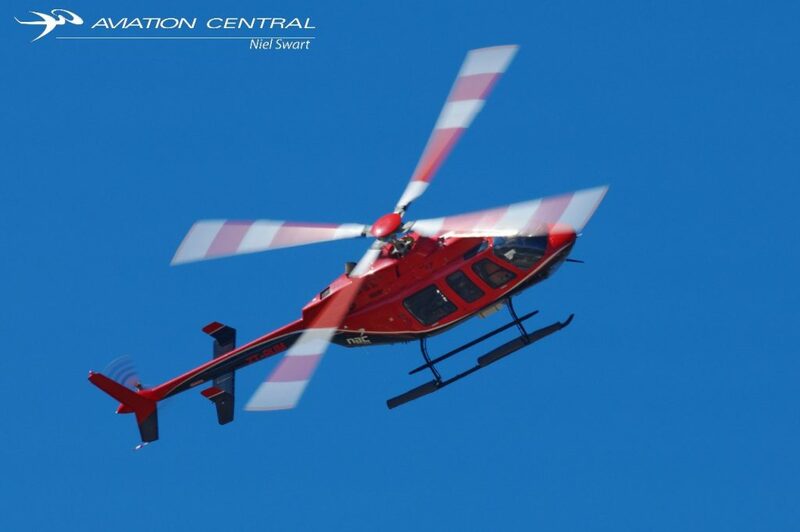 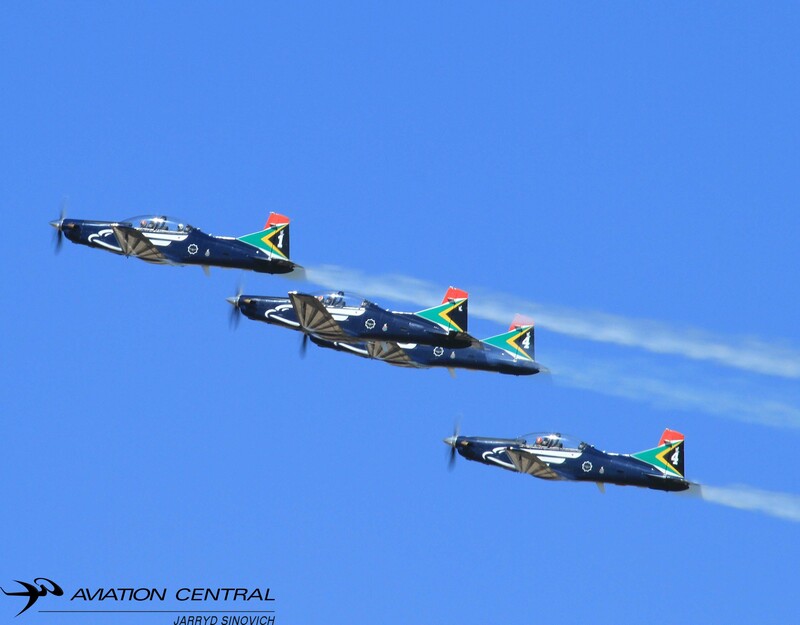 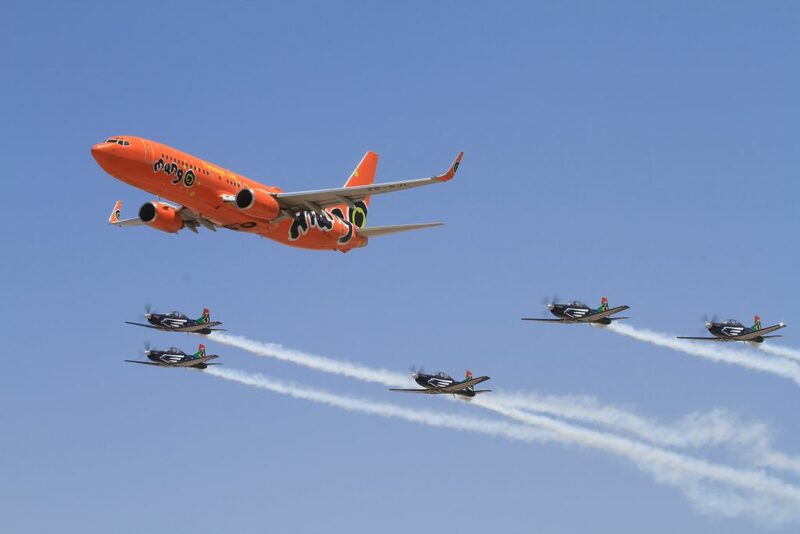 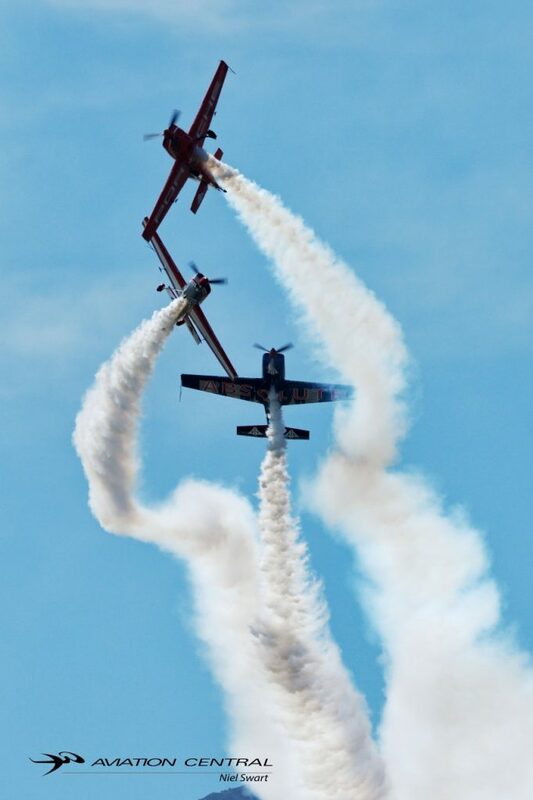 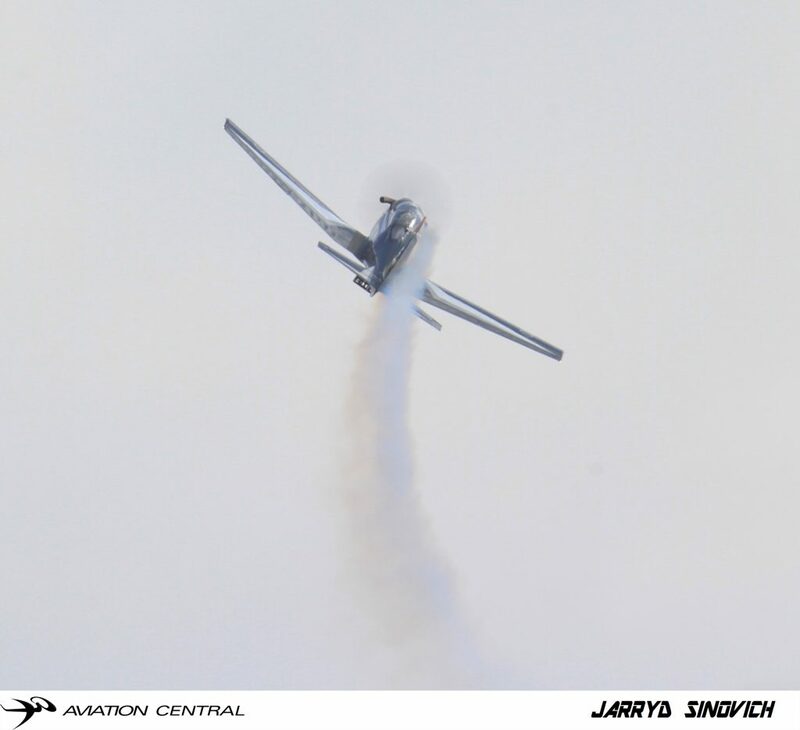 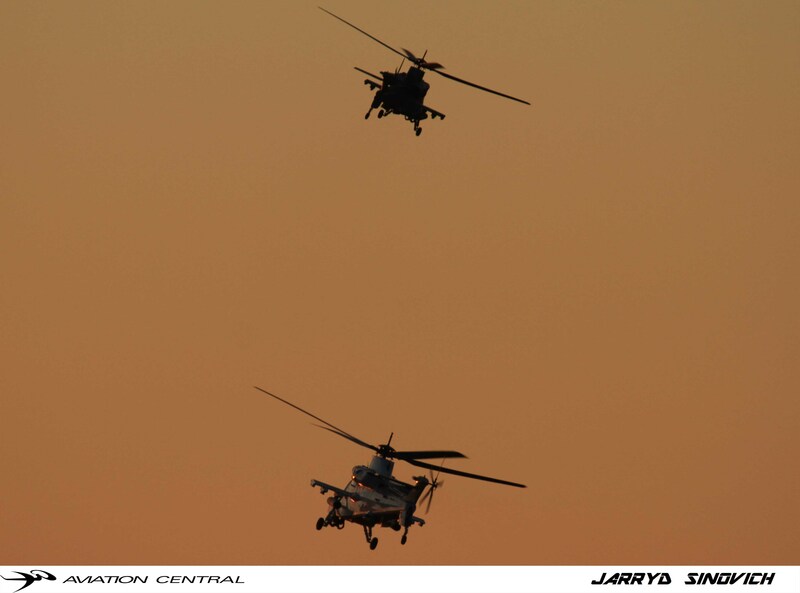 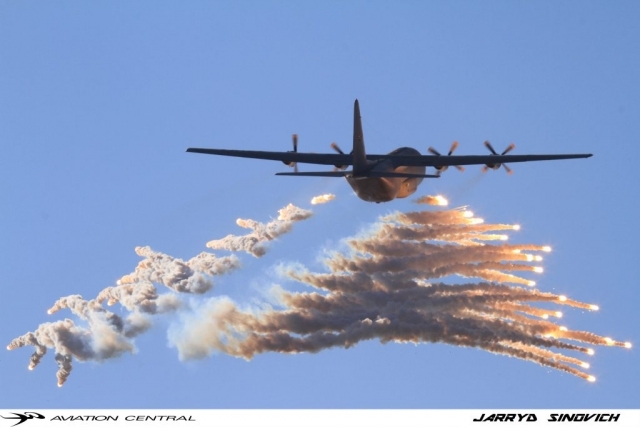 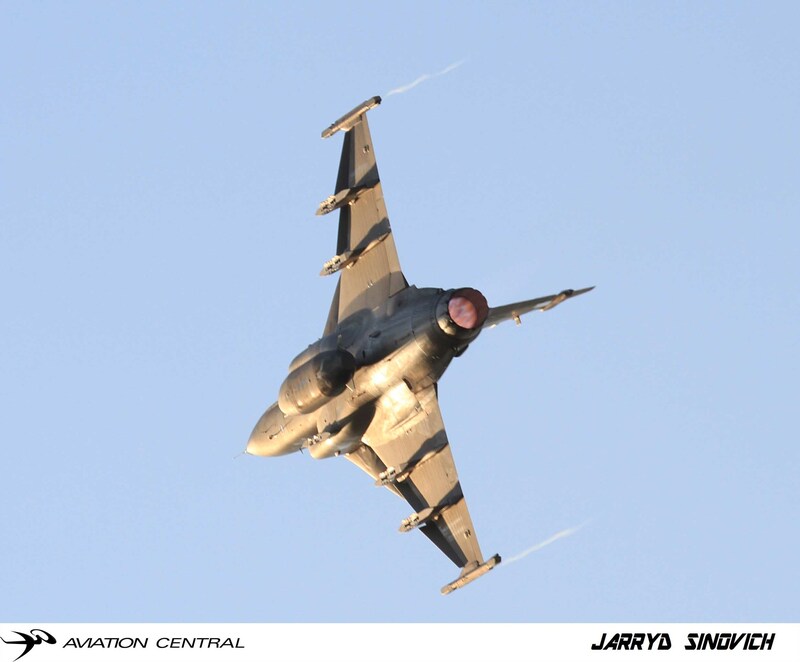 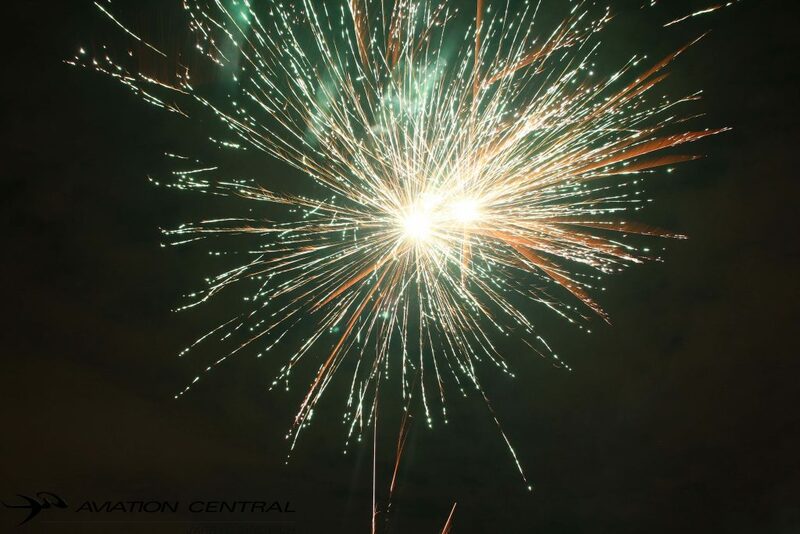 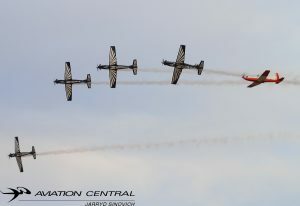 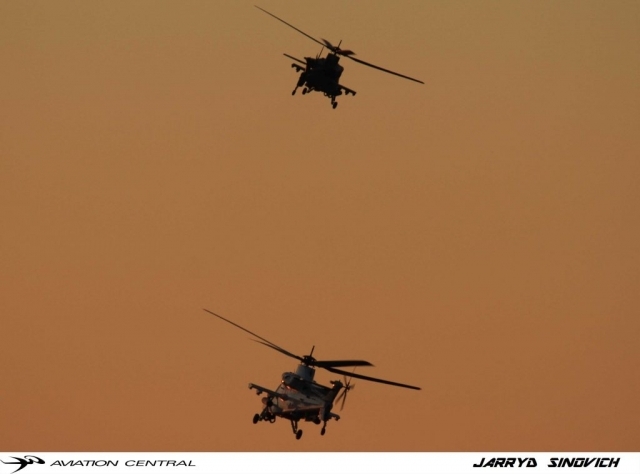 Langebaan Airshow -By Jarryd Sinovich **Please register on our site to leave your comments! 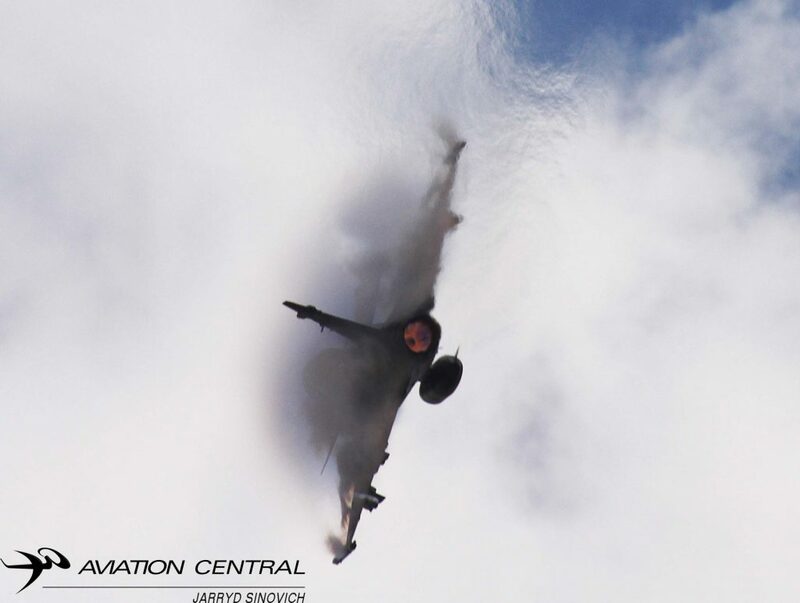 The sound barrier or sonic barrier is a popular term for the sudden increase in aerodynamic drag and other effects experienced by an aircraft or other object when it approaches supersonic speed. 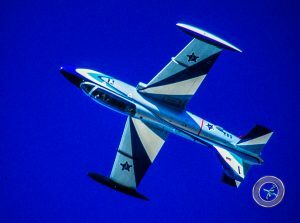 Aircraft first began to be able to reach close to supersonic speed an these effects were seen as constituting a barrier making supersonic speed very difficult or impossible. 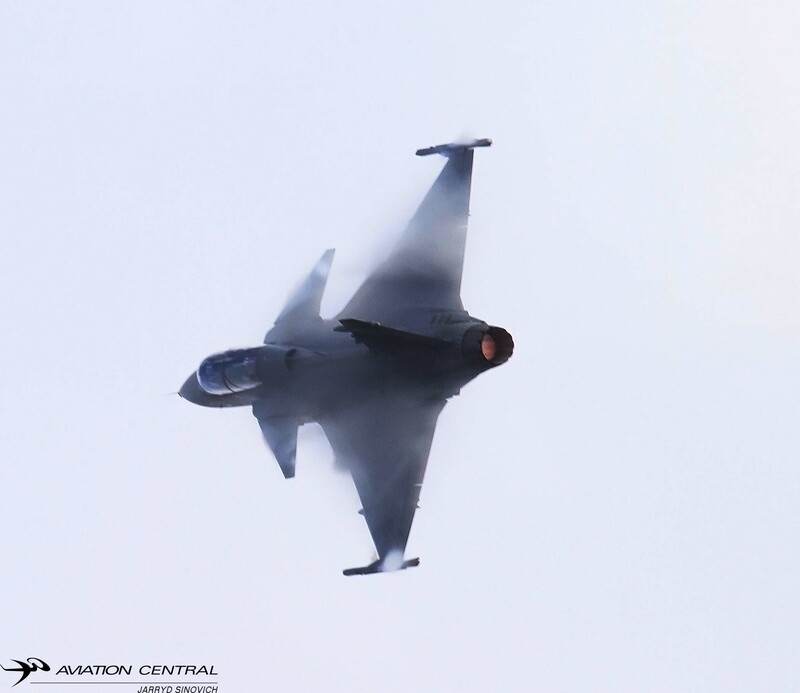 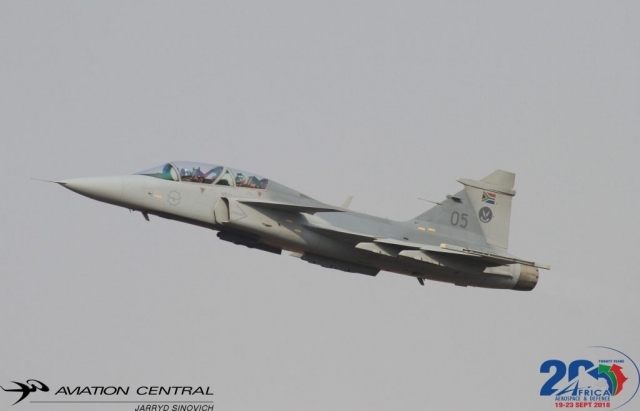 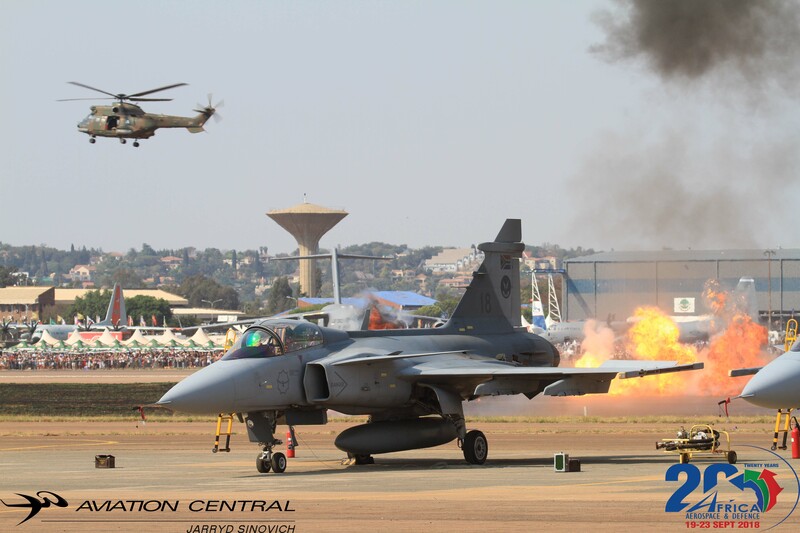 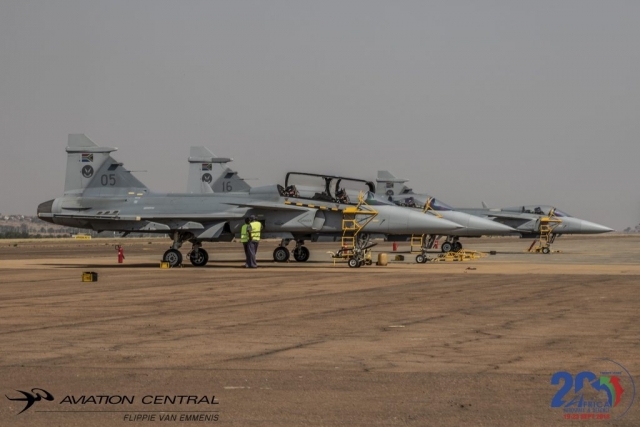 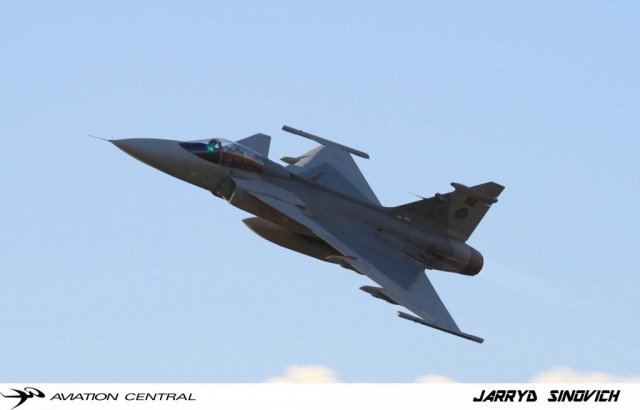 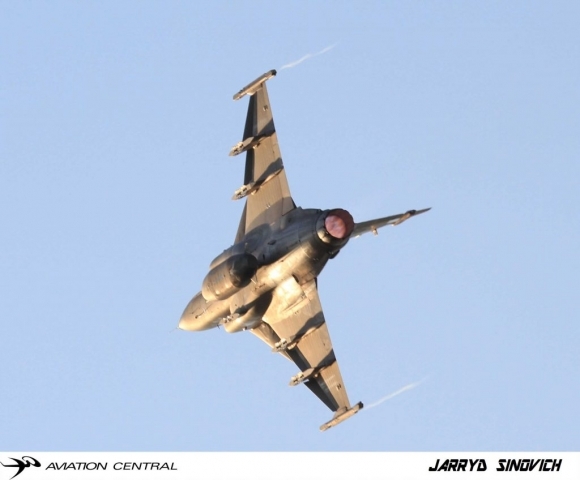 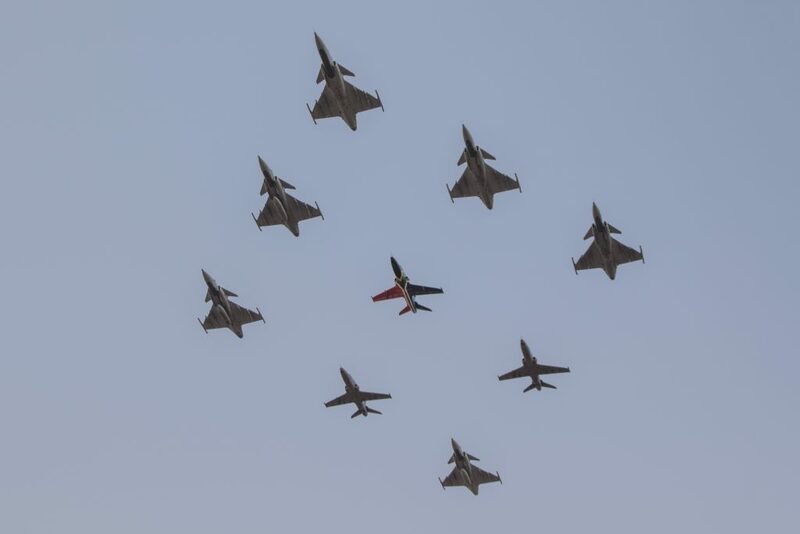 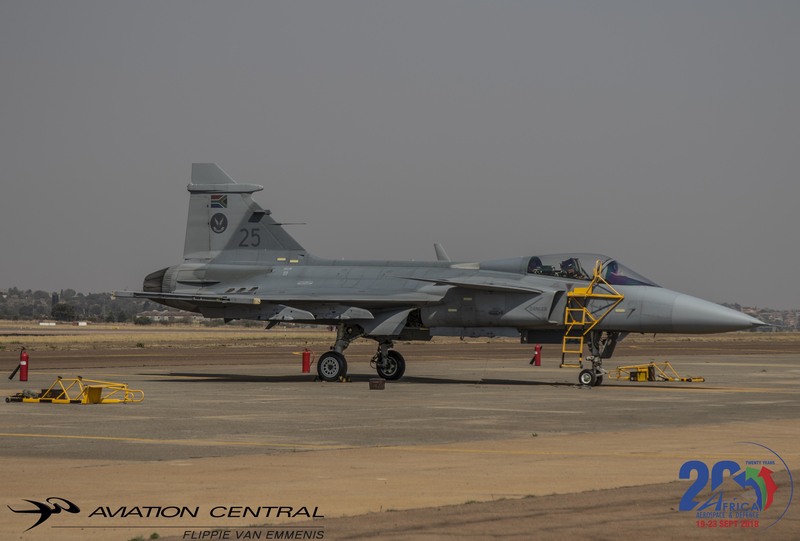 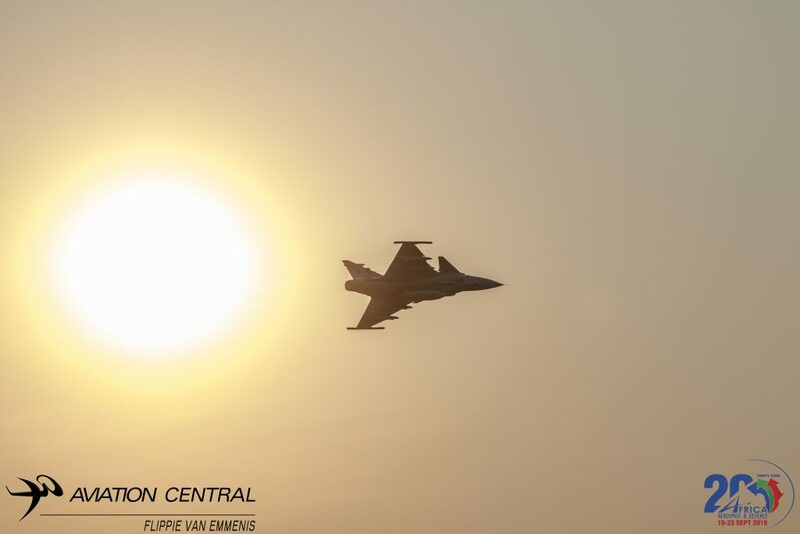 This will be the first time the Gripen will be breaking the sound barrier in front of the South African public at an airshow all in conjunction with the Silver Falcons Aerobatic Teams 50th Anniversary airshow being held at AFB Langebaanweg airshow on the 9 December. 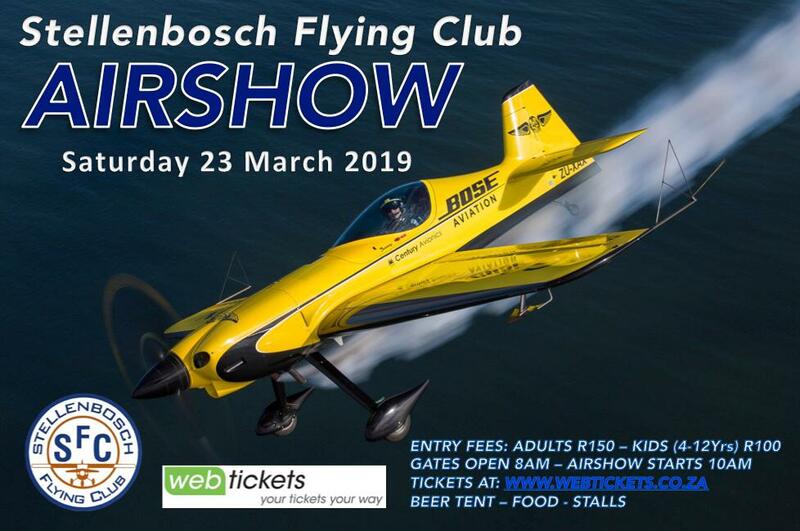 This is the first airshow in the Western Cape since 2015. 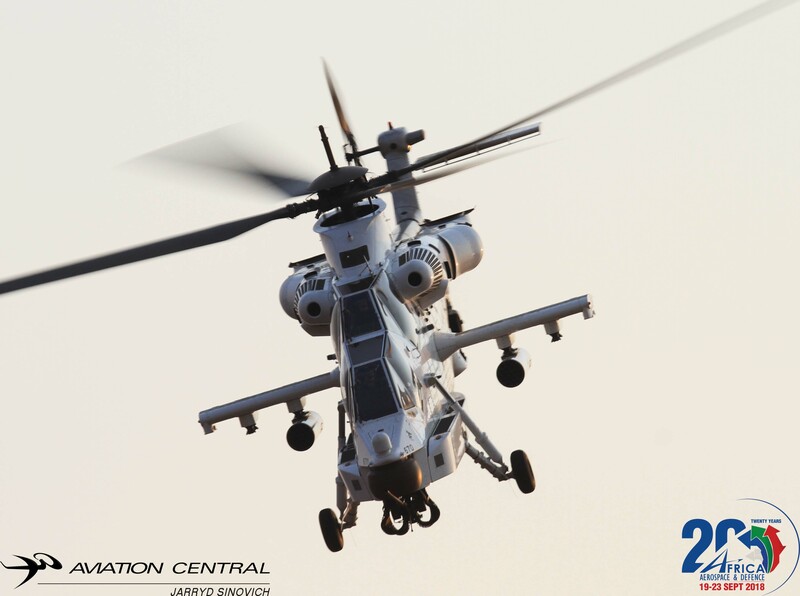 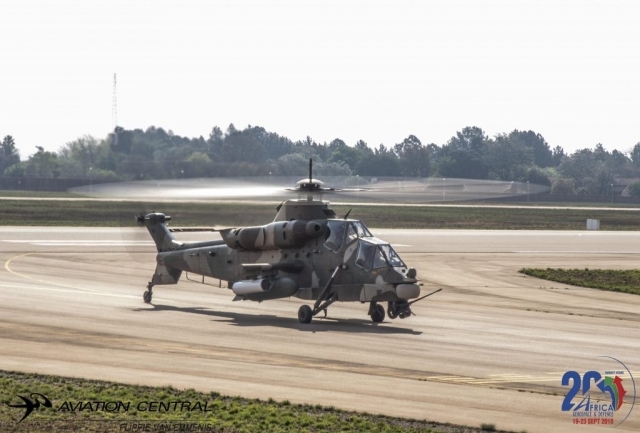 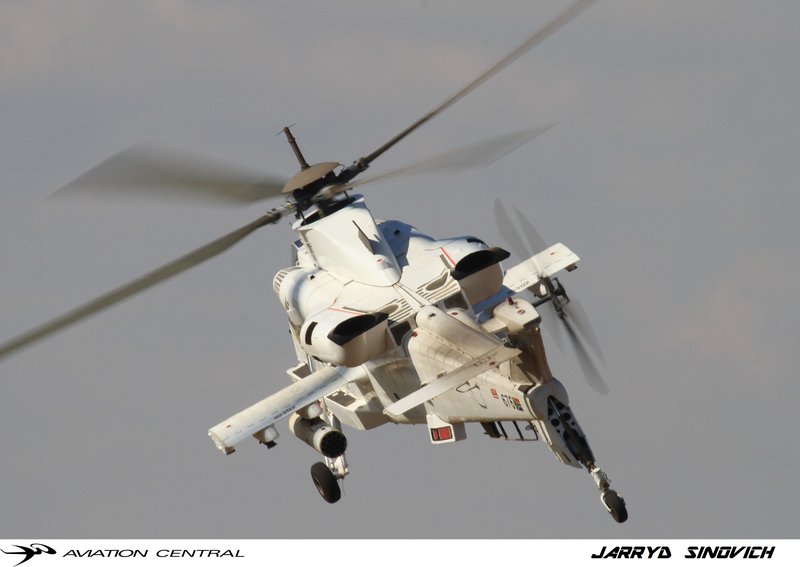 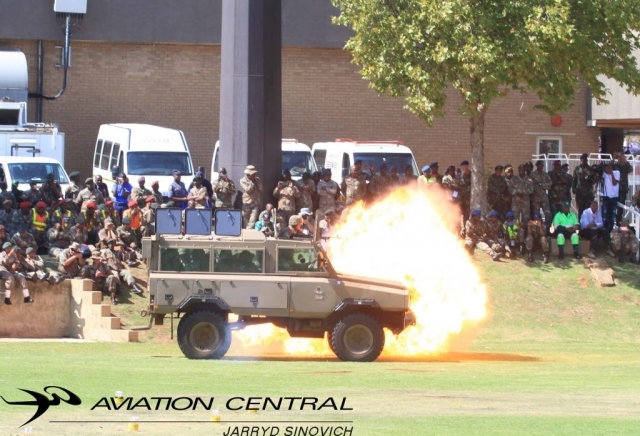 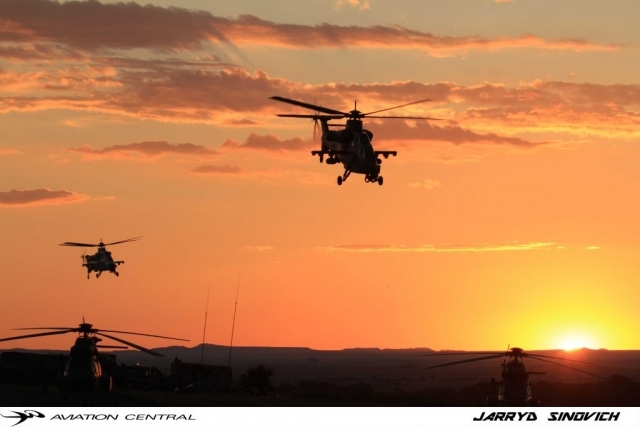 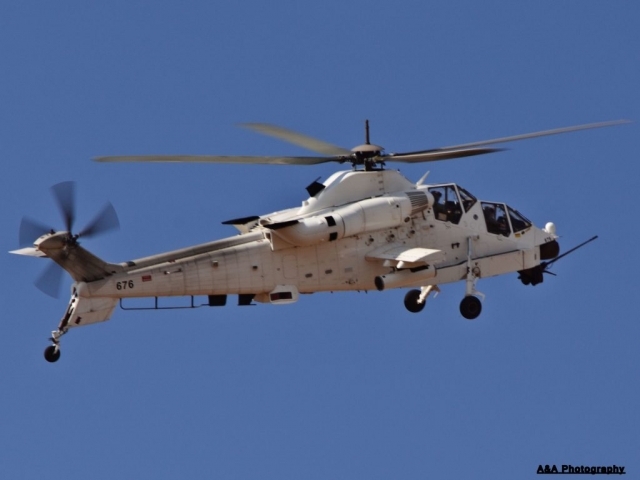 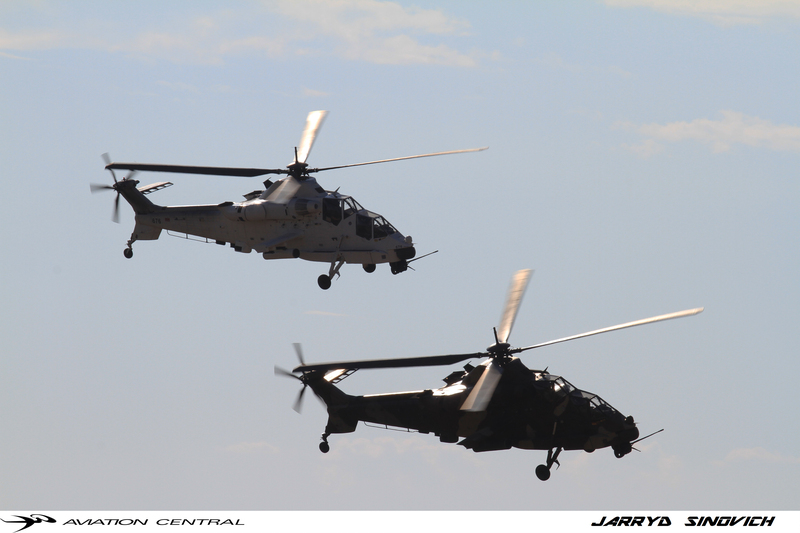 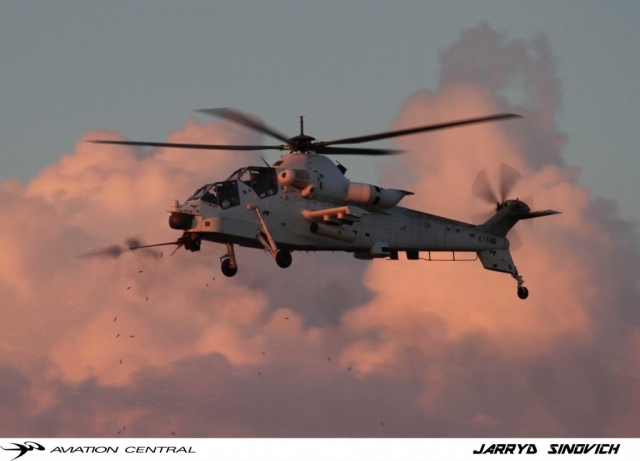 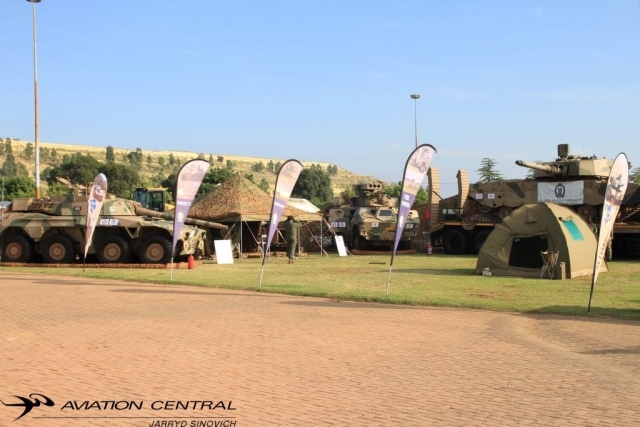 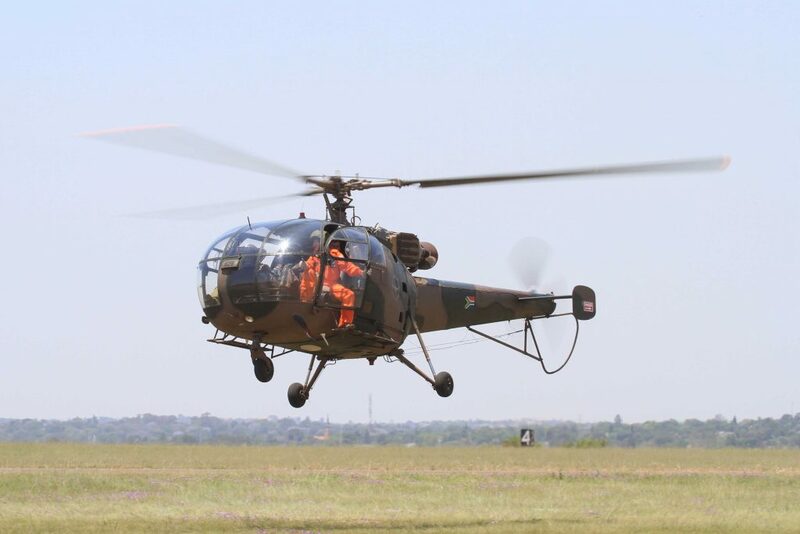 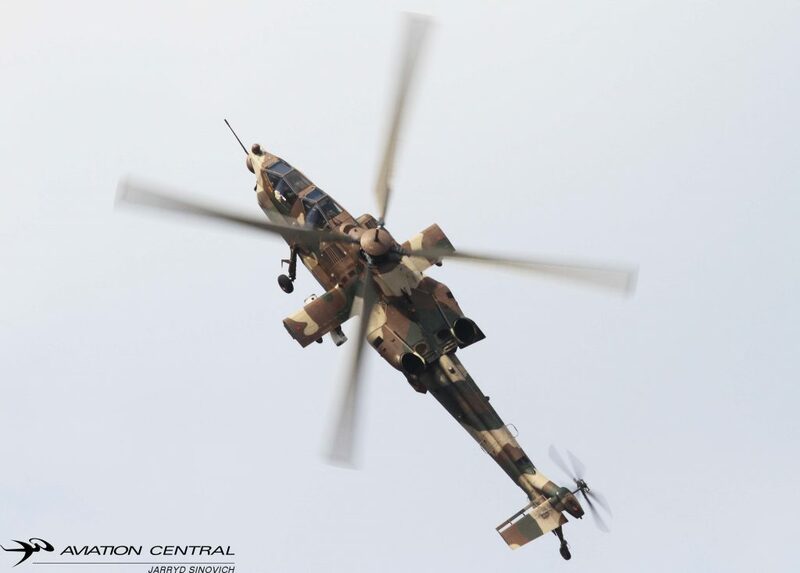 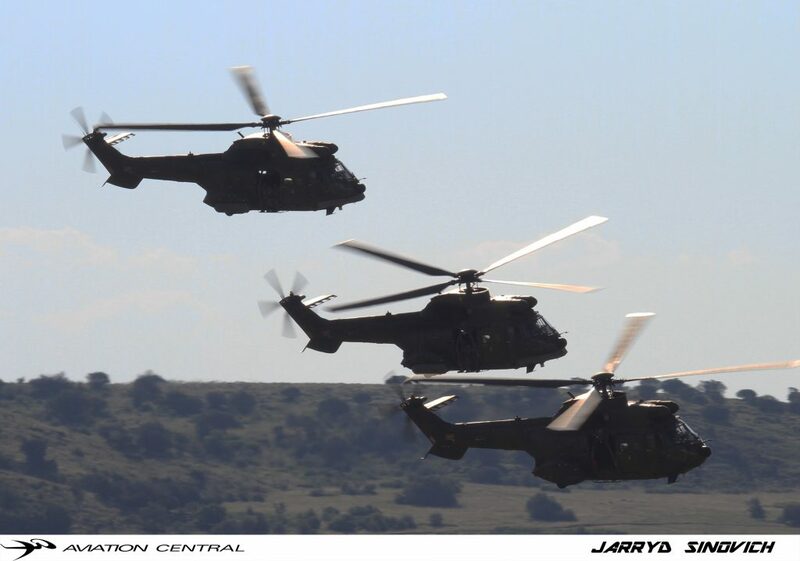 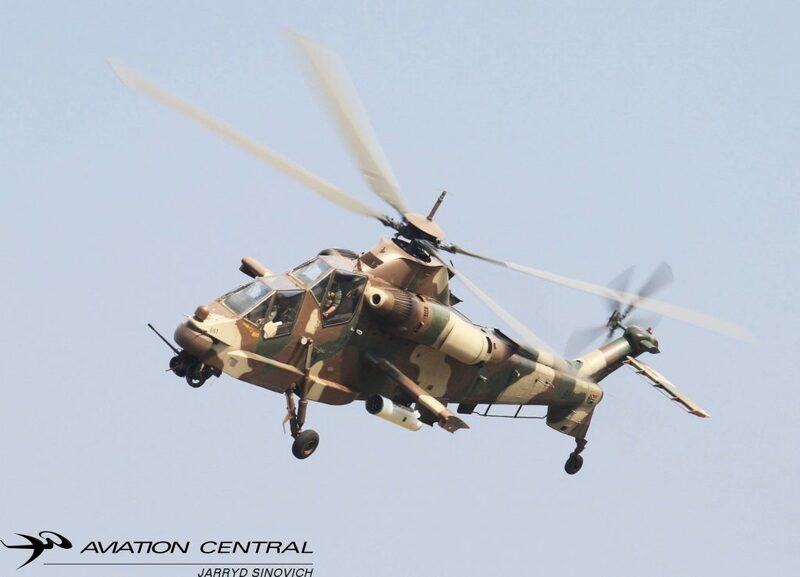 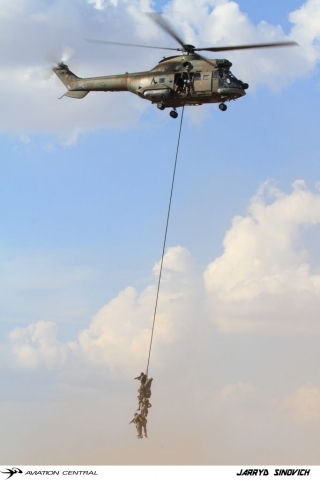 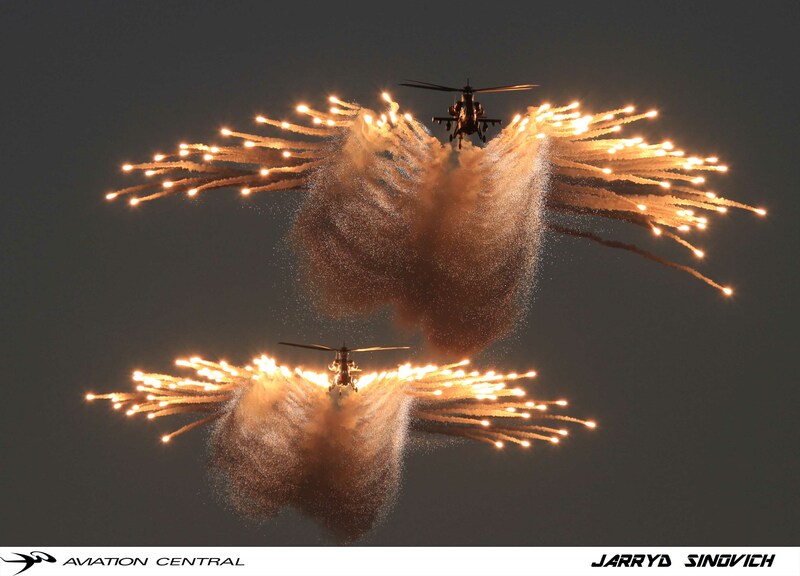 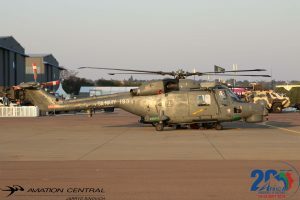 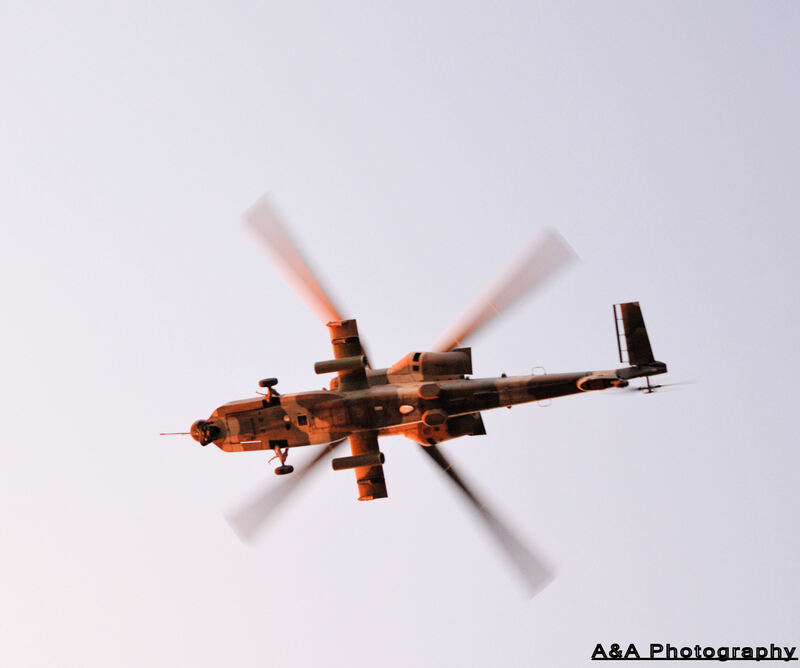 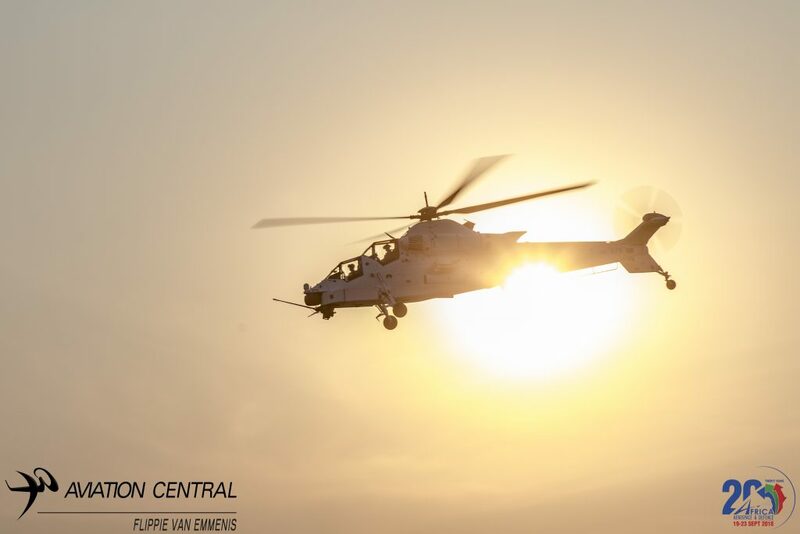 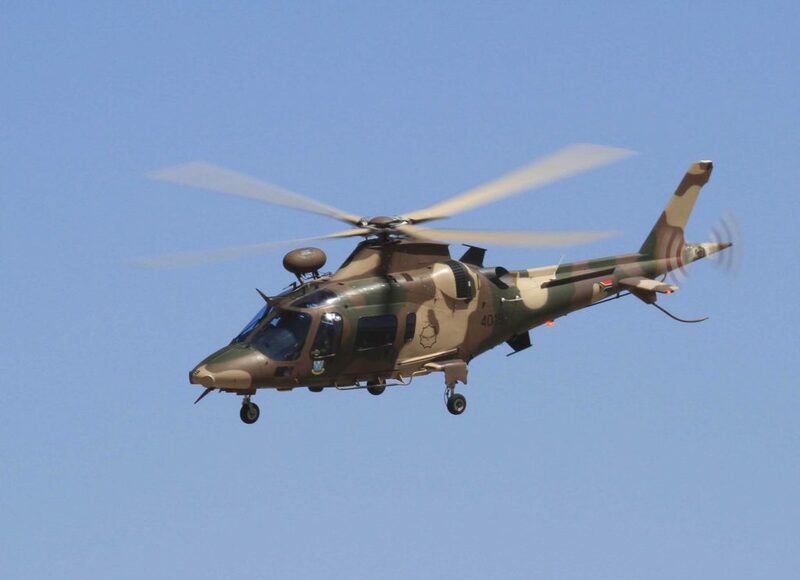 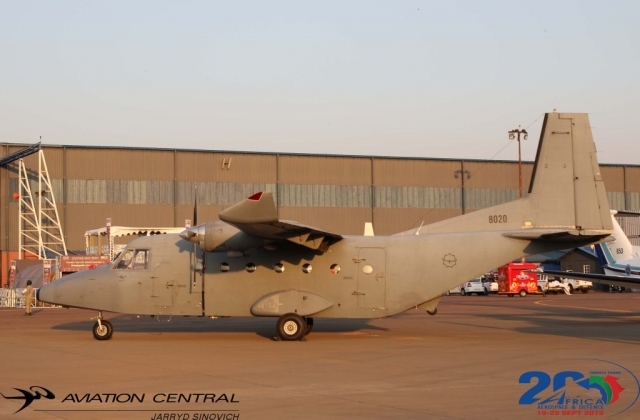 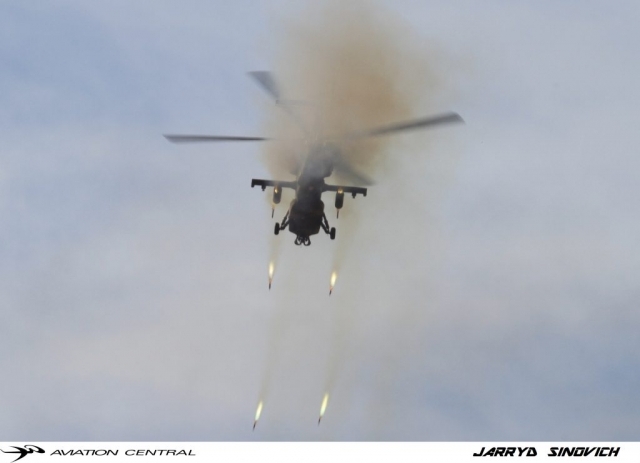 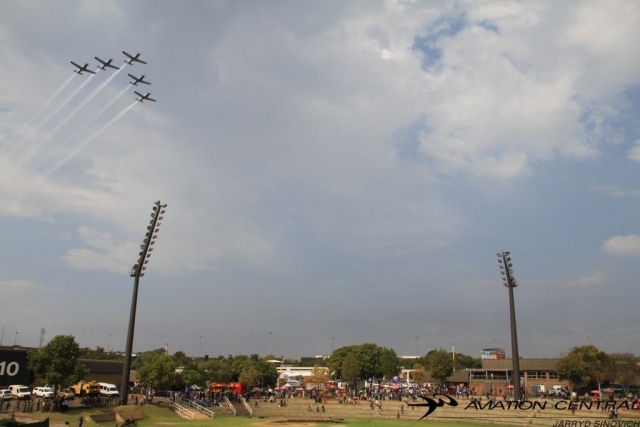 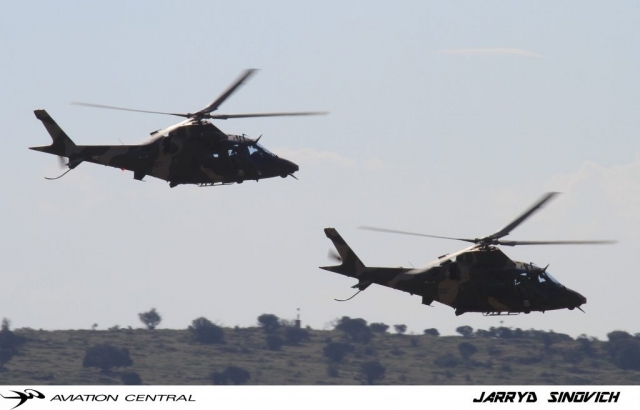 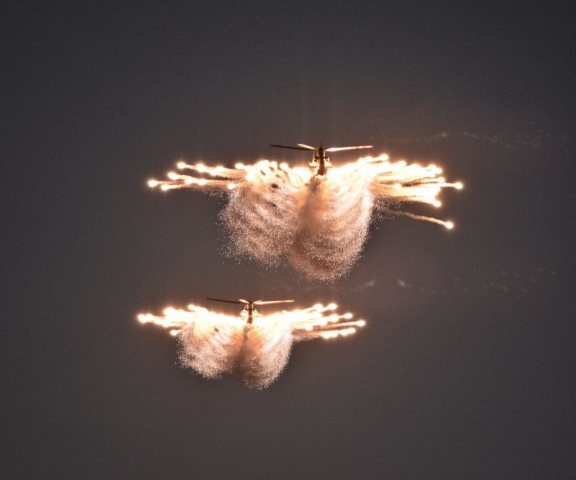 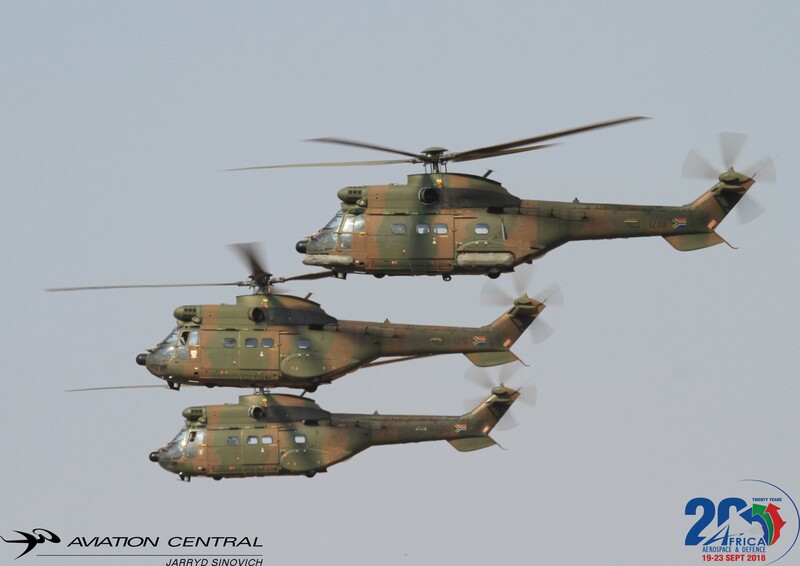 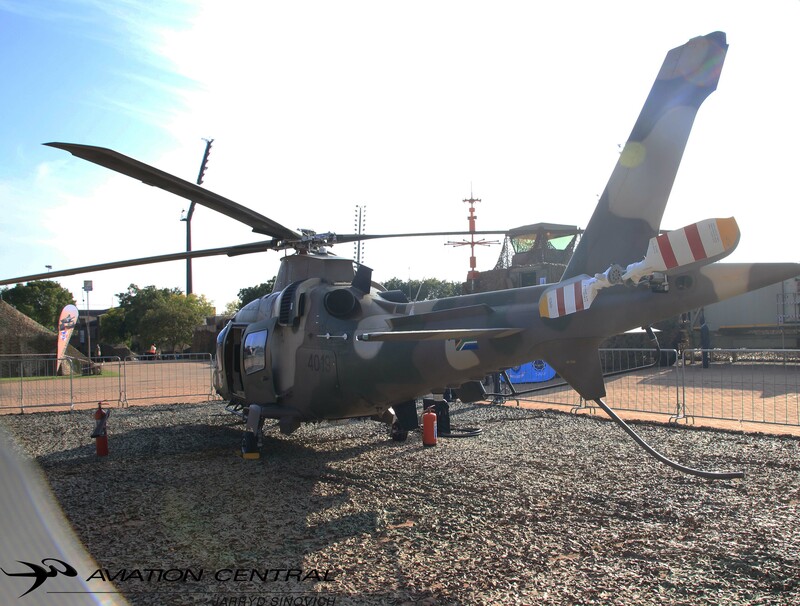 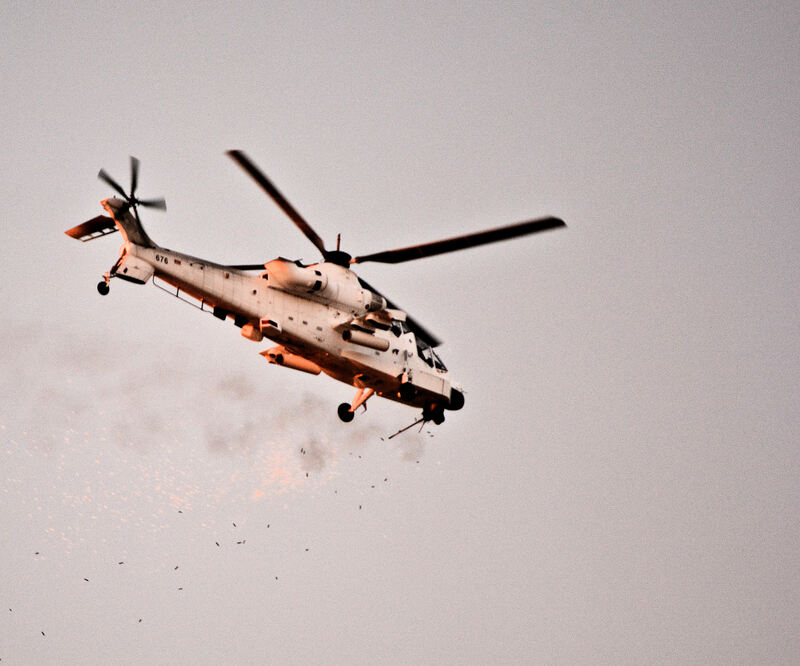 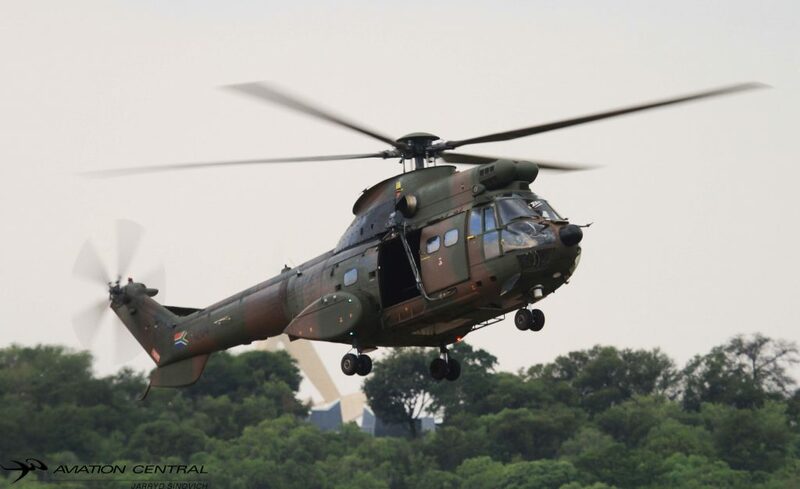 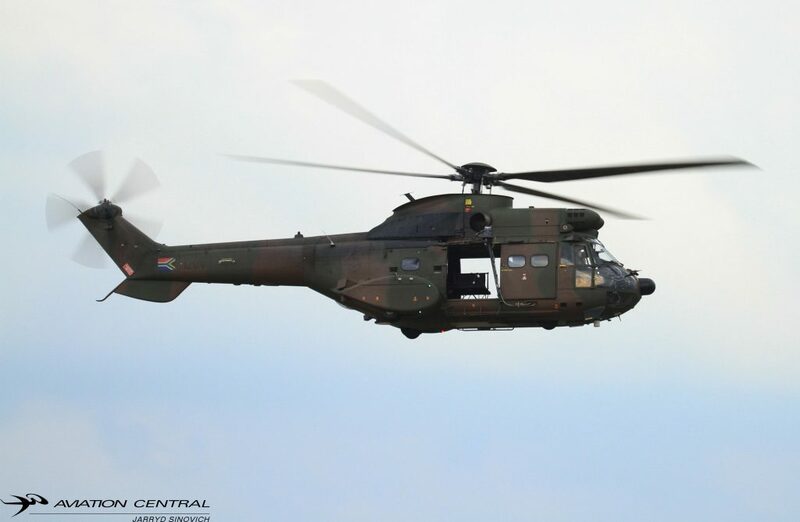 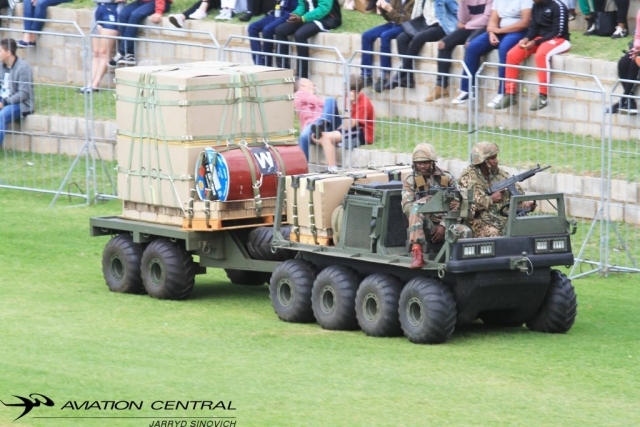 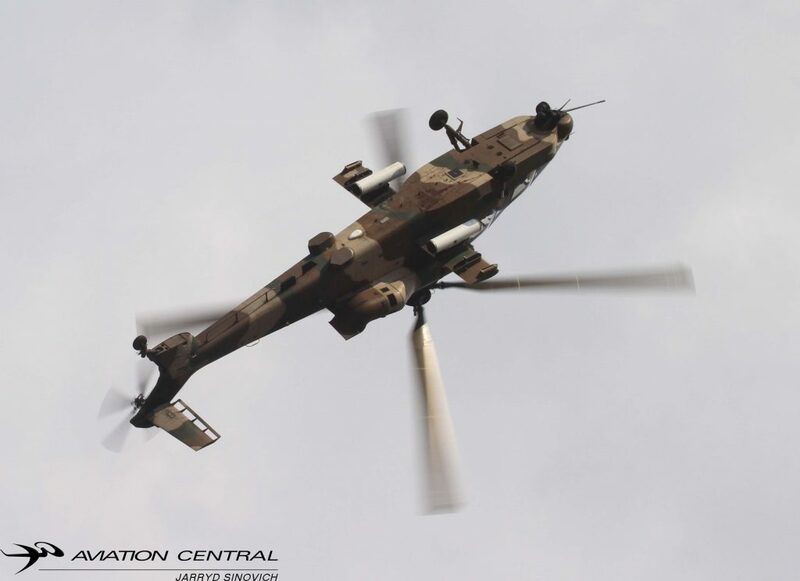 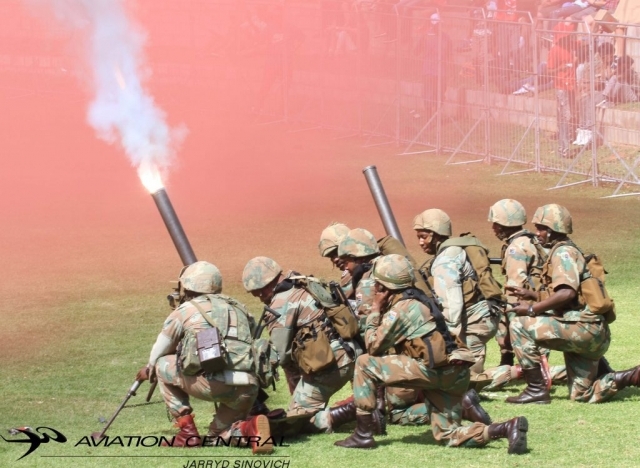 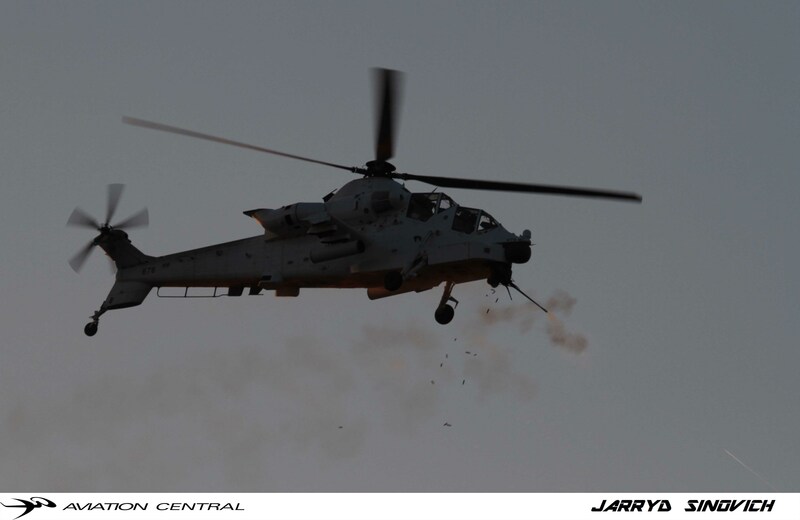 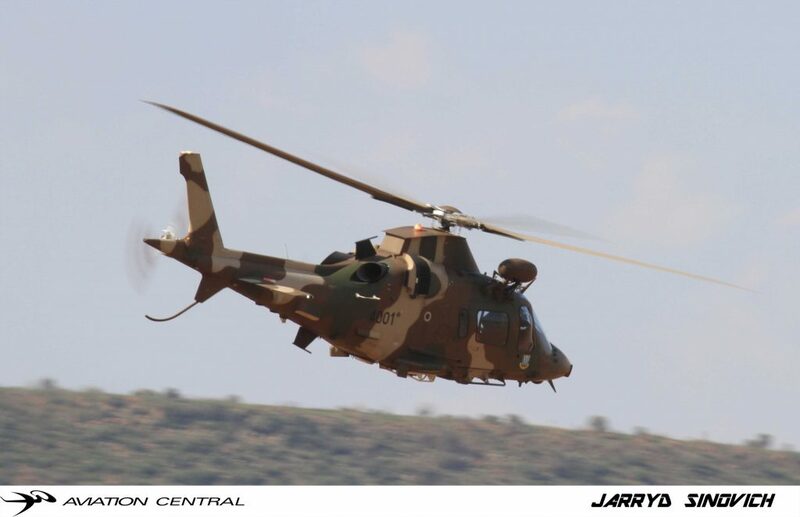 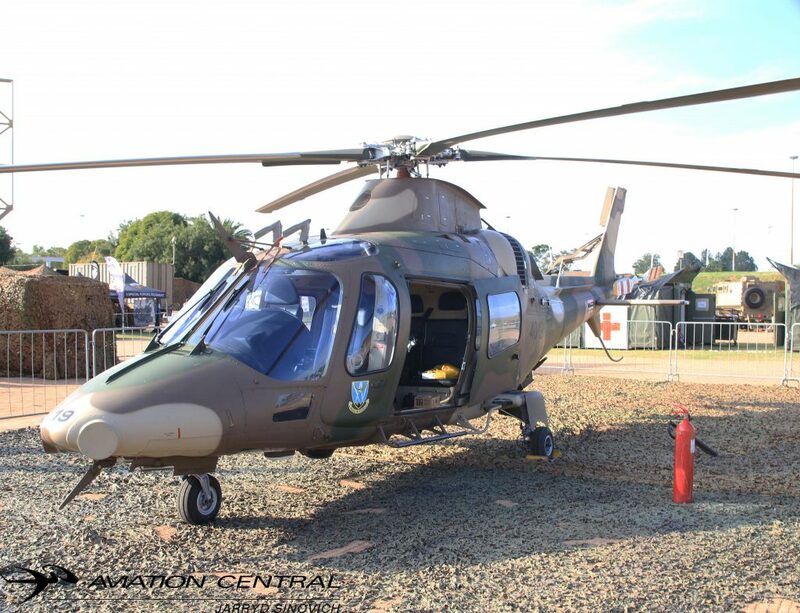 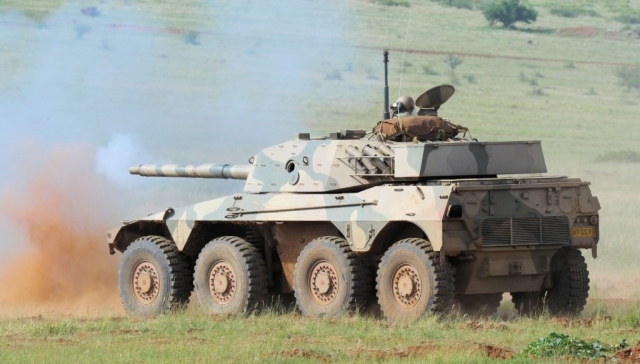 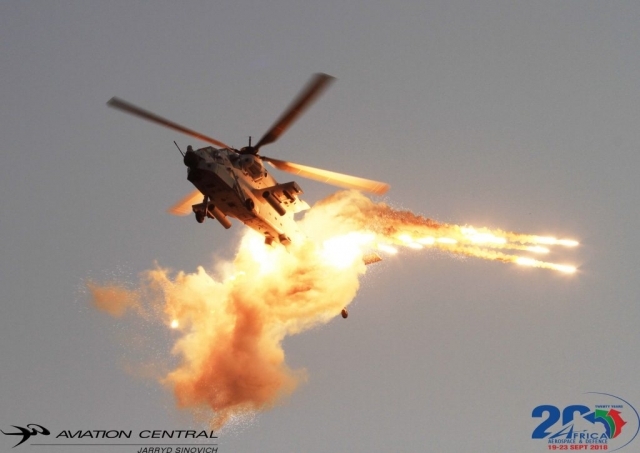 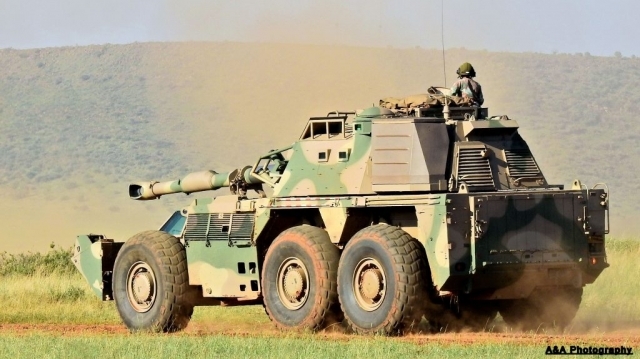 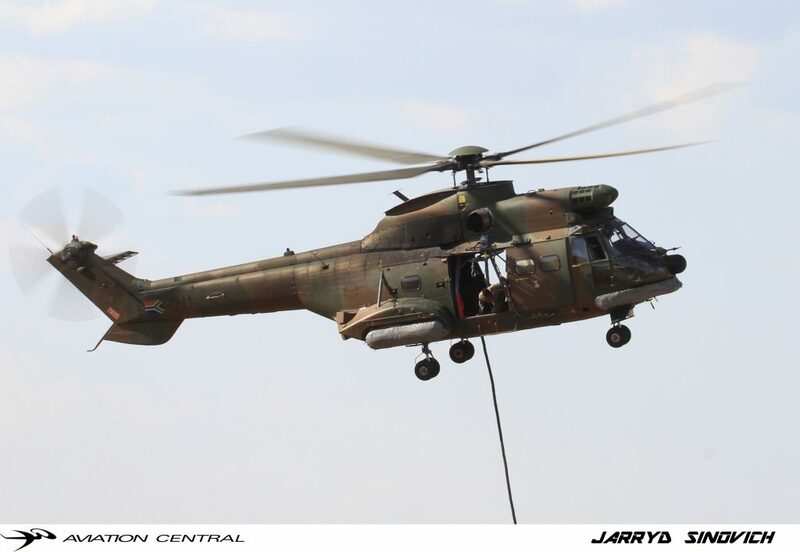 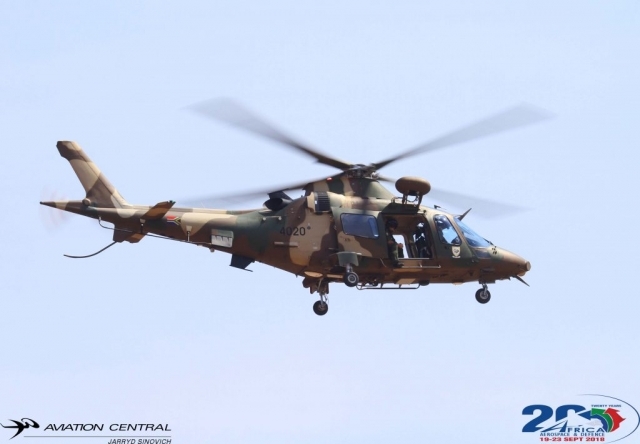 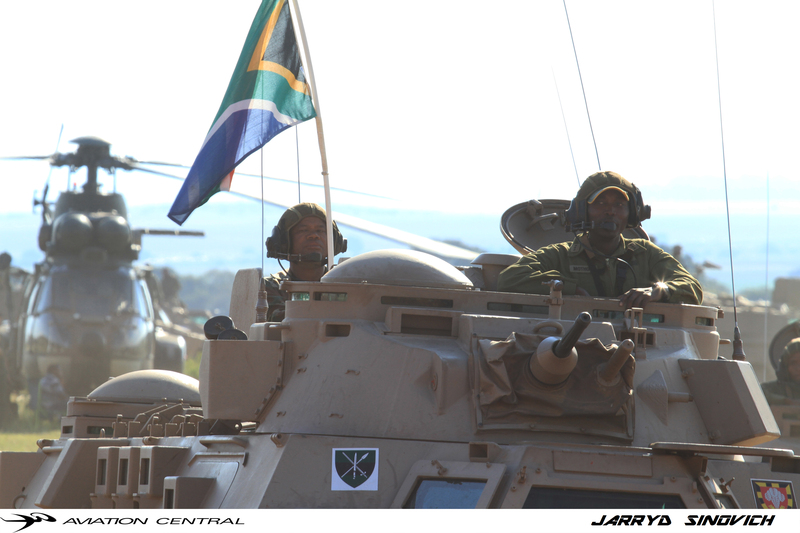 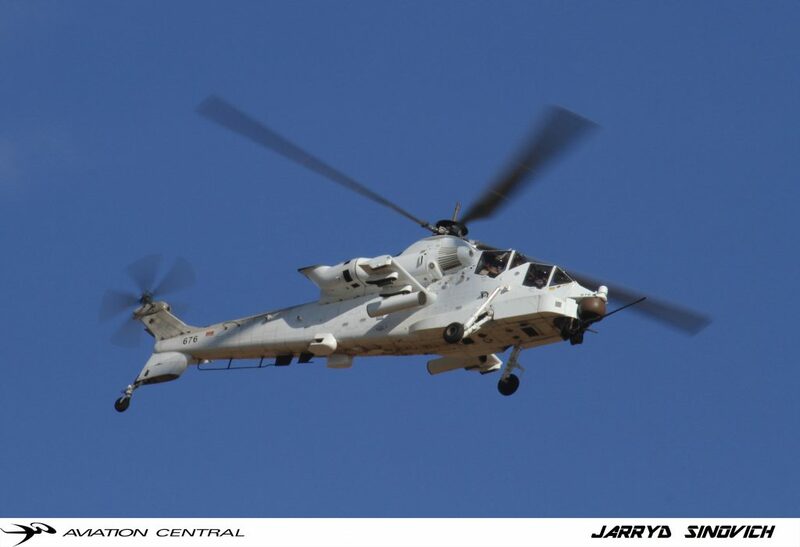 We are certain the crowds are in for a treat with an crowd favorite the proudly South African made Rooivalk will also be on display.The Rooivalks are based at 16 Squadron Air force base Bloemfontein. 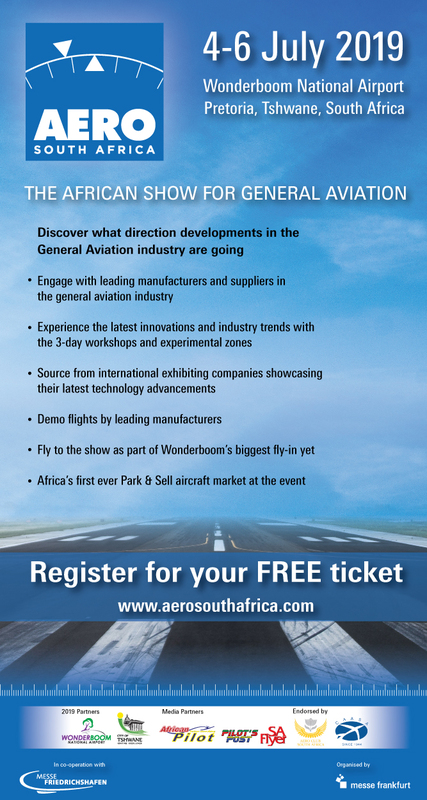 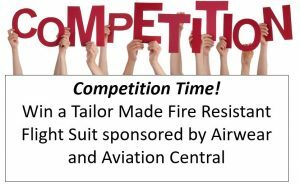 Aviation Central‘s Flippie and Jarryd will be attending this show!